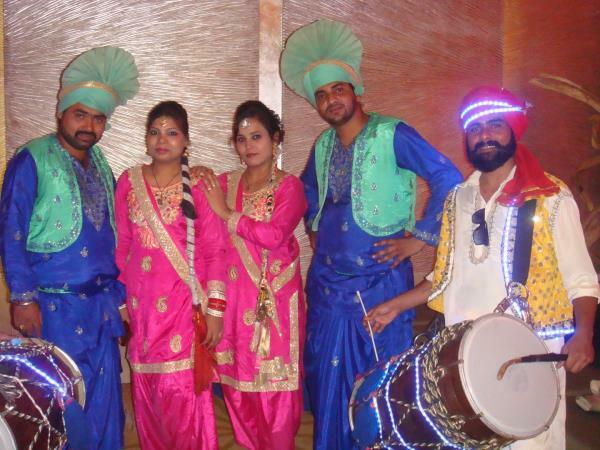 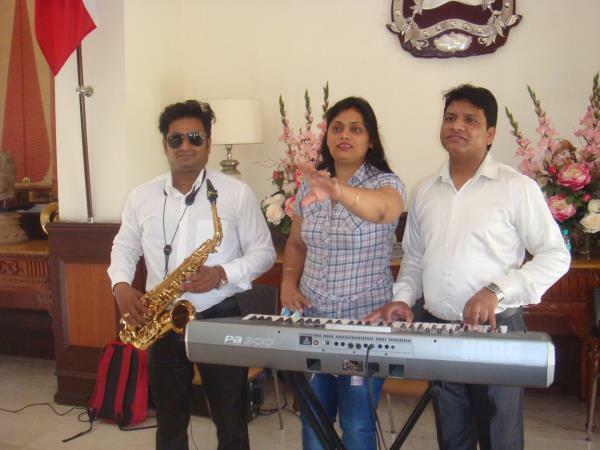 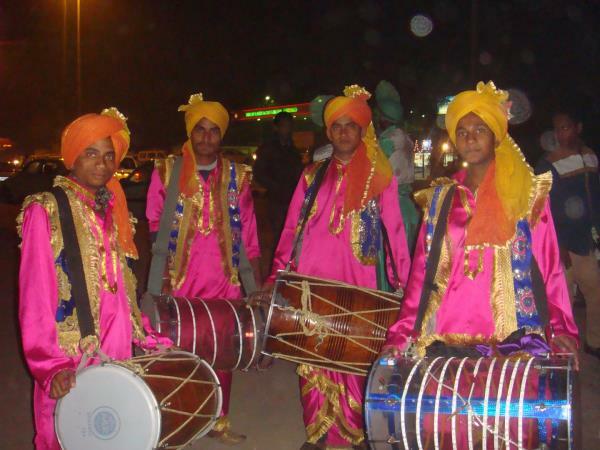 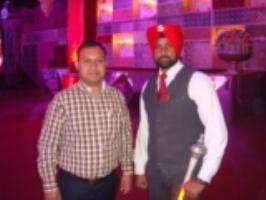 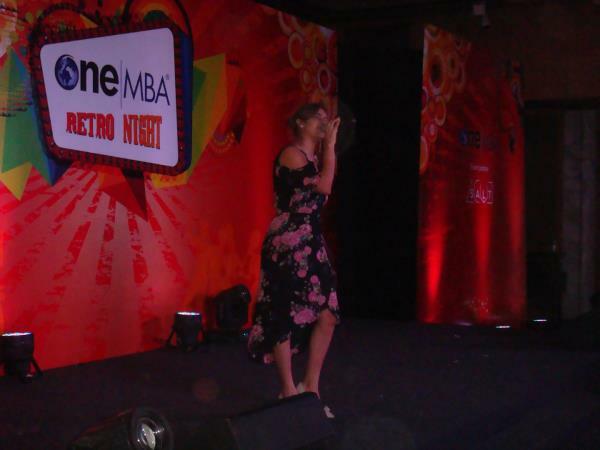 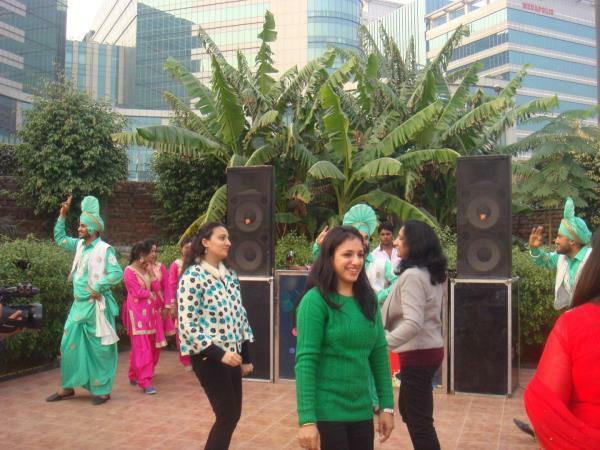 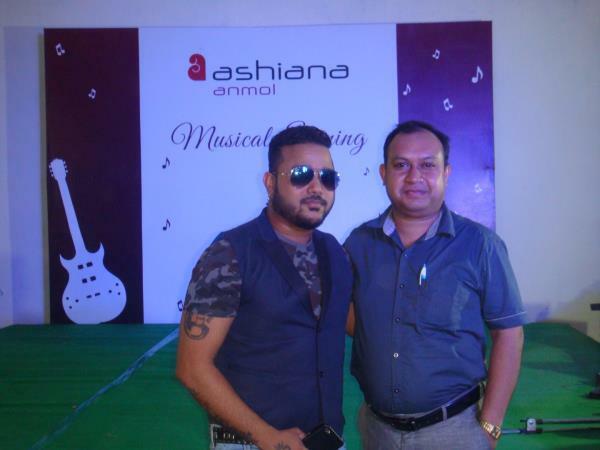 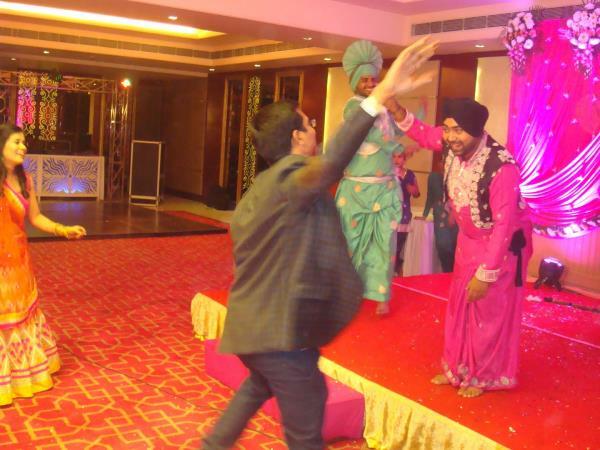 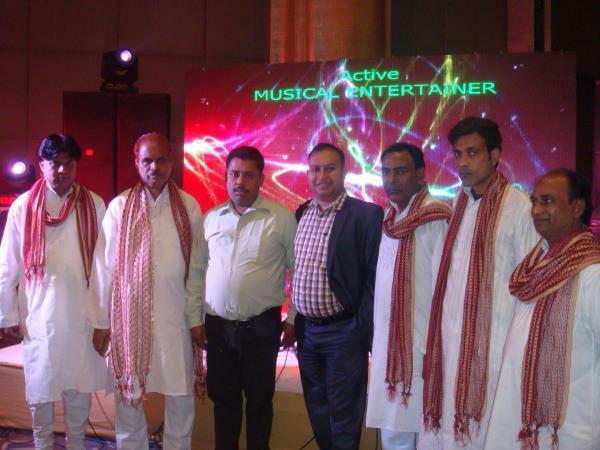 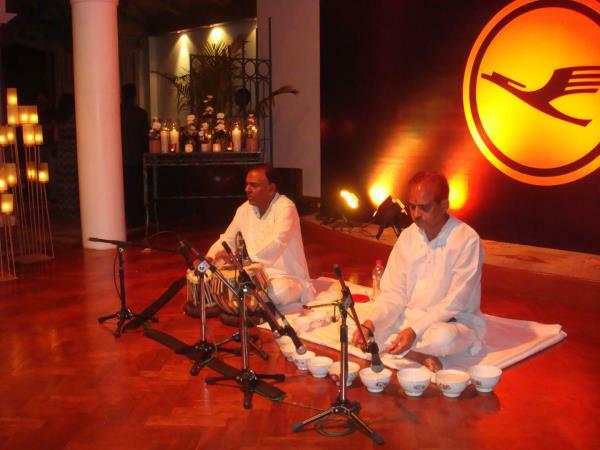 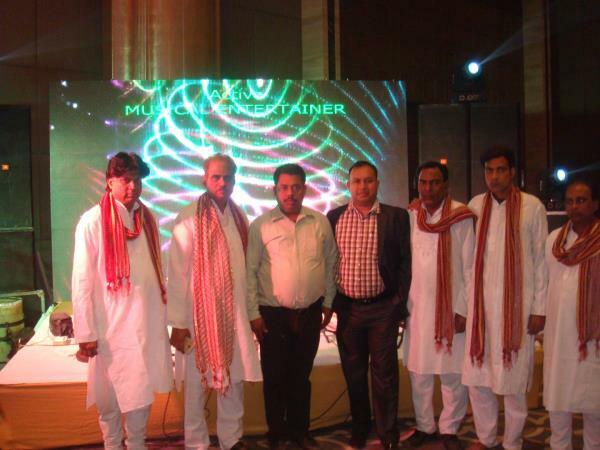 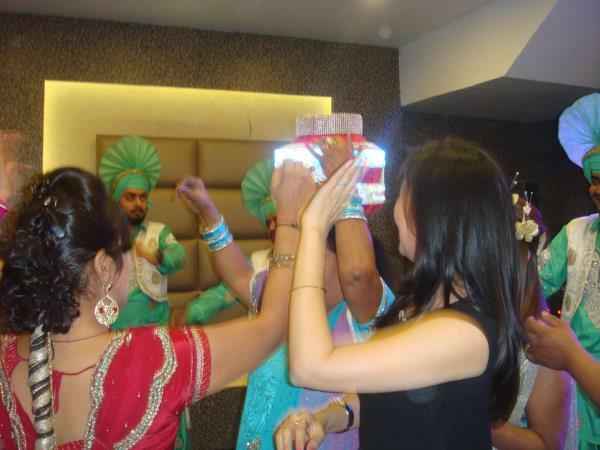 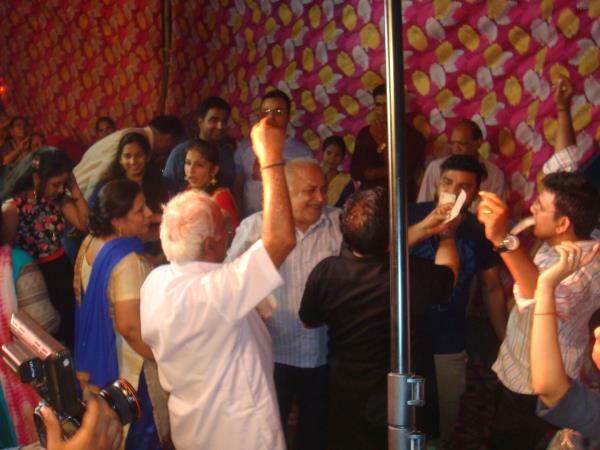 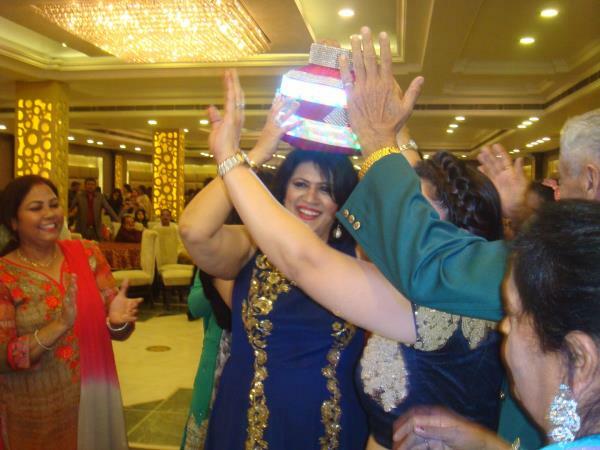 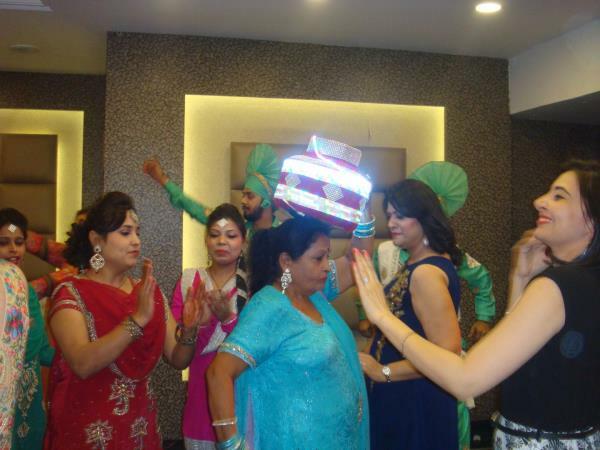 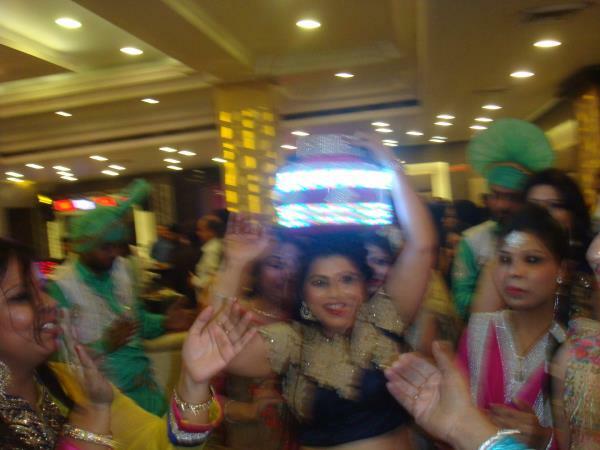 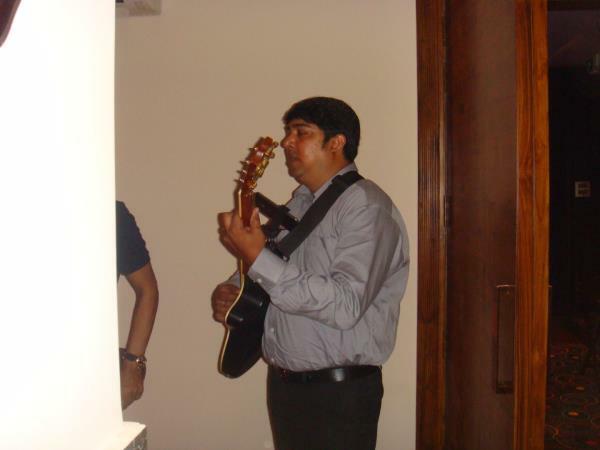 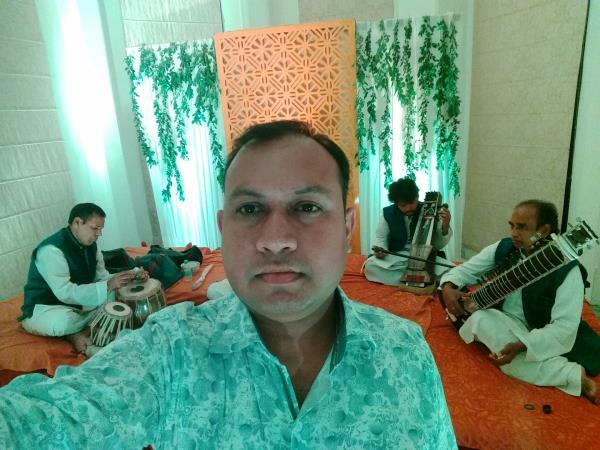 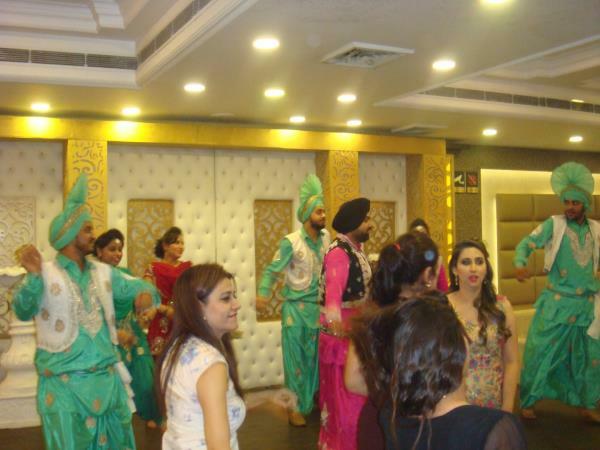 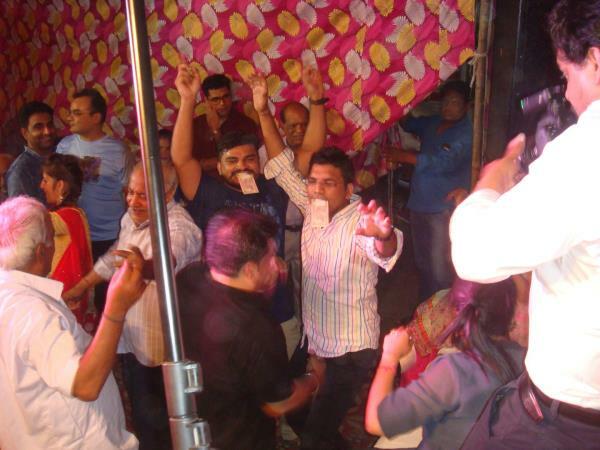 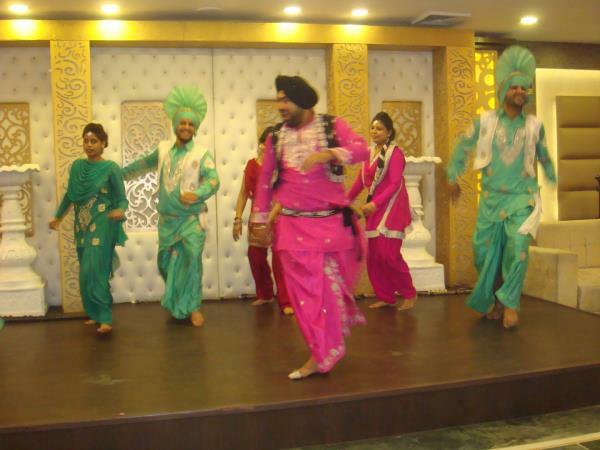 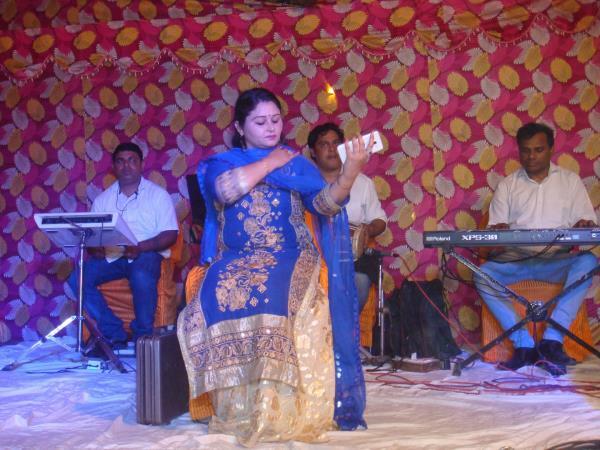 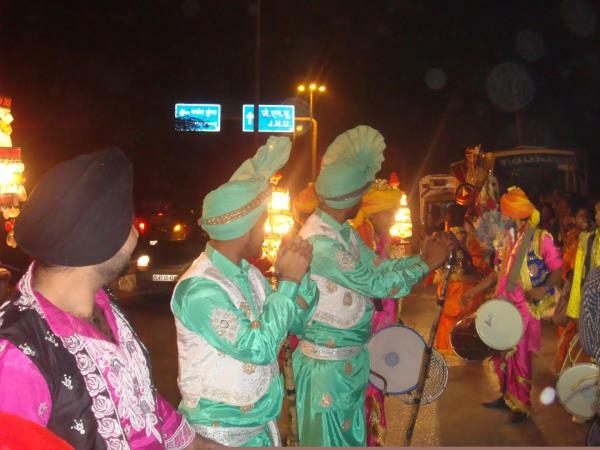 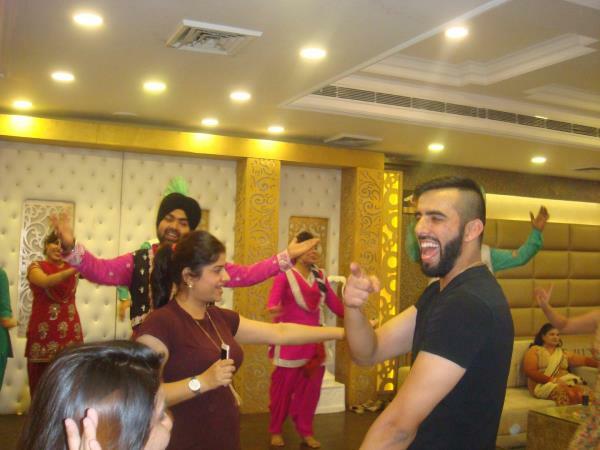 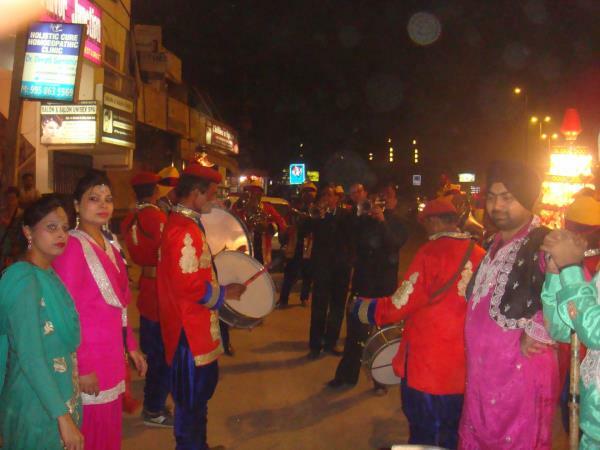 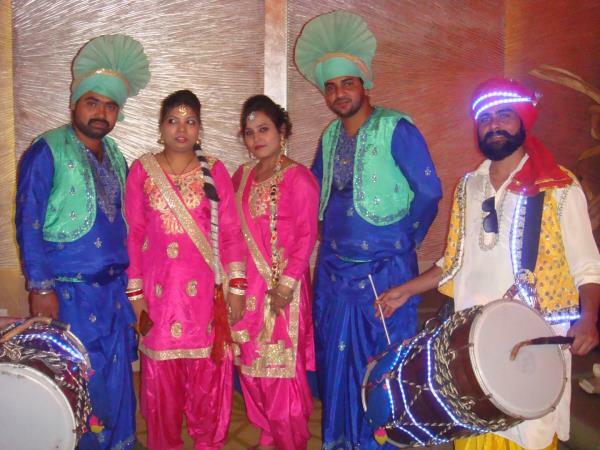 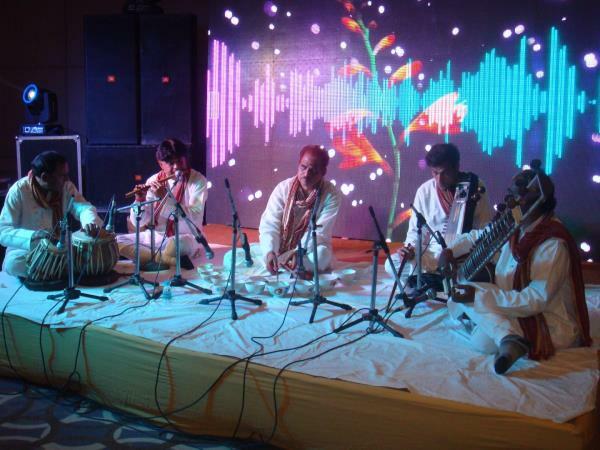 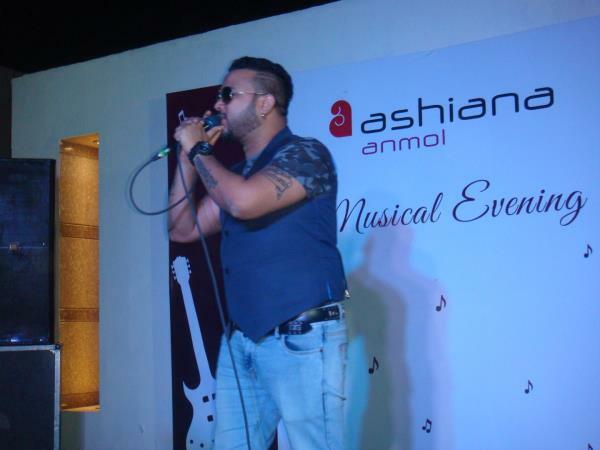 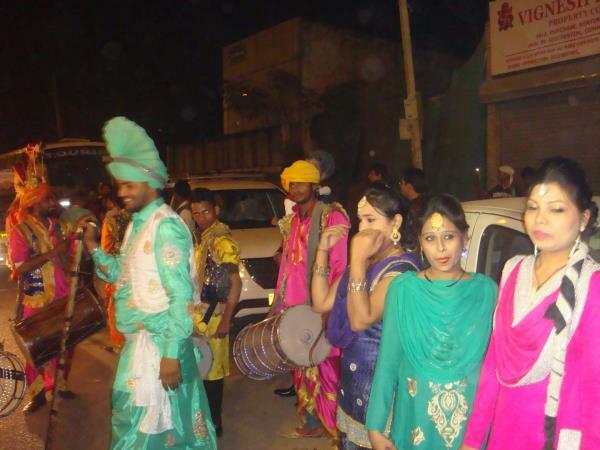 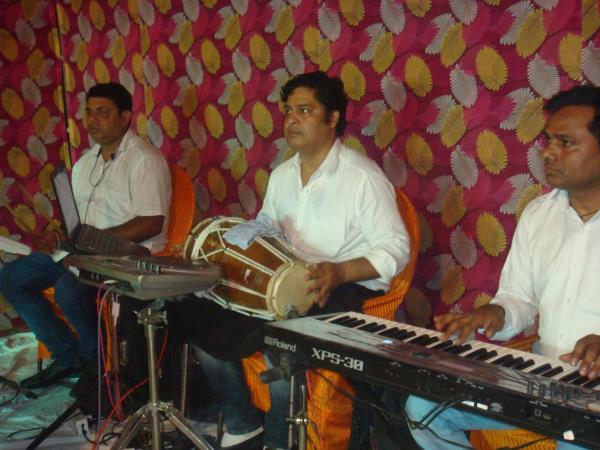 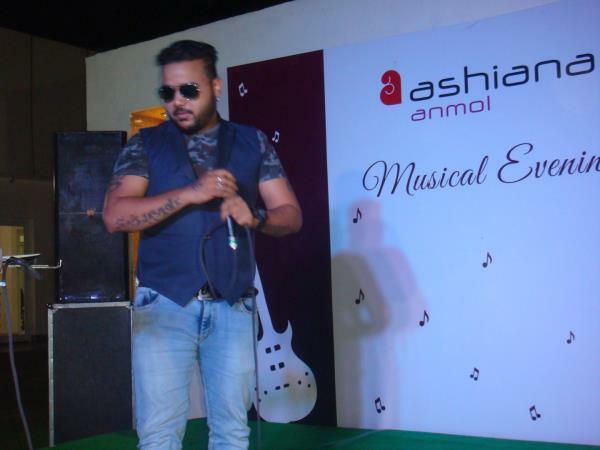 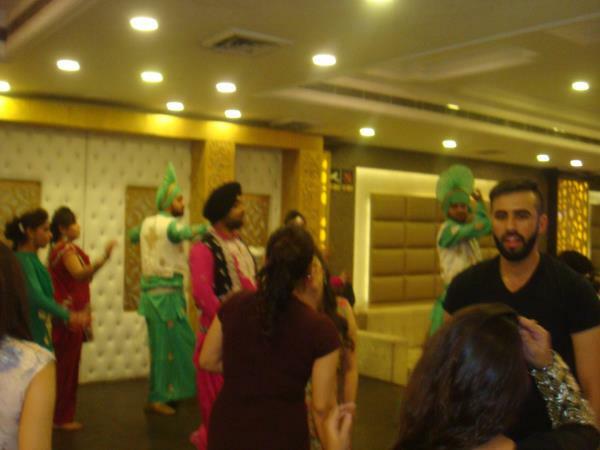 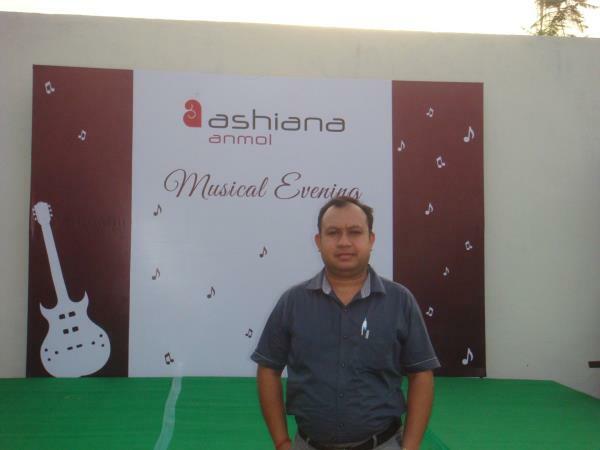 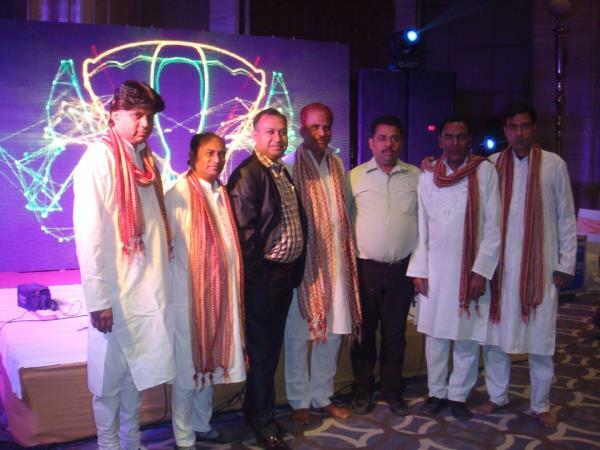 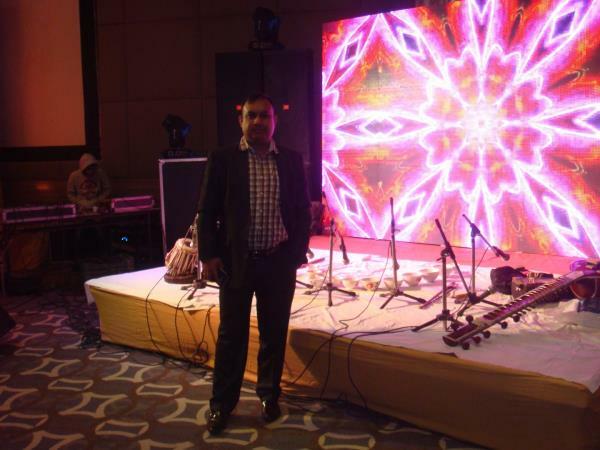 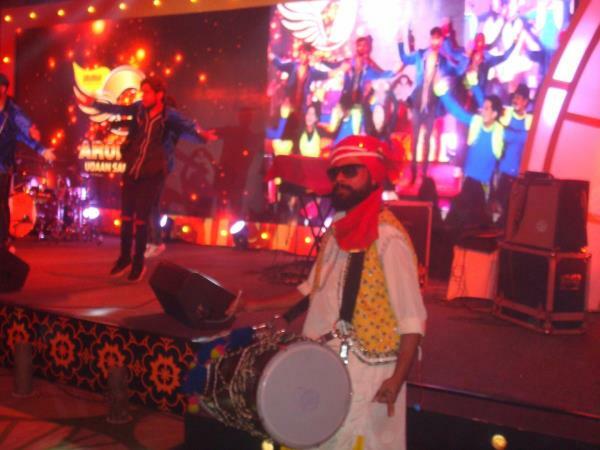 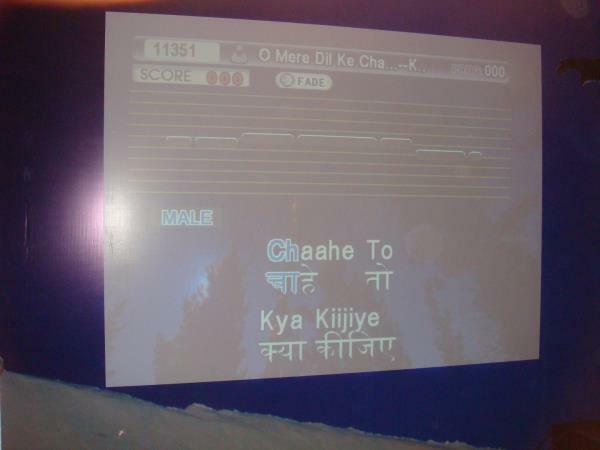 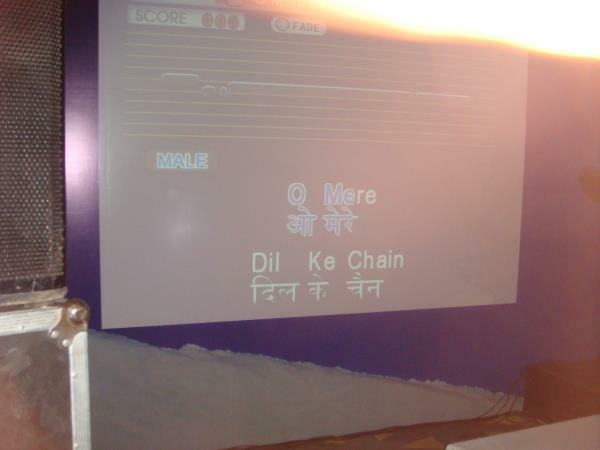 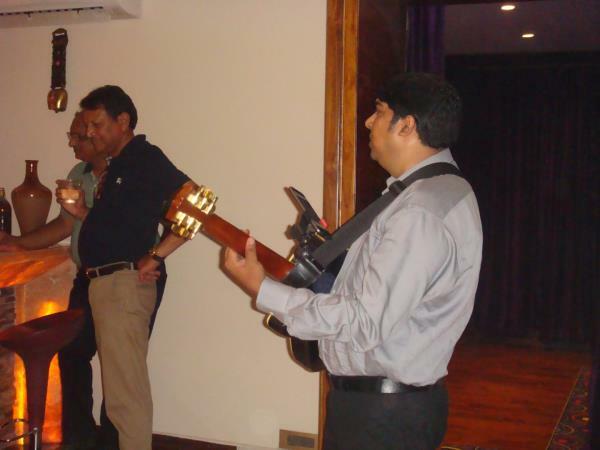 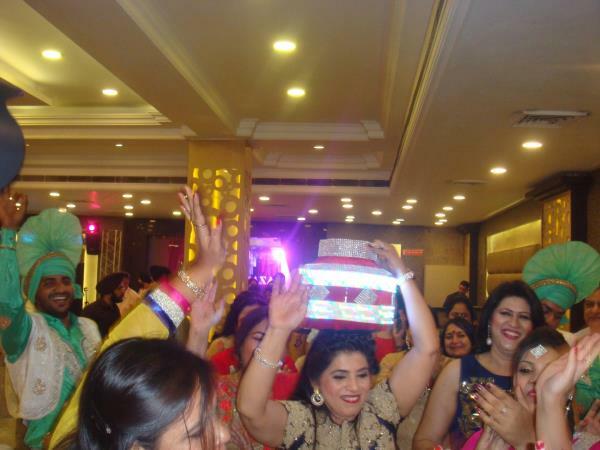 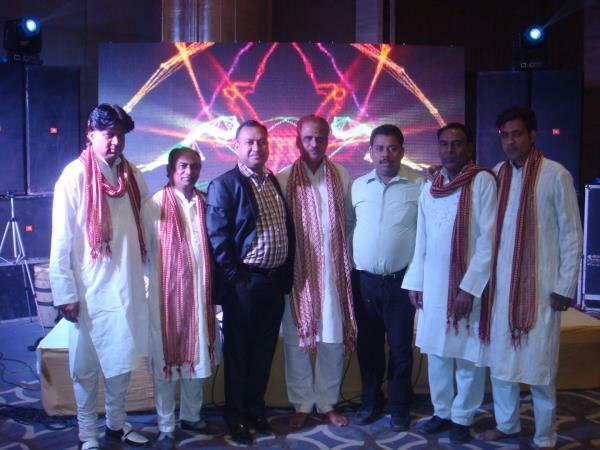 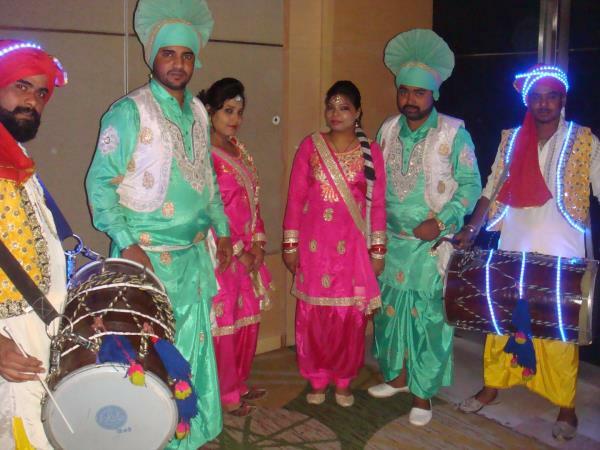 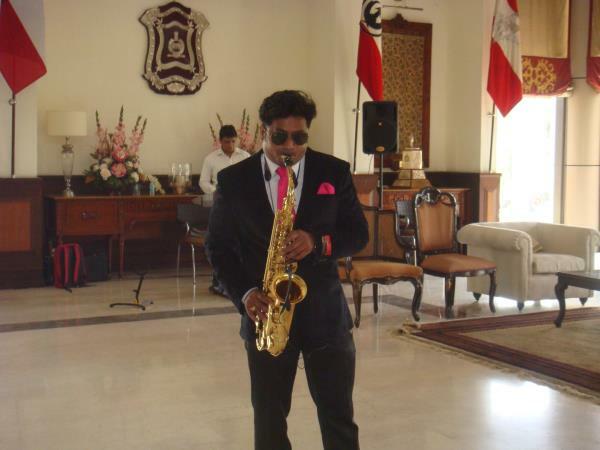 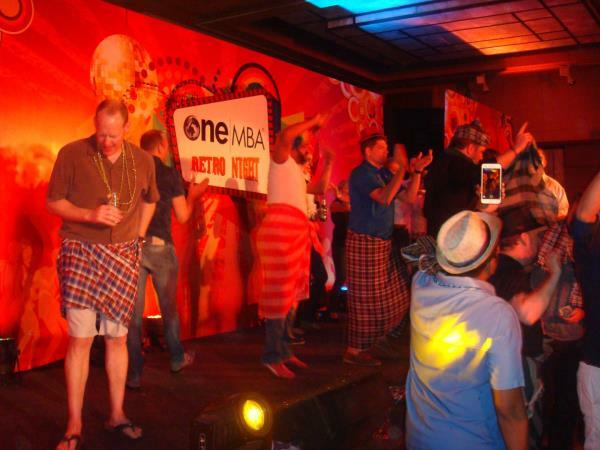 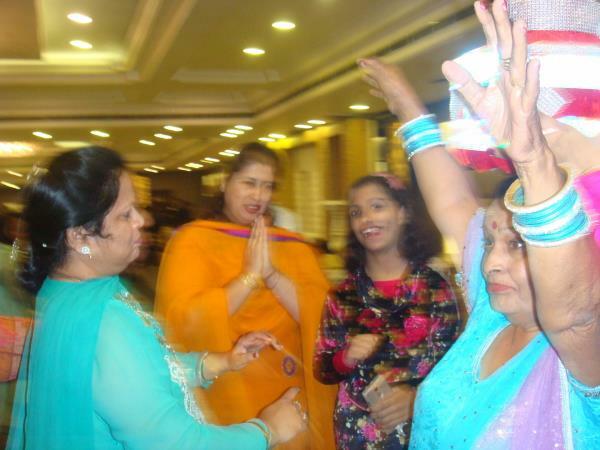 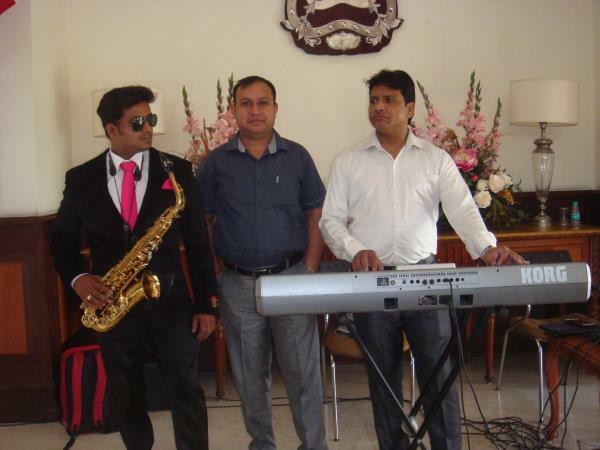 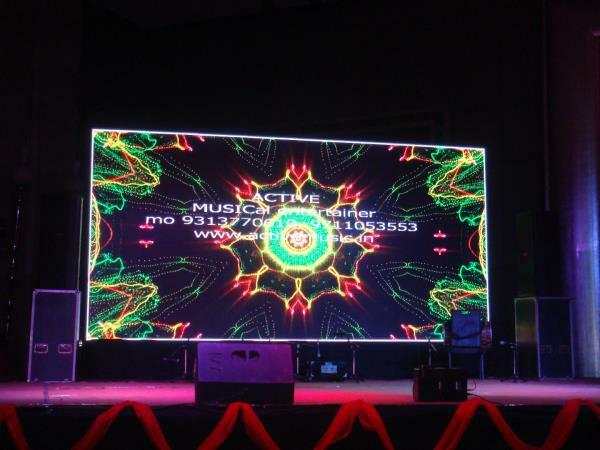 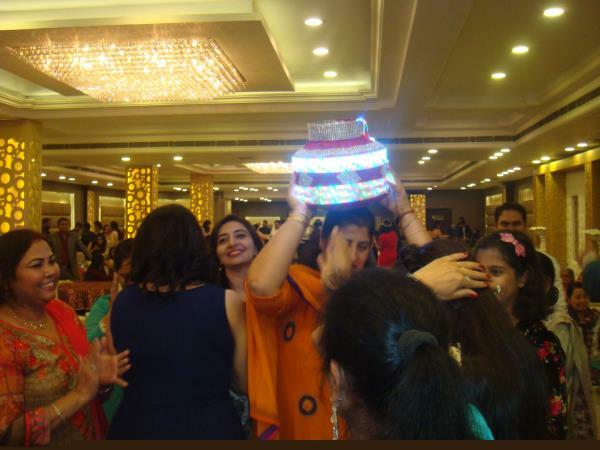 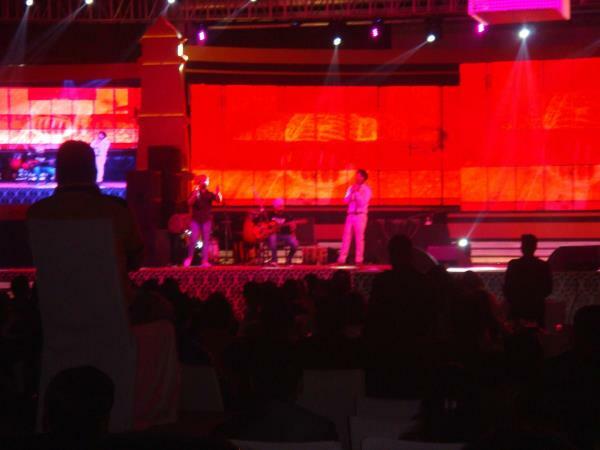 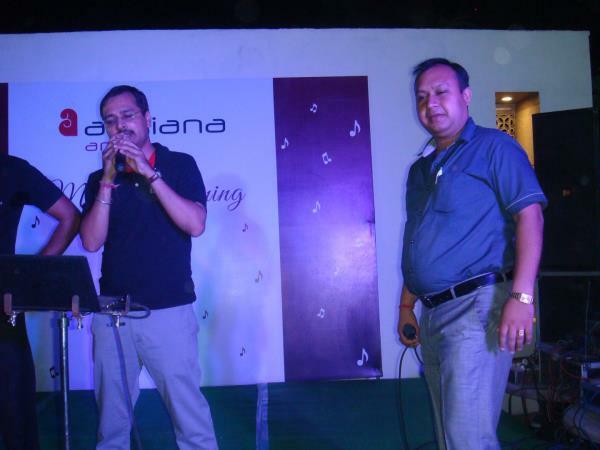 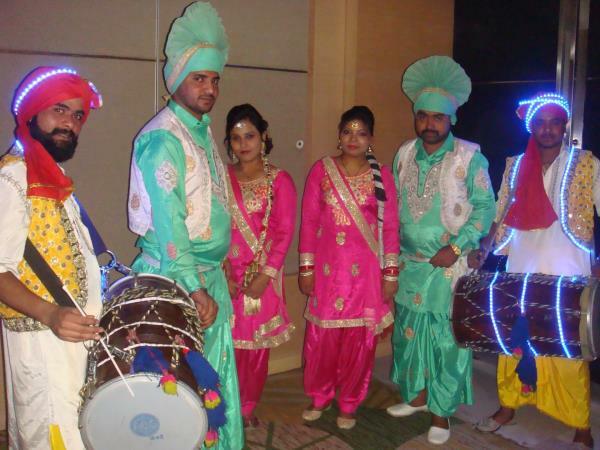 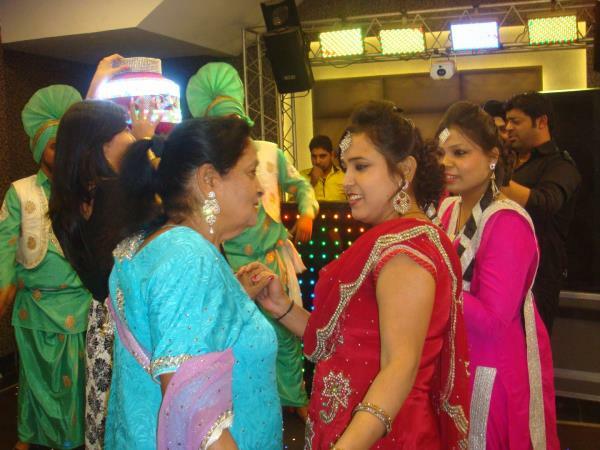 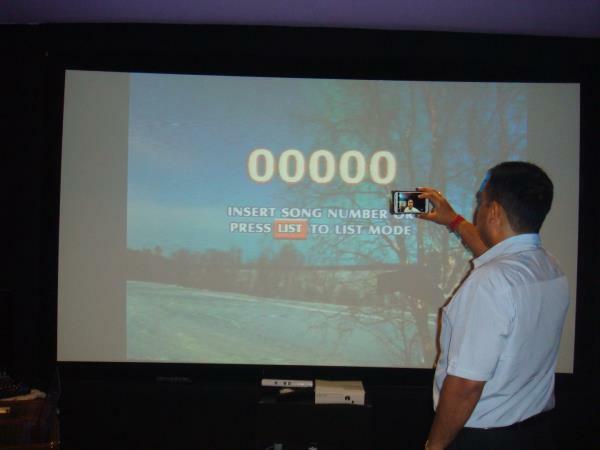 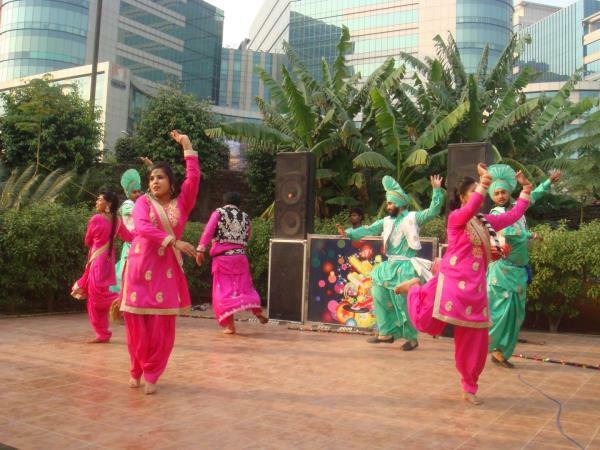 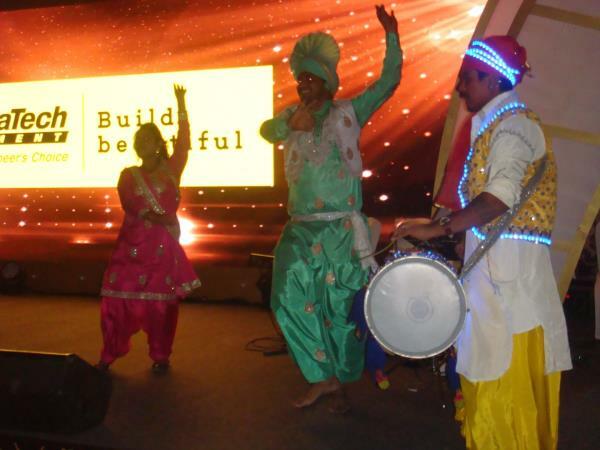 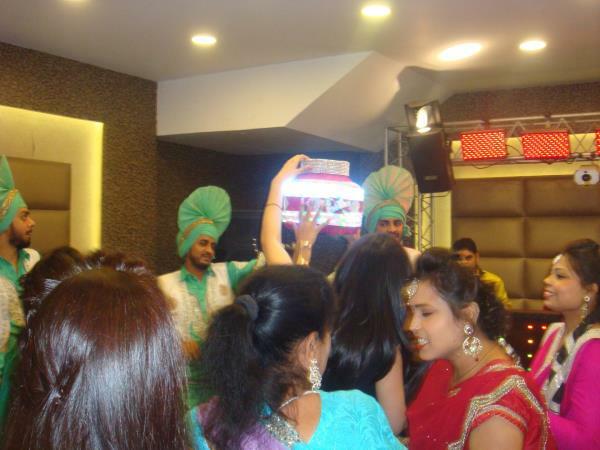 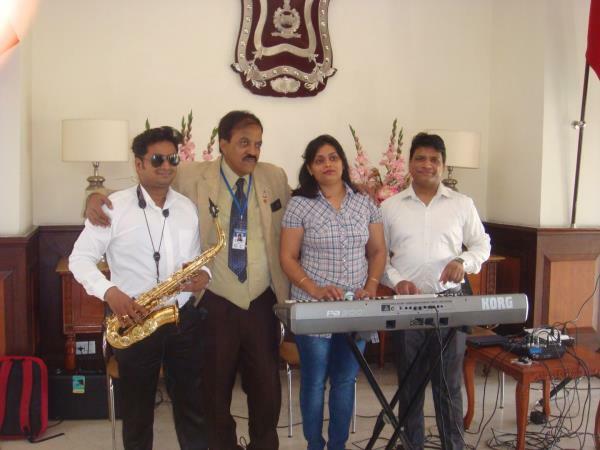 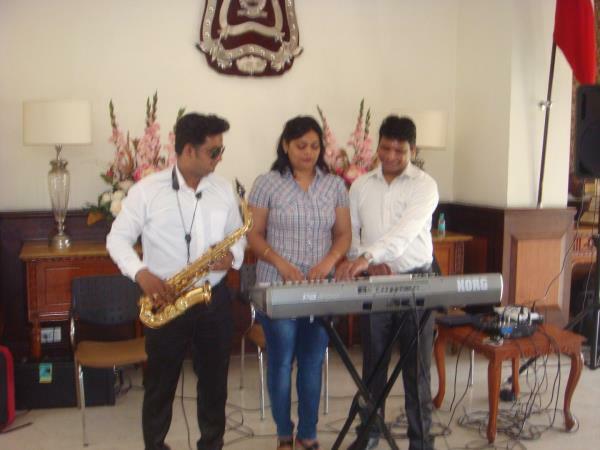 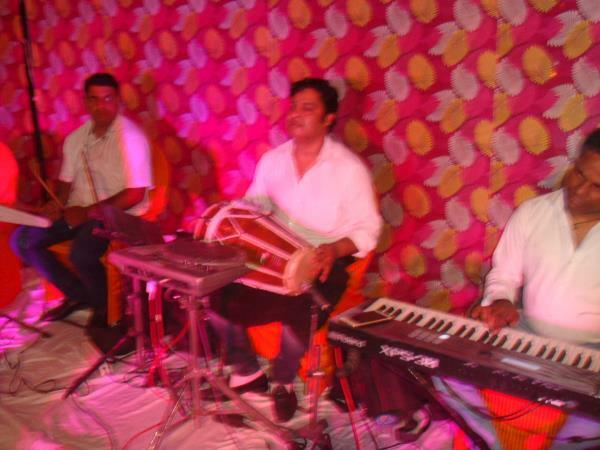 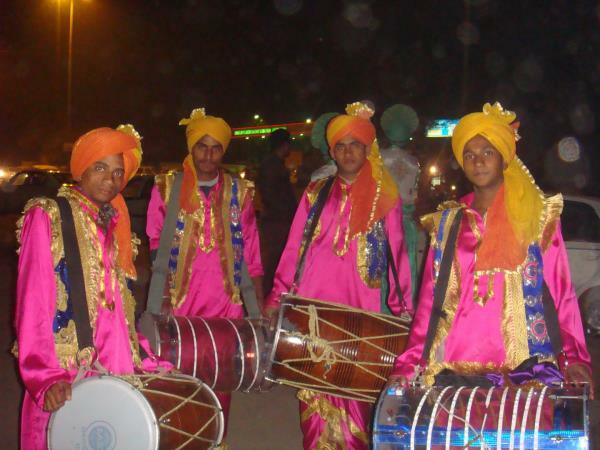 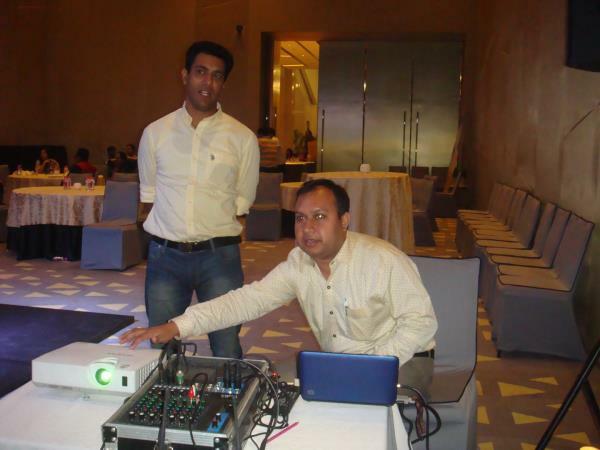 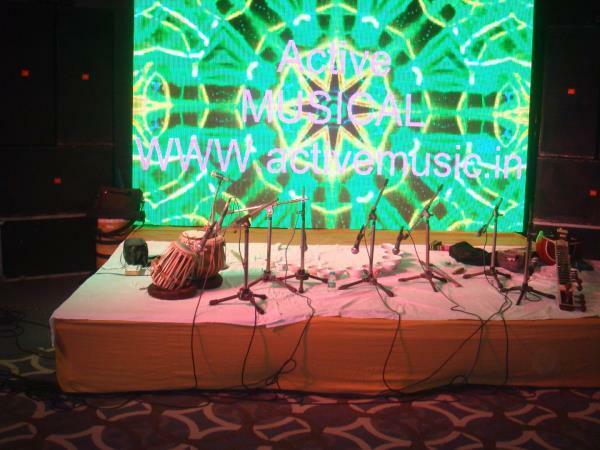 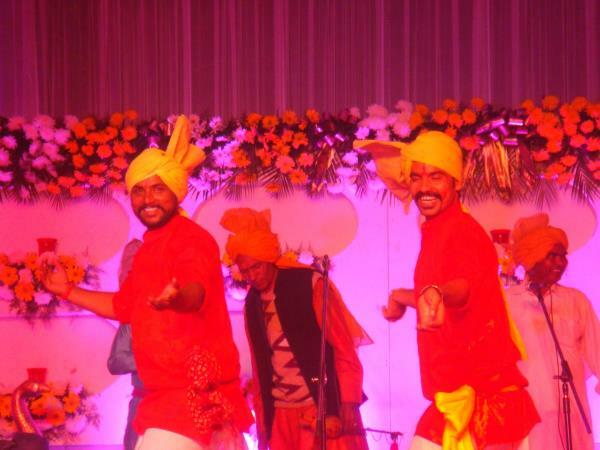 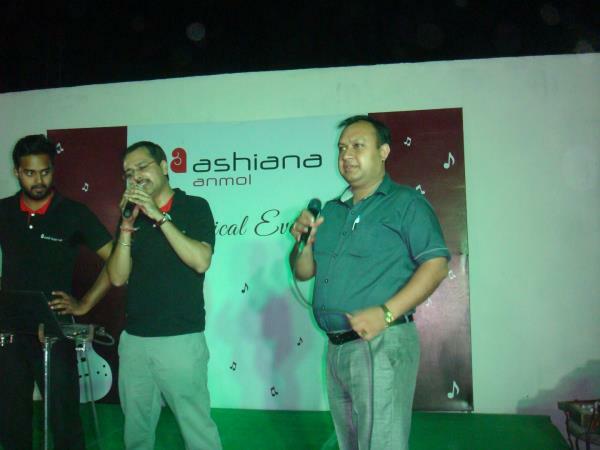 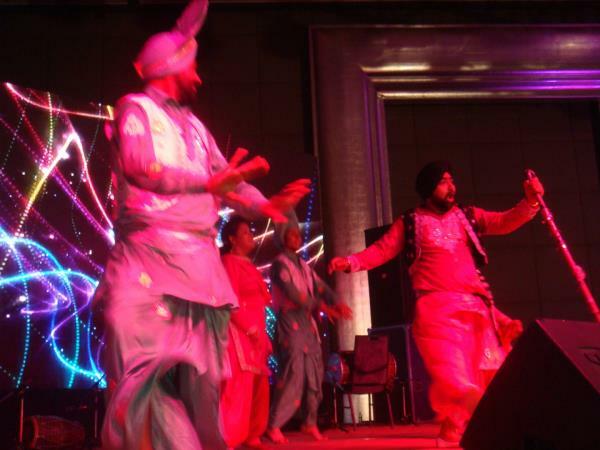 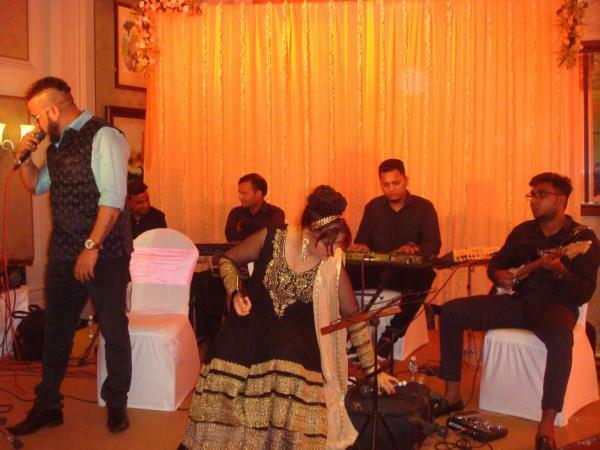 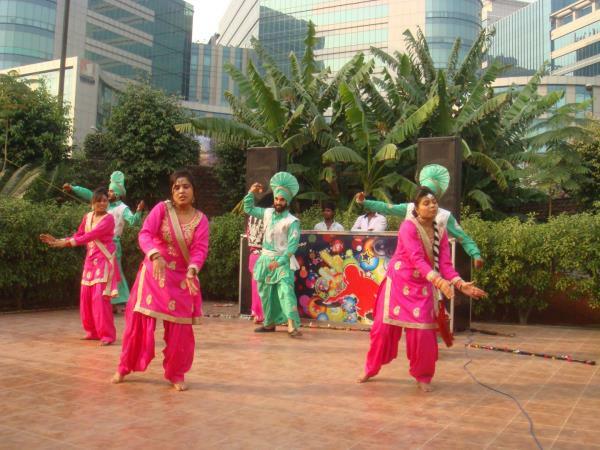 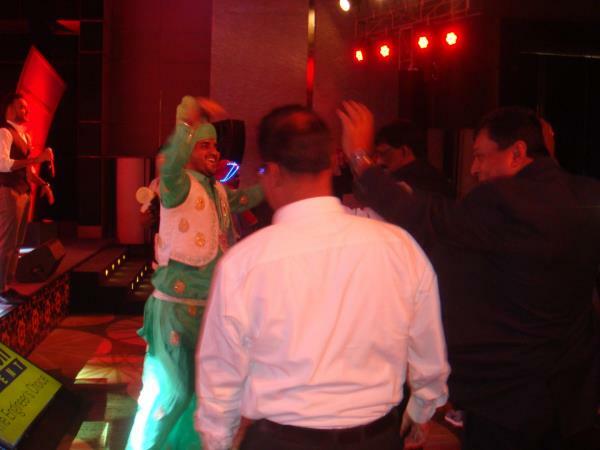 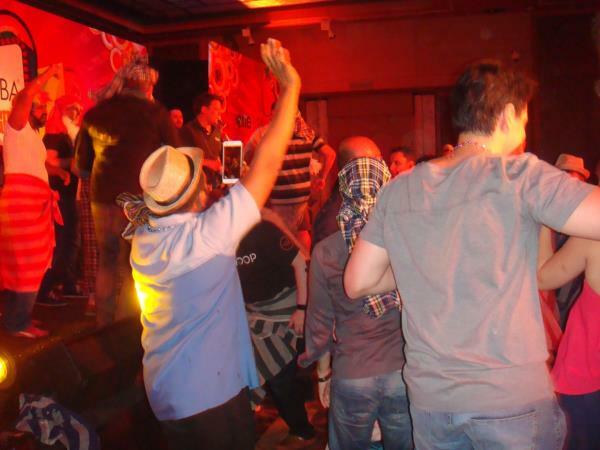 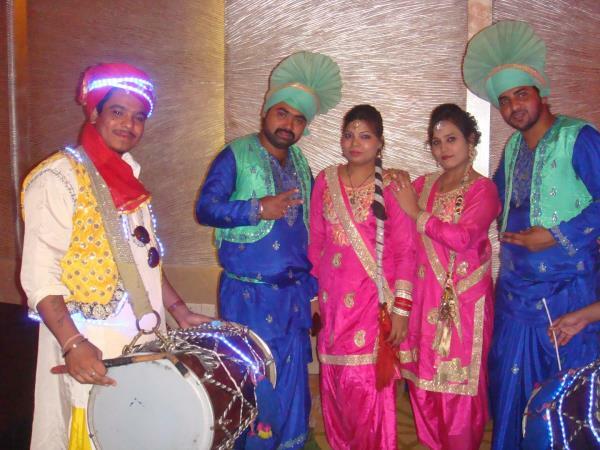 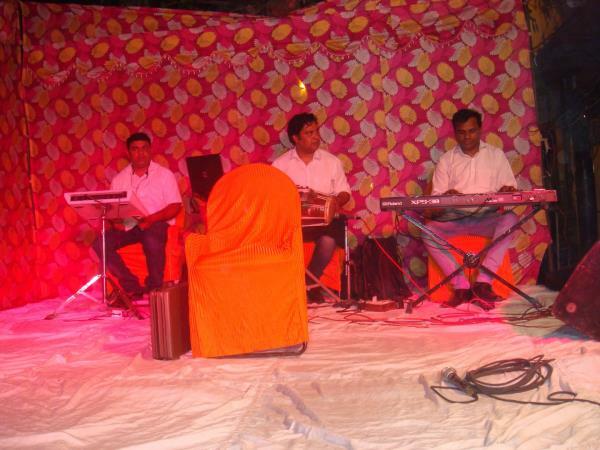 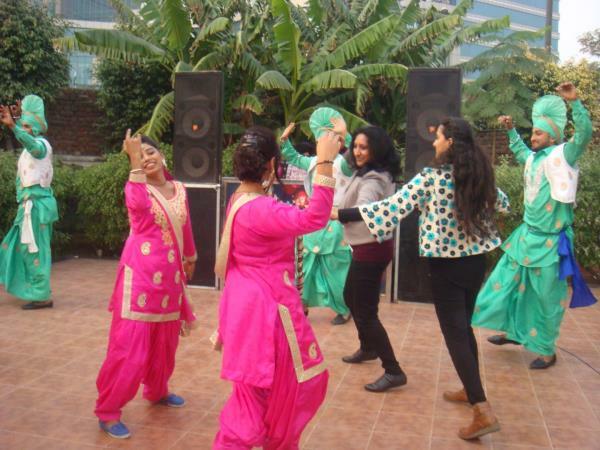 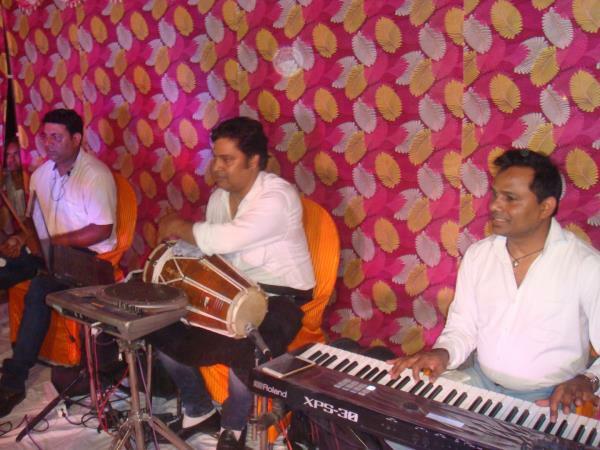 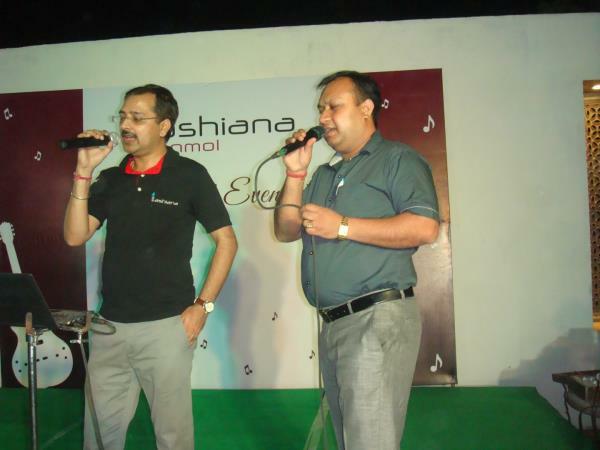 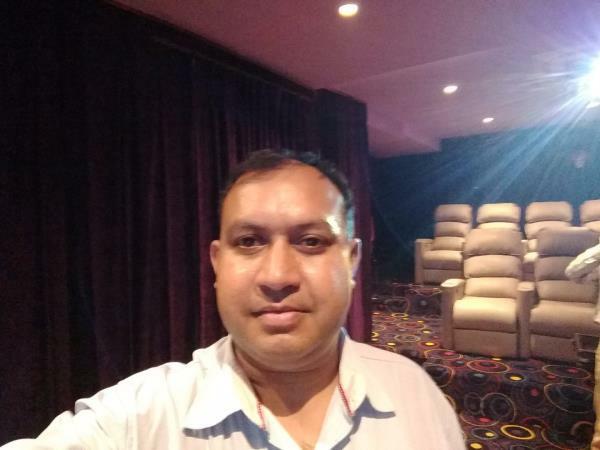 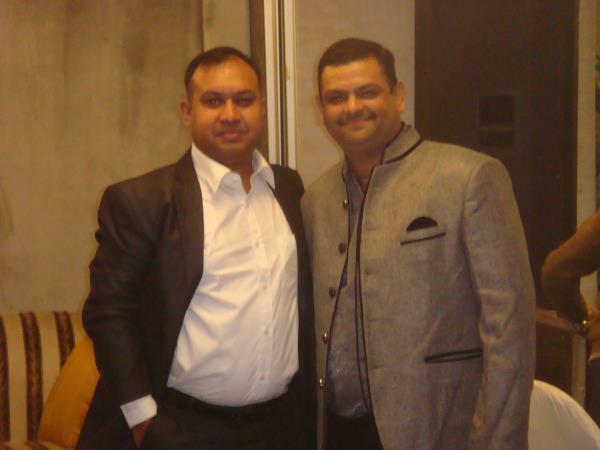 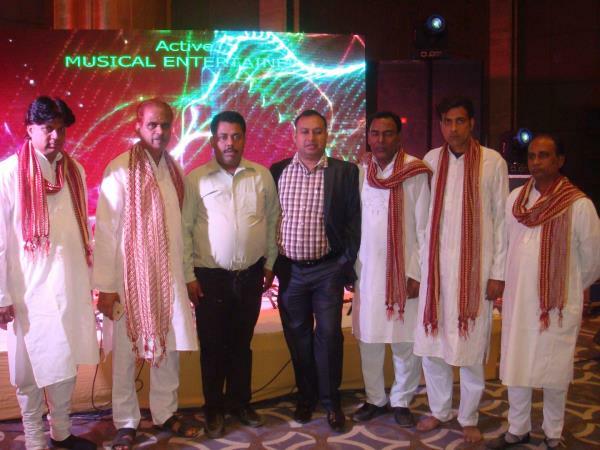 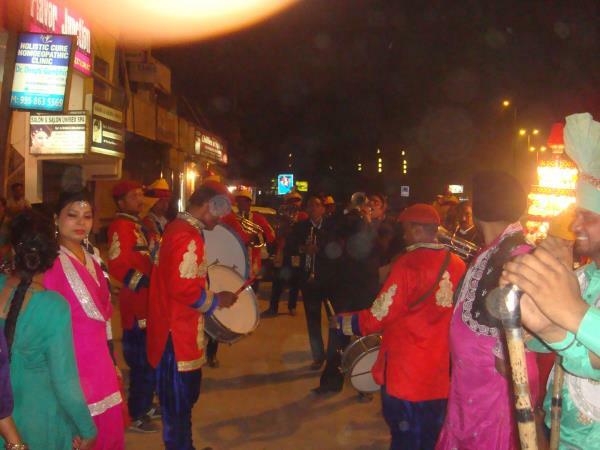 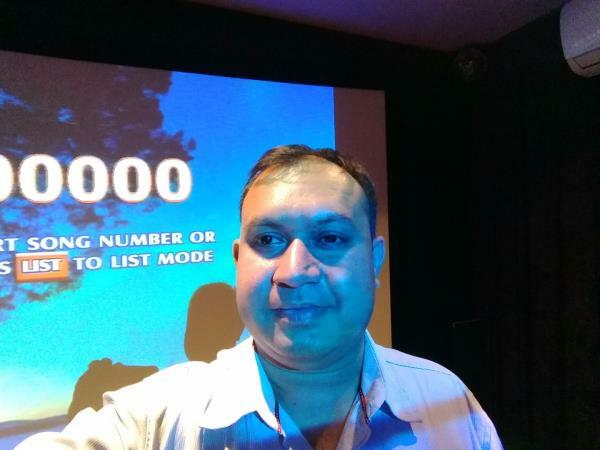 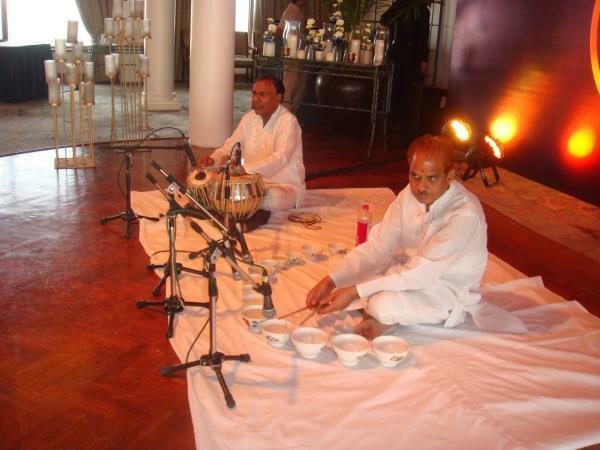 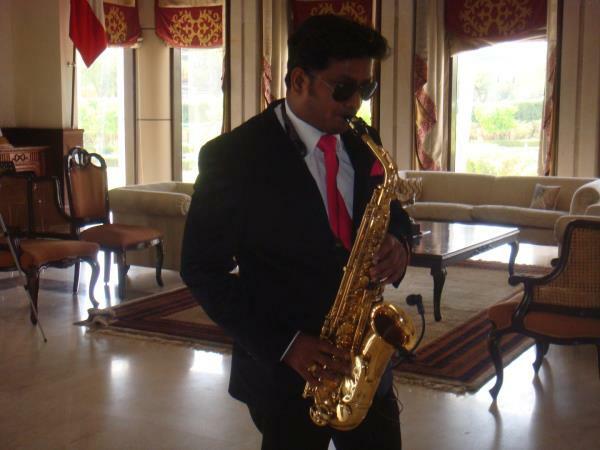 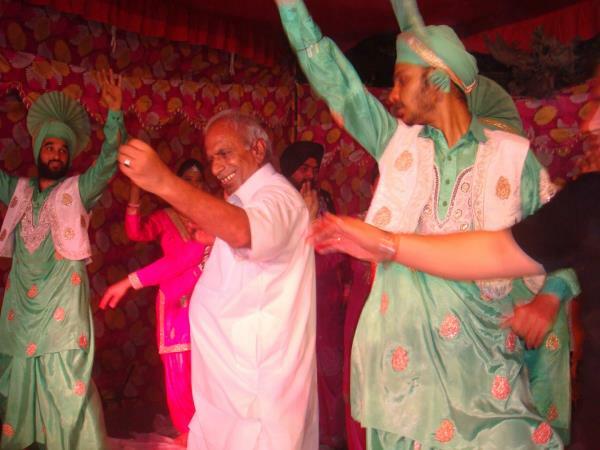 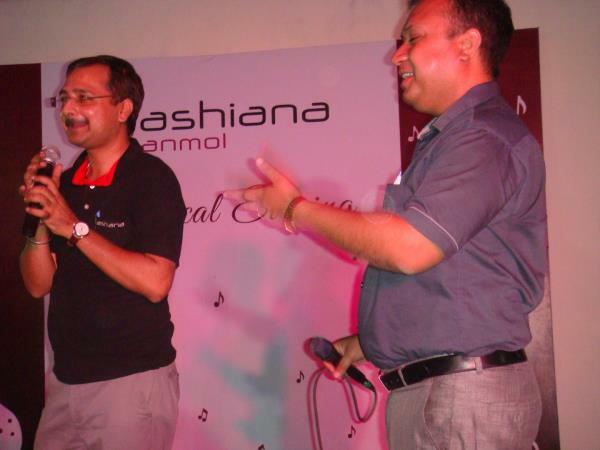 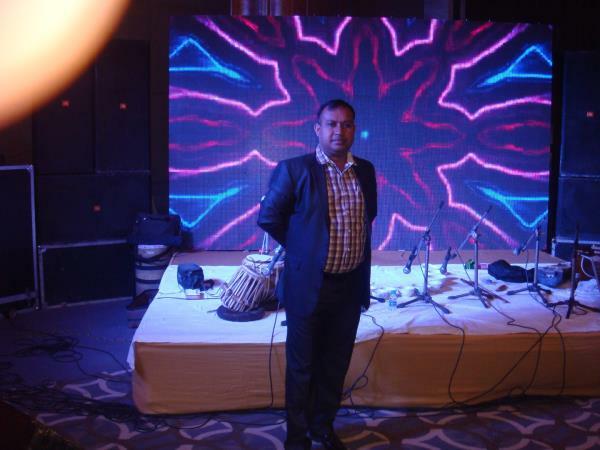 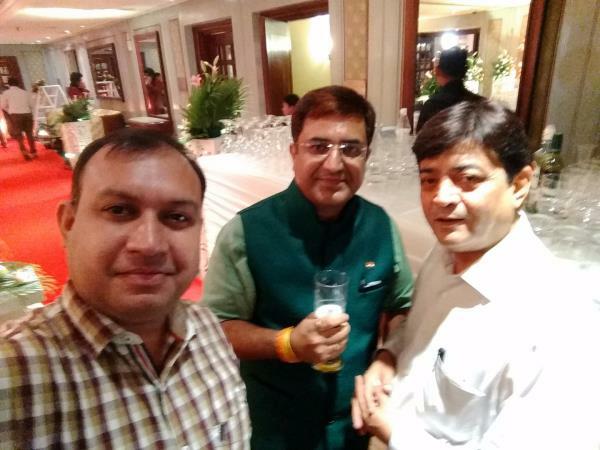 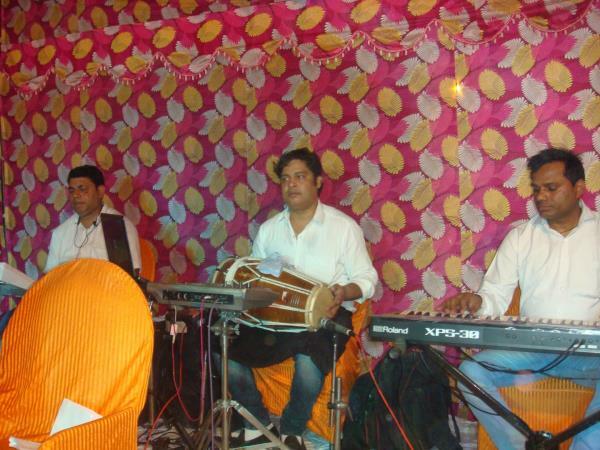 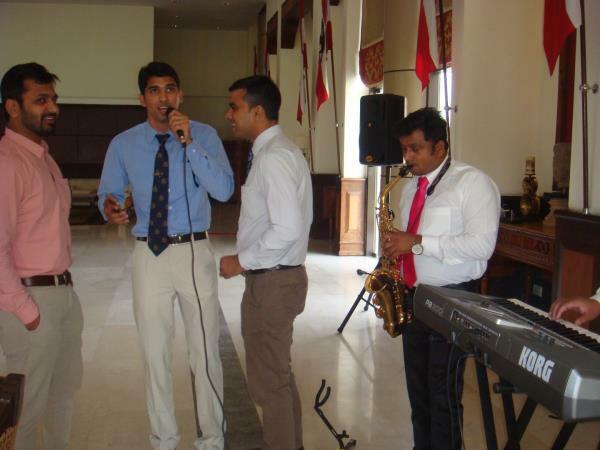 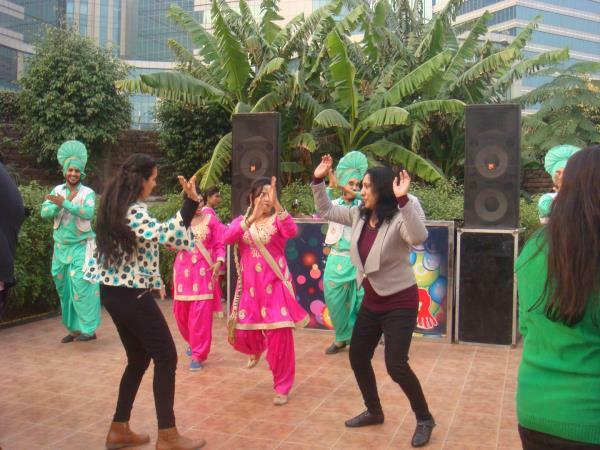 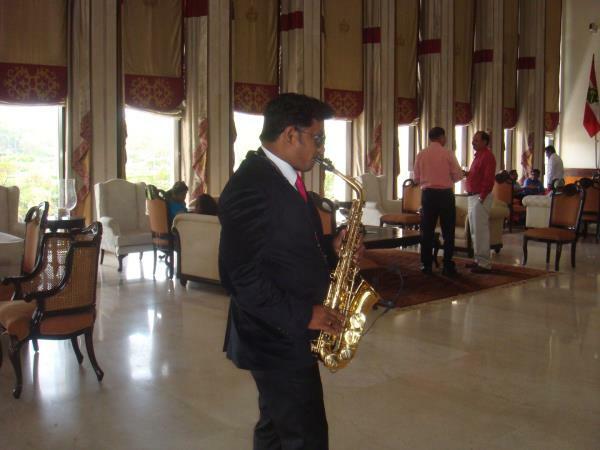 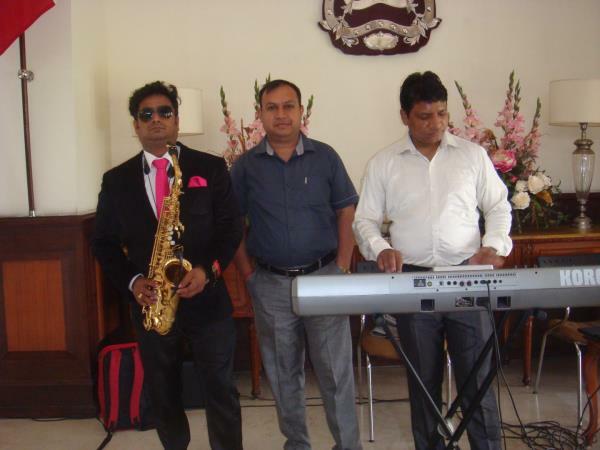 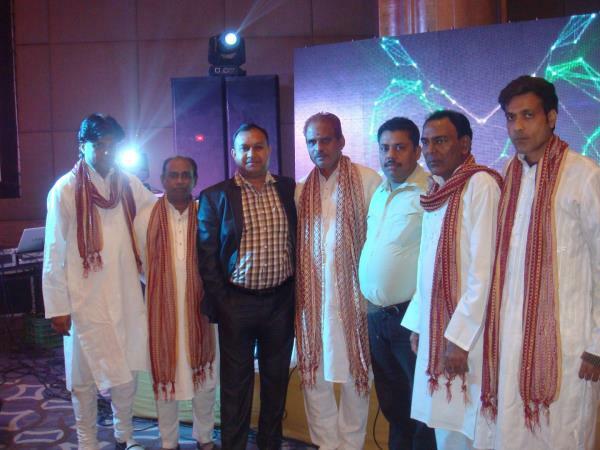 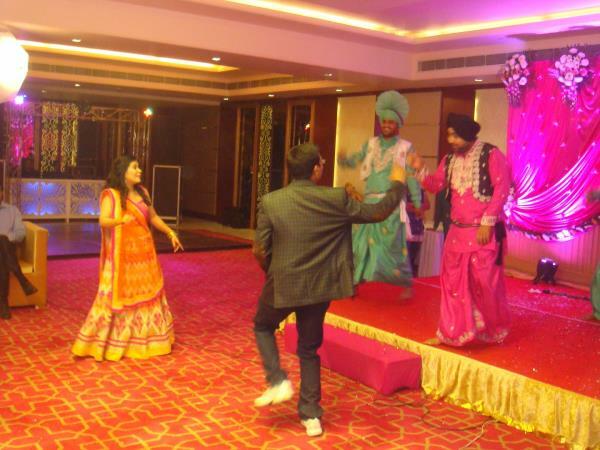 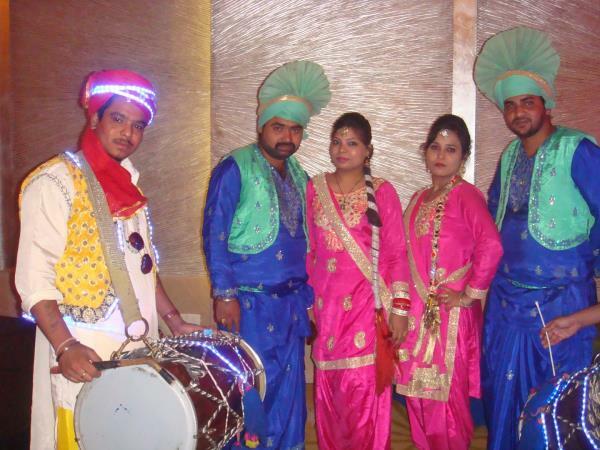 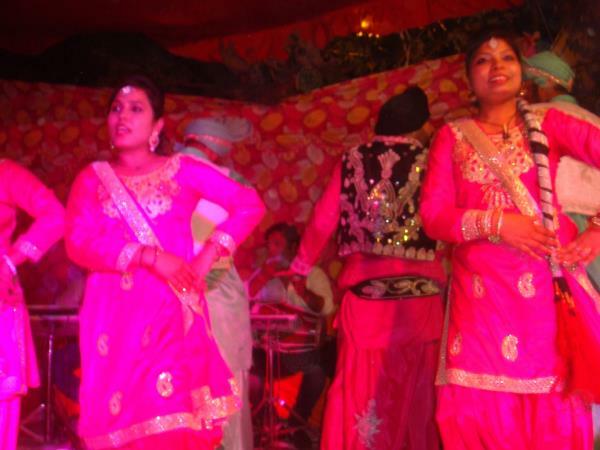 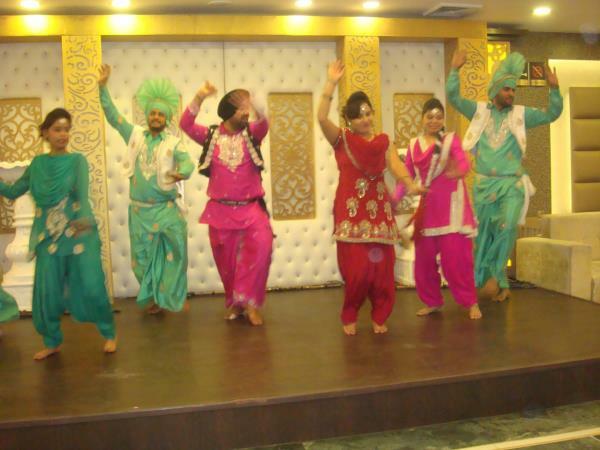 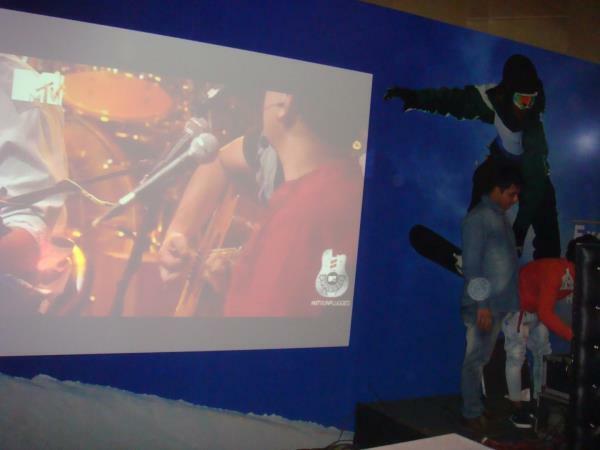 www.activemusic.in @ 9313770610, 9711053553 Best Musical Group in Delhi NCR in New Delhi ,High quality Musical Events and Entertainment for Family, Corporates or any type of Events. 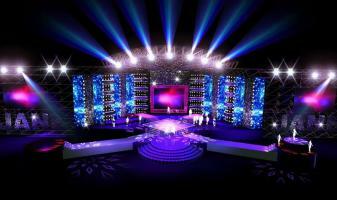 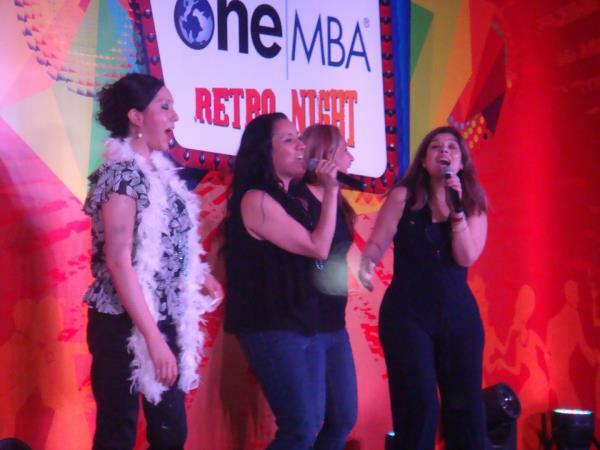 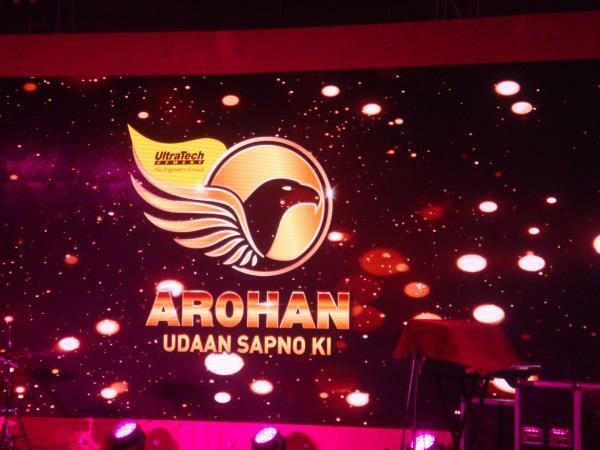 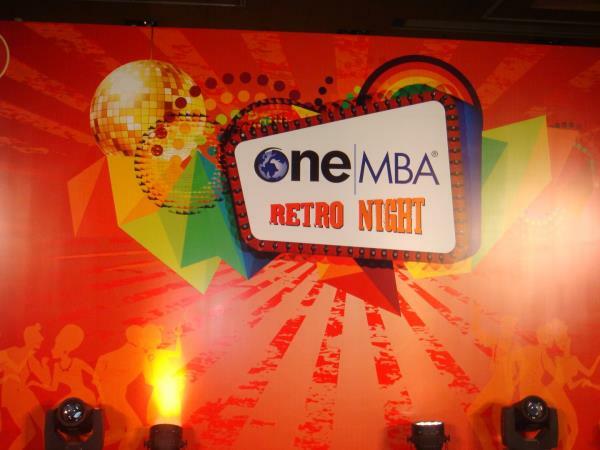 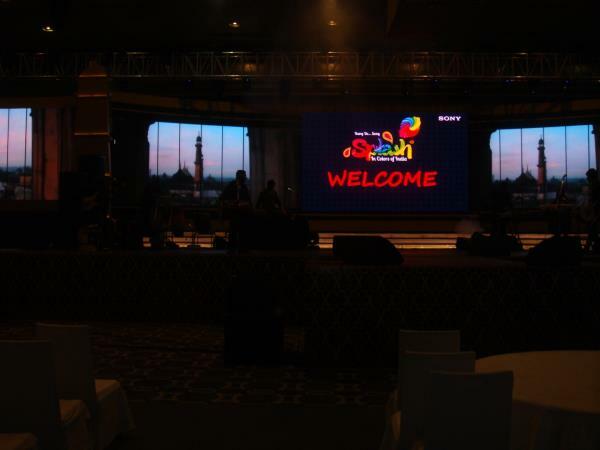 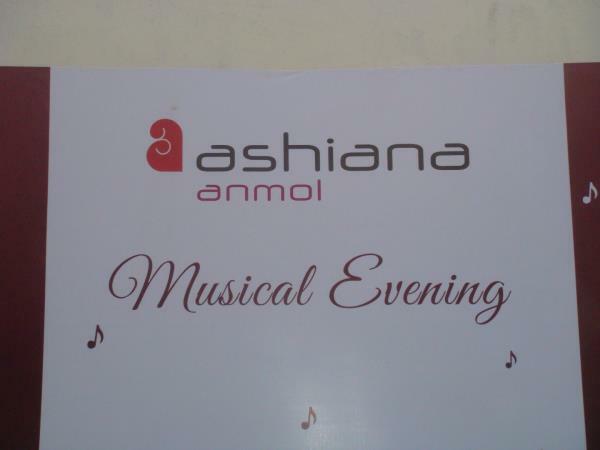 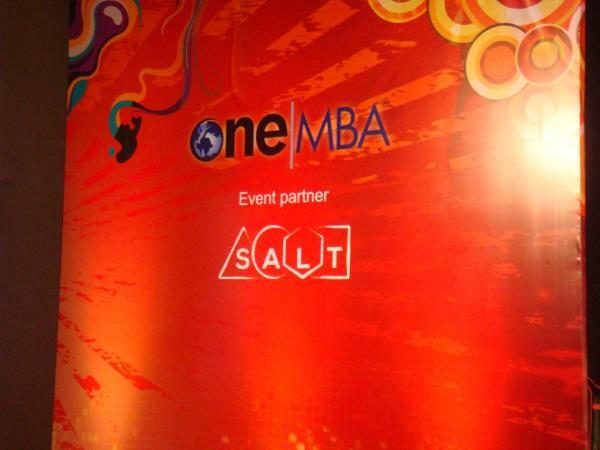 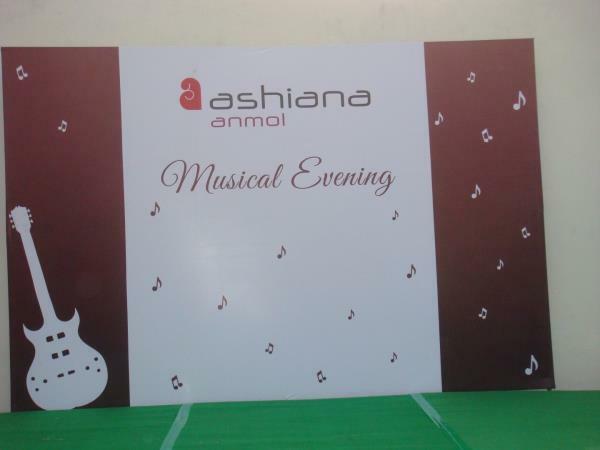 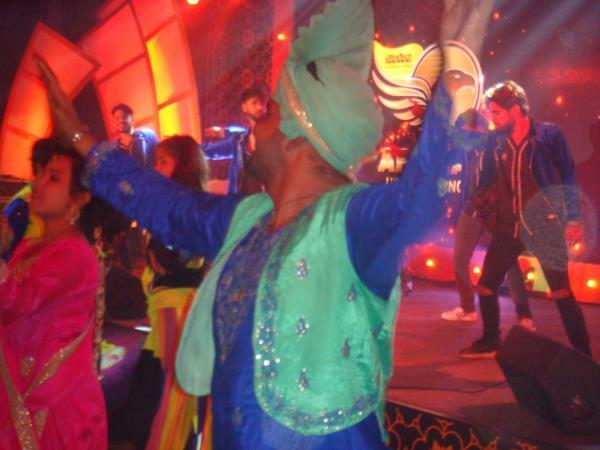 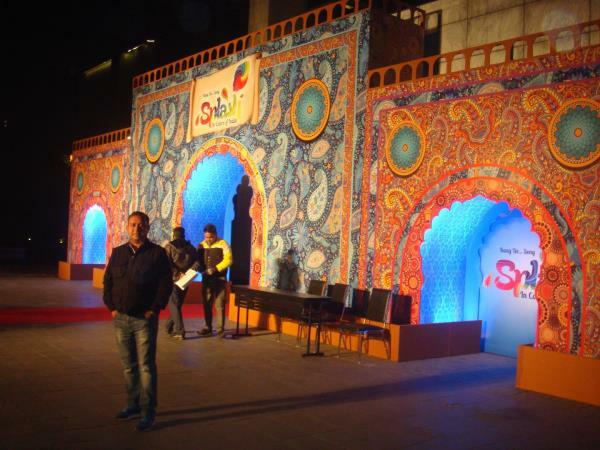 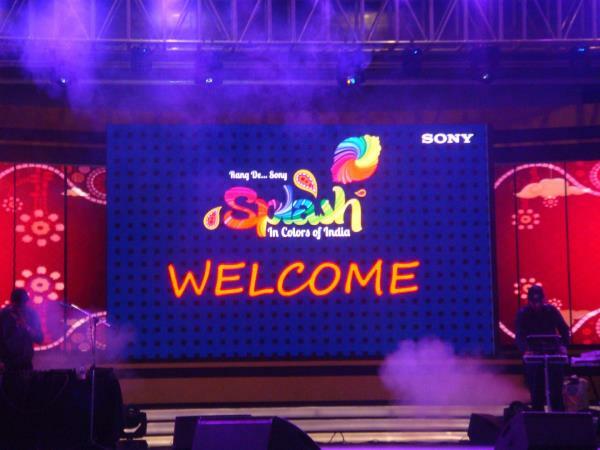 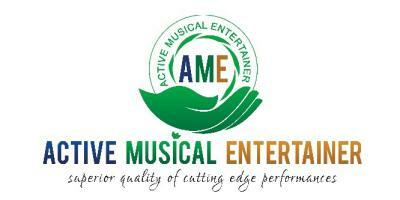 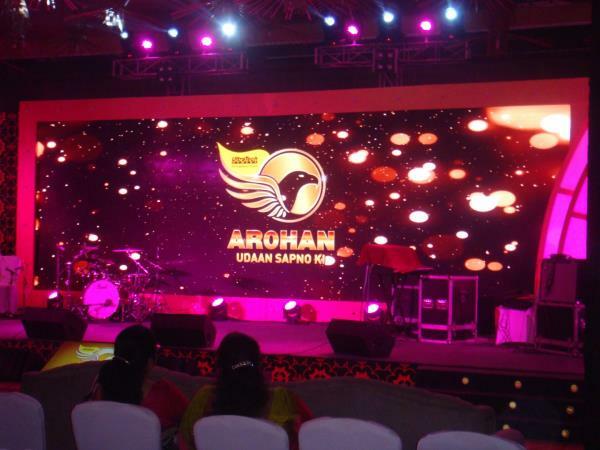 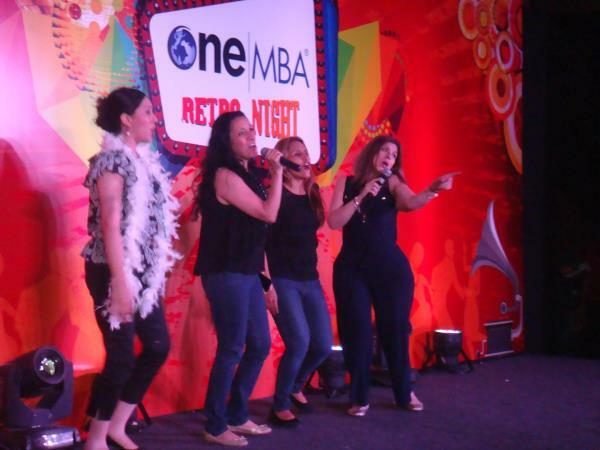 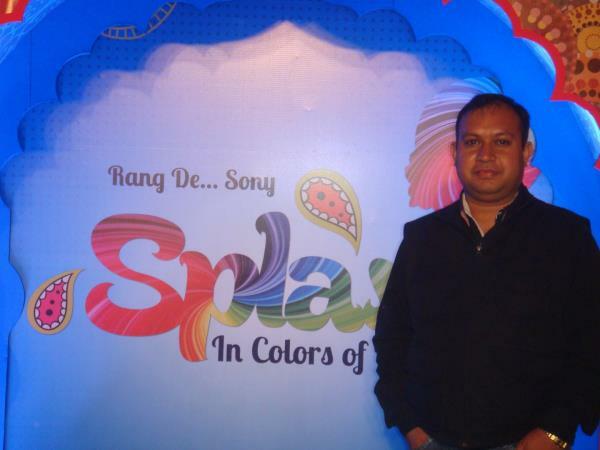 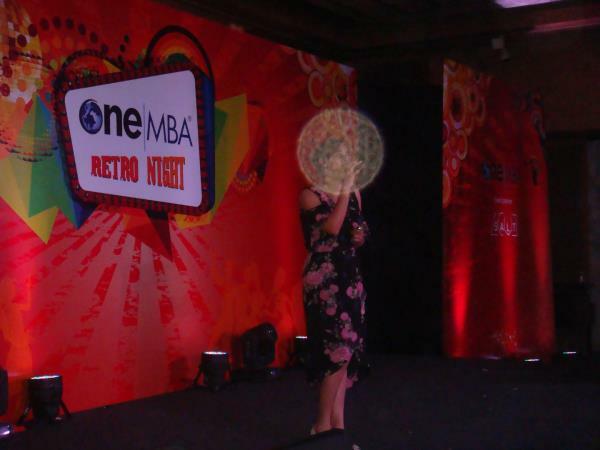 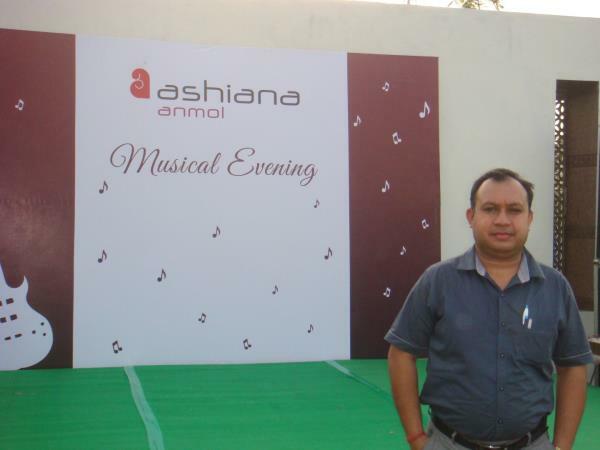 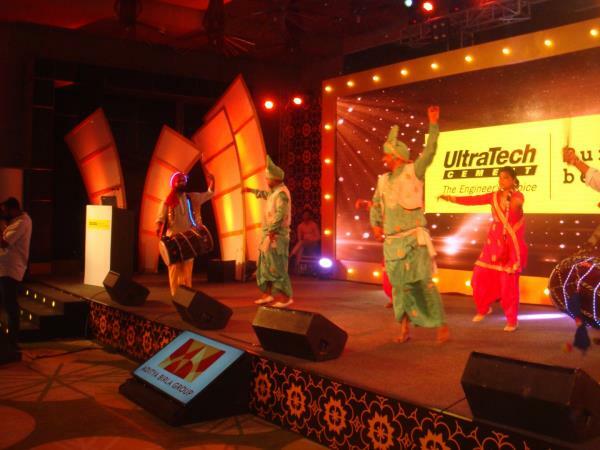 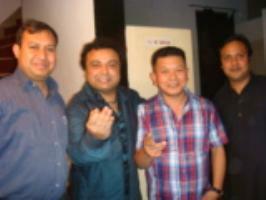 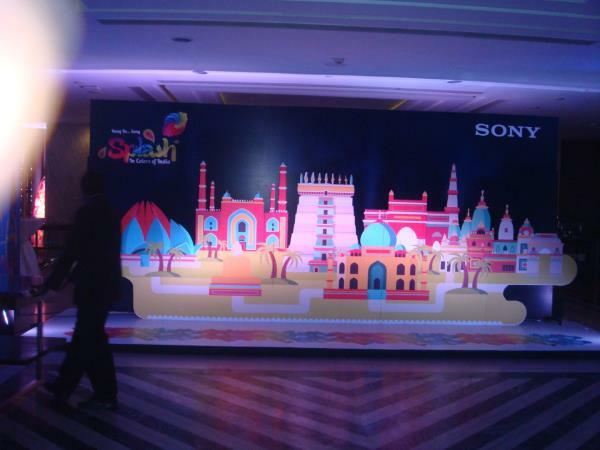 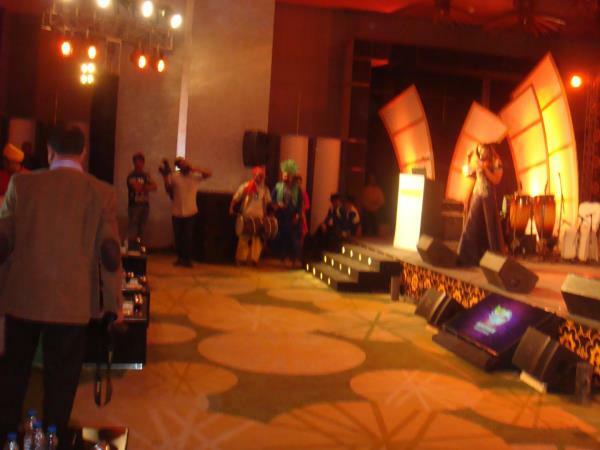 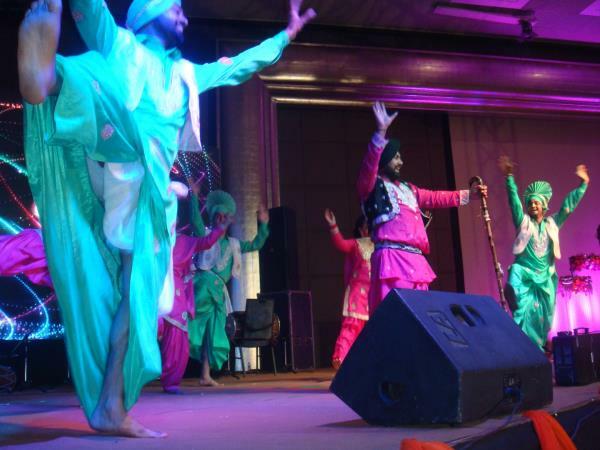 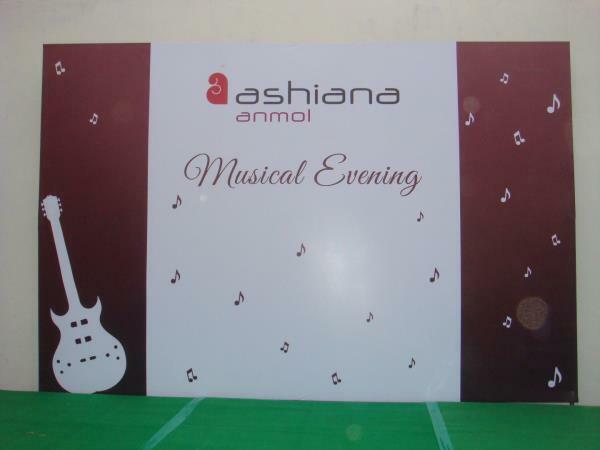 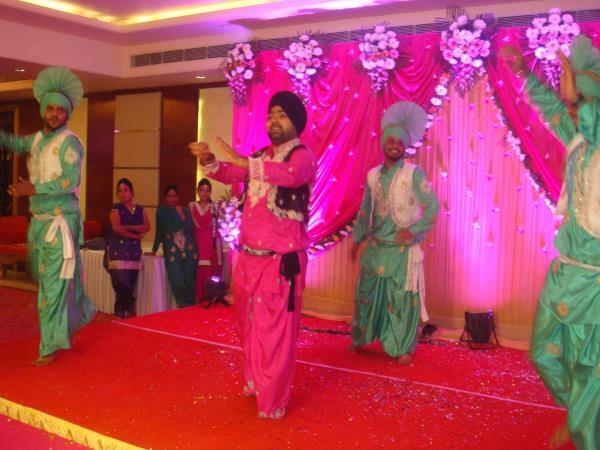 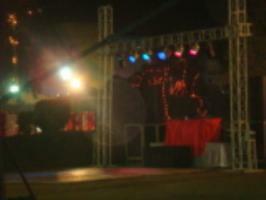 High quality Musical Events and Entertainment for Family, Corporates or any type of Events. 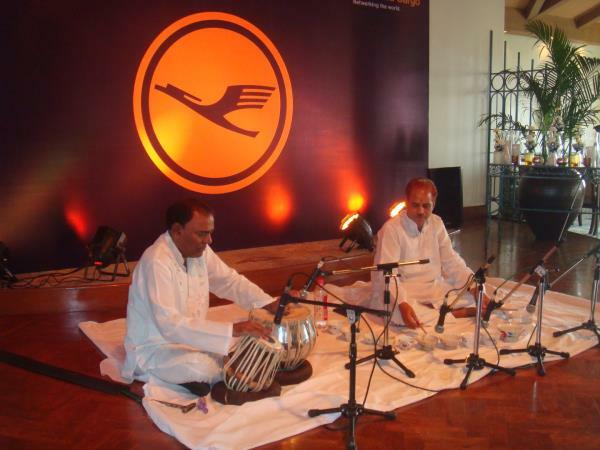 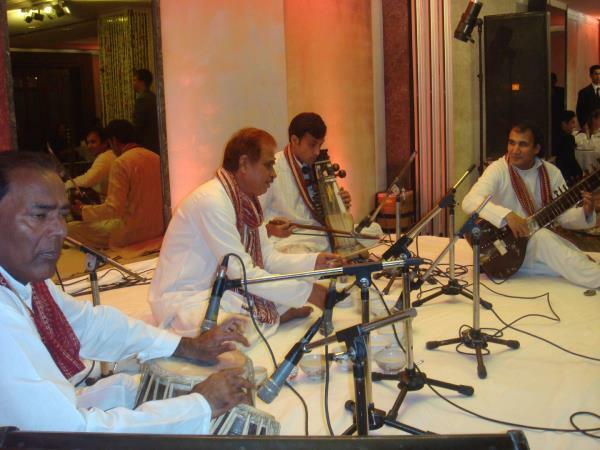 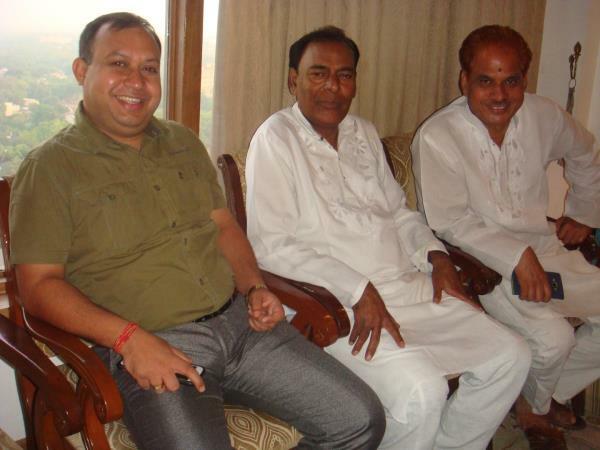 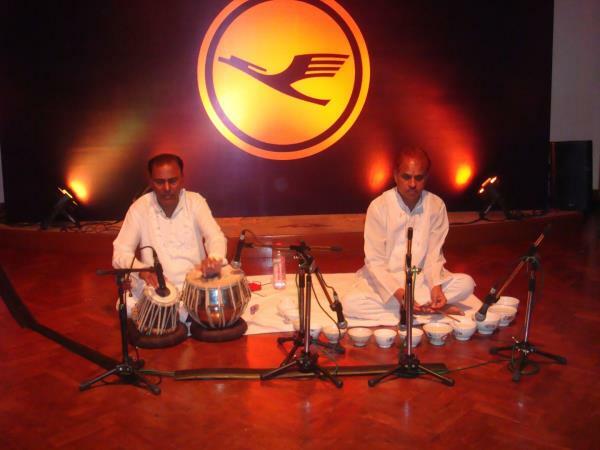 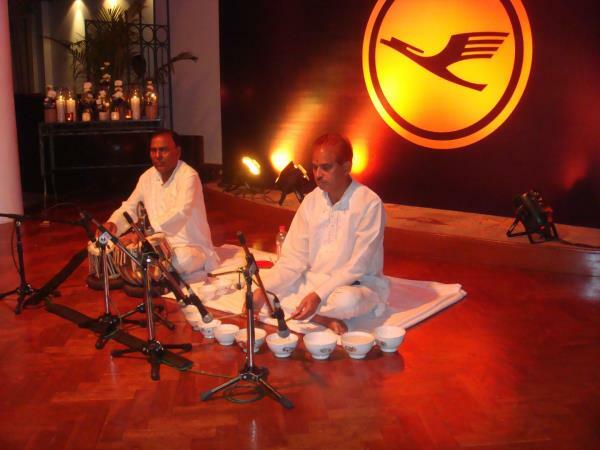 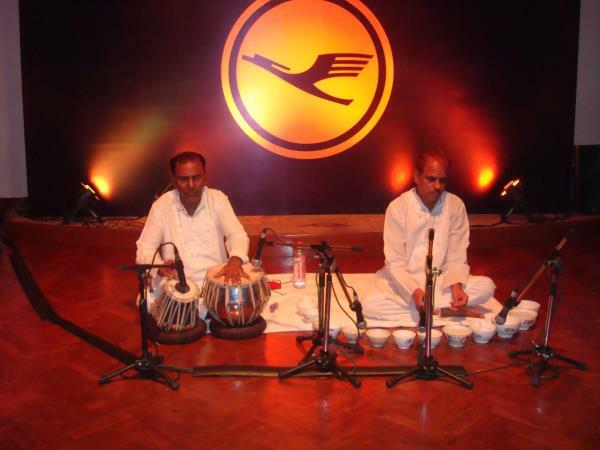 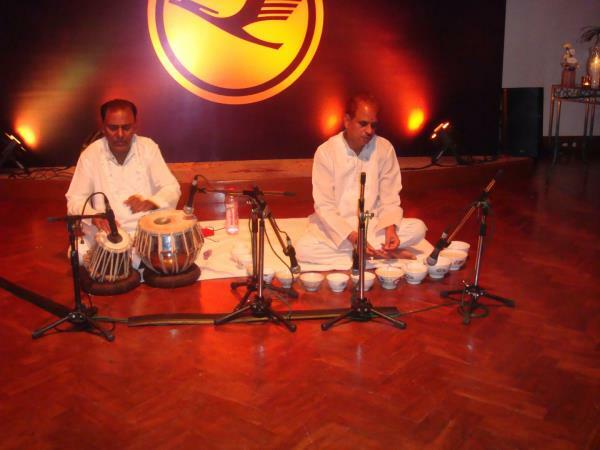 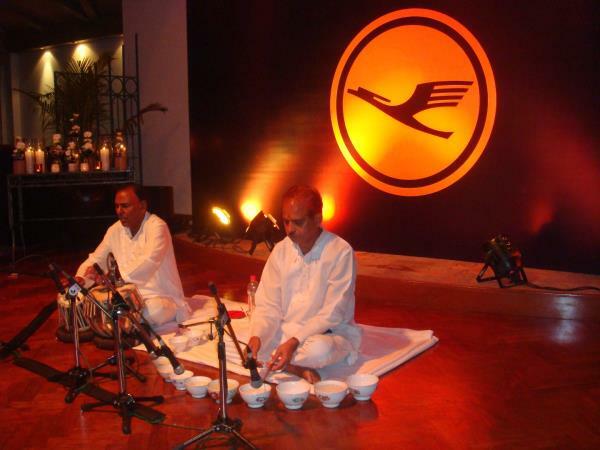 Ghazal have always been an integral part of Indian music and have gained prominence all over the world. 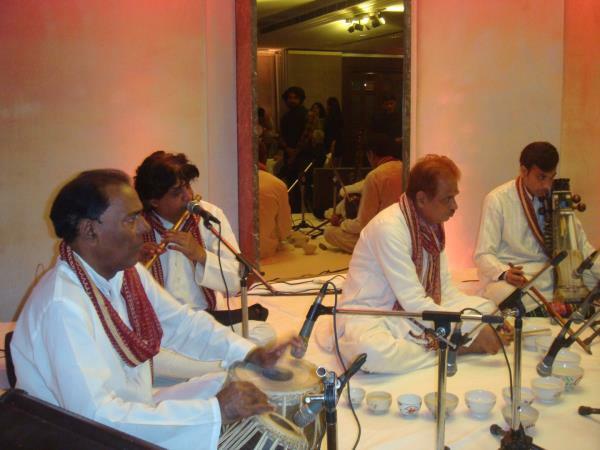 It’s been quoted that Ghazal is the music of the soul and Ghazal singing is a dying art which needs appreciation and revival in the upcoming times. 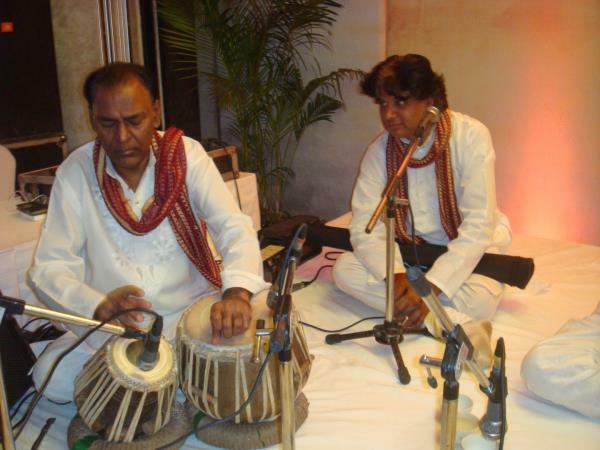 In other words, Ghazal may be understood as a poetic expression of both the pain of loss or separation and the beauty of love in spite of that pain. 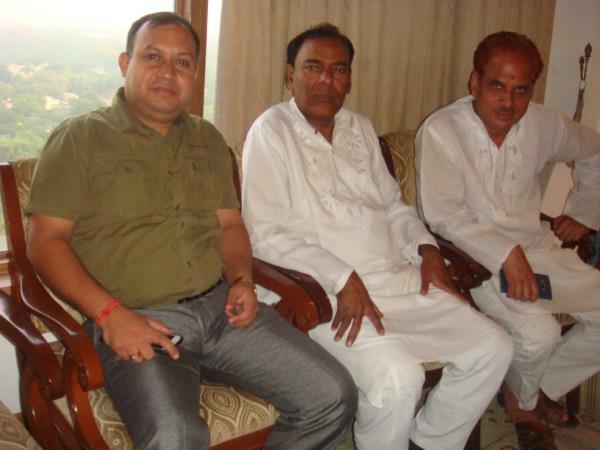 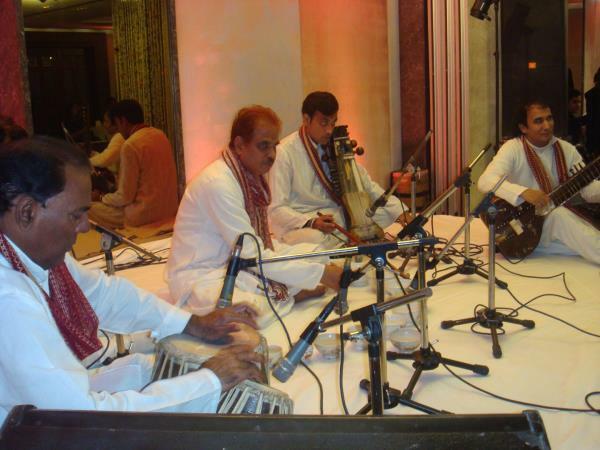 Ghazal was initially composed to a purely religious theme and now it is more likely to lean towards romantic themes. 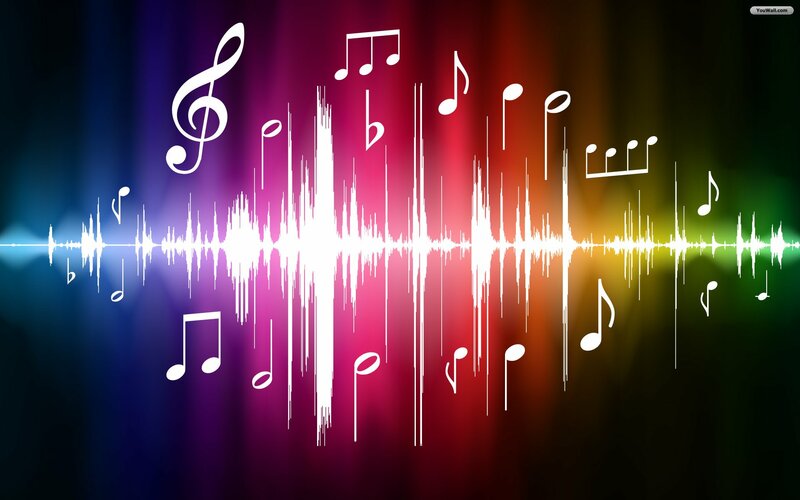 It is not a musical form at all but a poetic recitation. 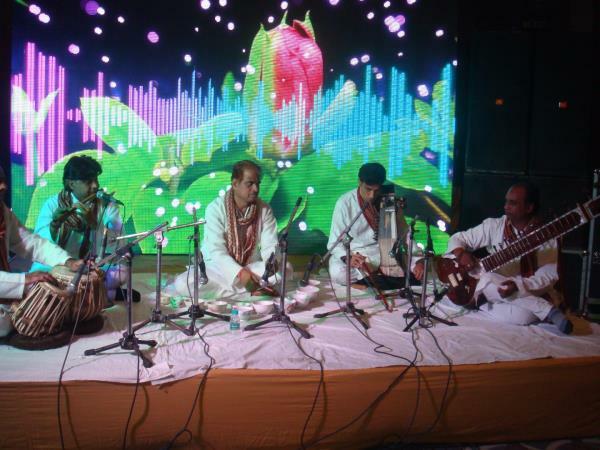 Now-a-days Ghazal is commonly conceived of as an Urdu song whose prime importance is given to the lyrics and it traces its roots in classical Arabic poetry. 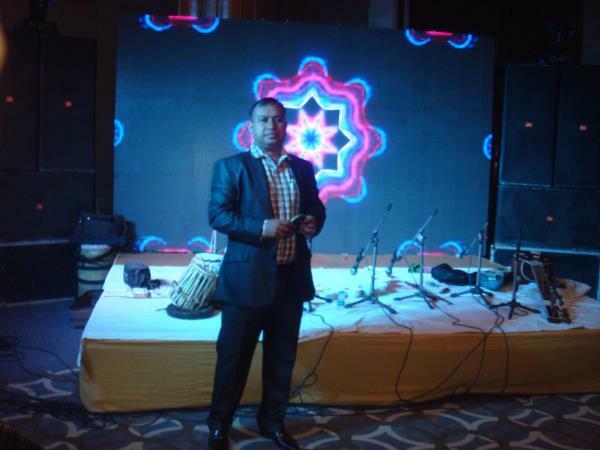 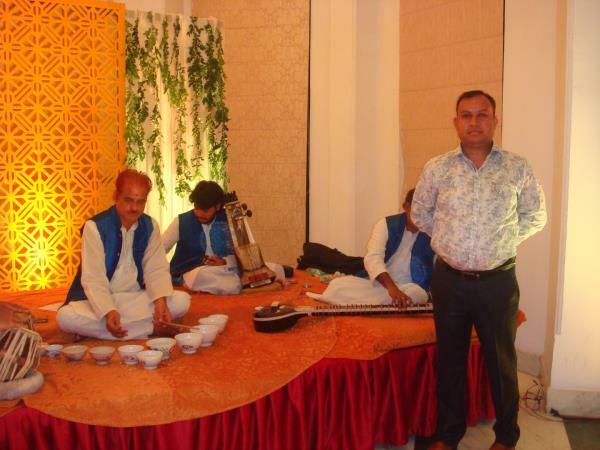 Active Musical Entertainer, being one of the top providers of the live bands in Delhi, offers our clients the best Ghazal singer in Delhi. 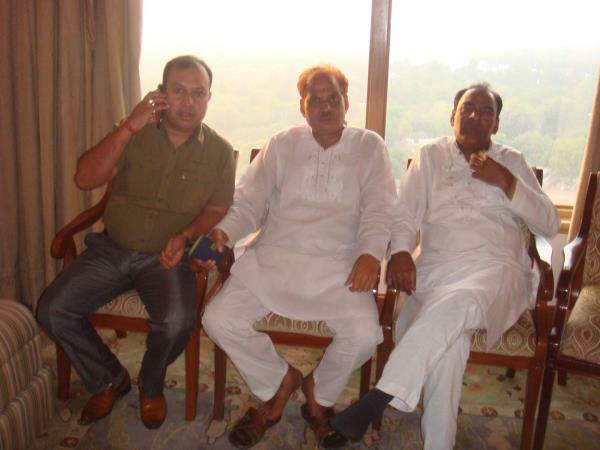 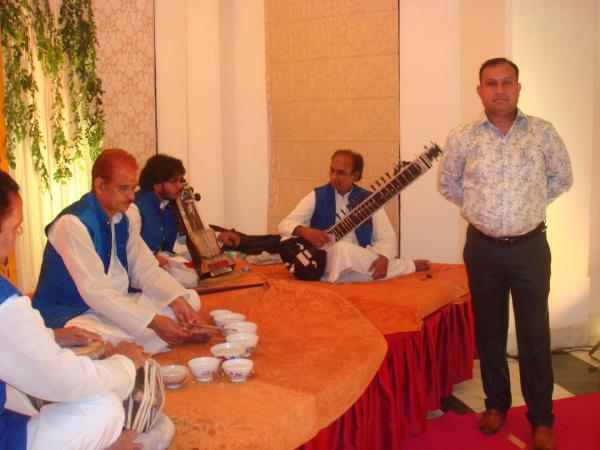 We have the best Ghazal singers of India that sings the best collection of famous Ghazal singer’s songs like Jagjit Singh, Gulam Ali, Mehndi Hassan, Pankaj Udhas etc. 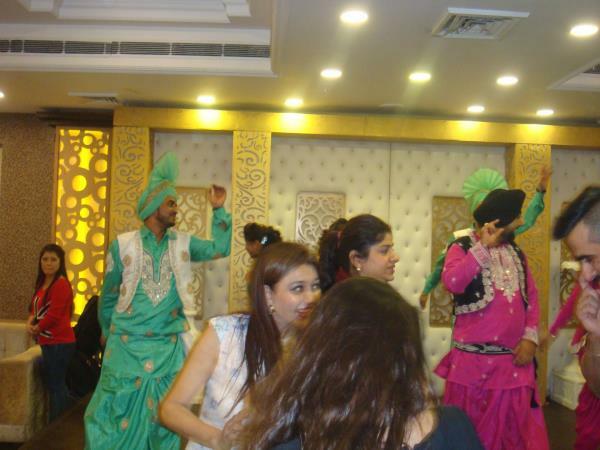 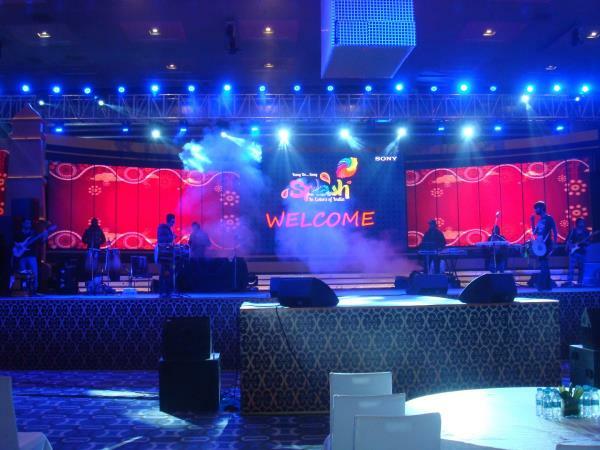 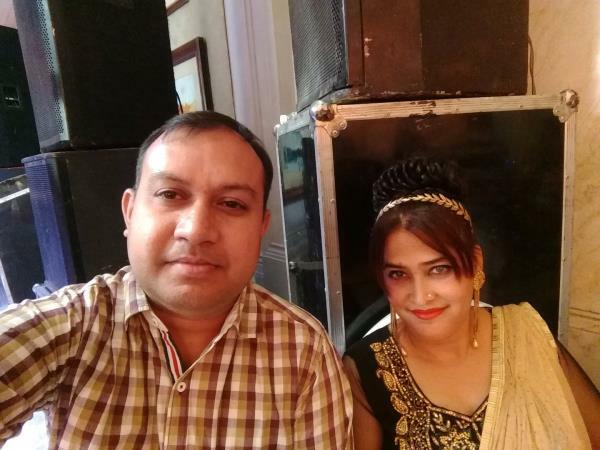 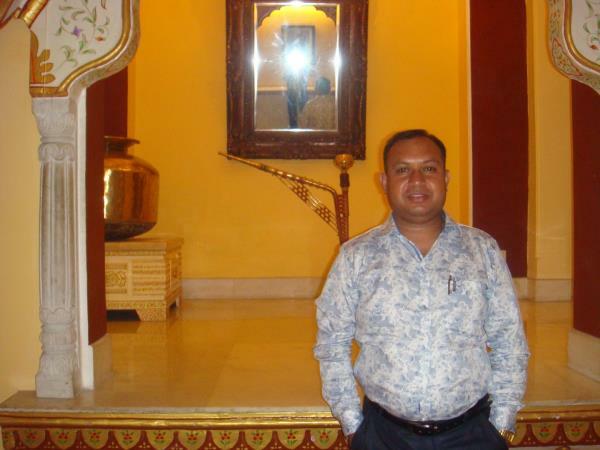 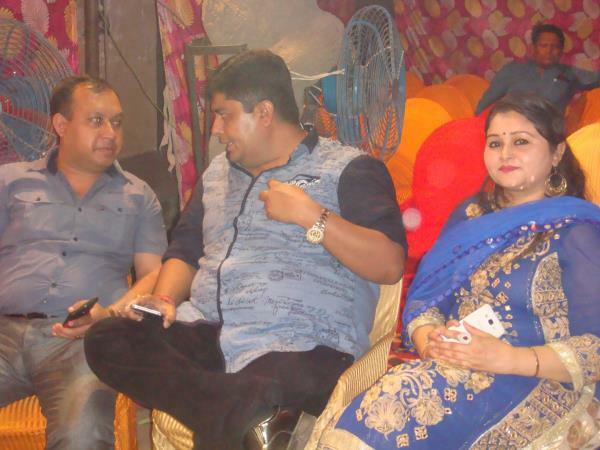 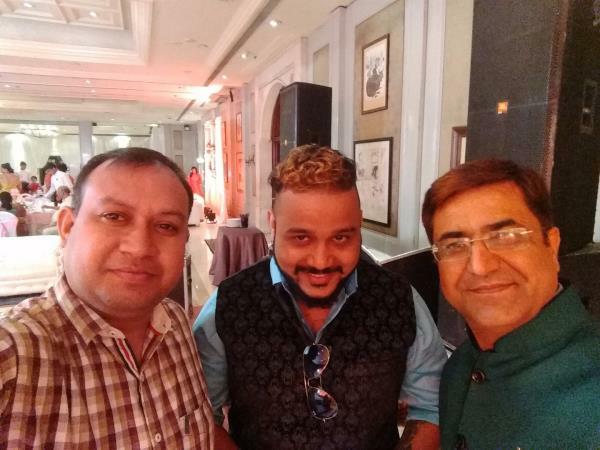 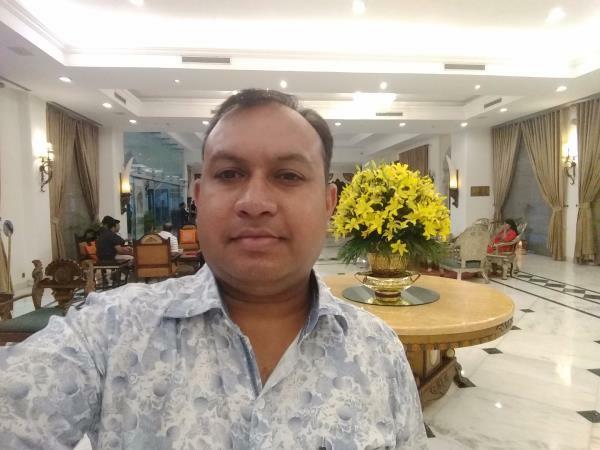 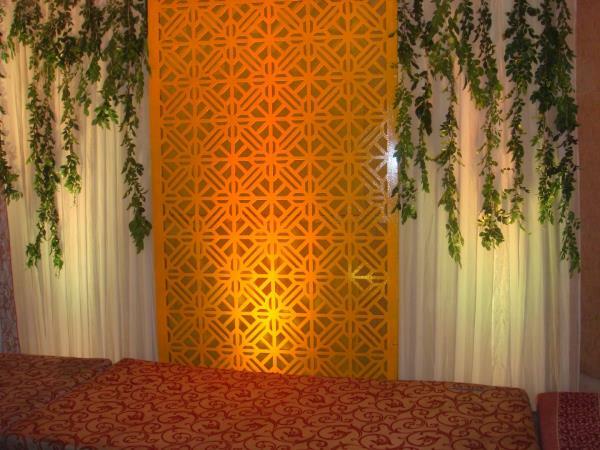 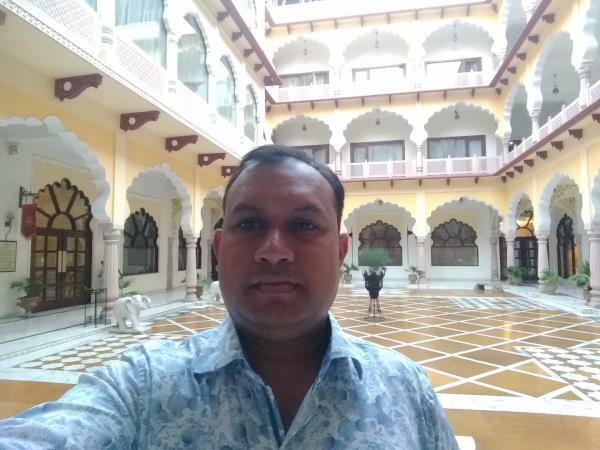 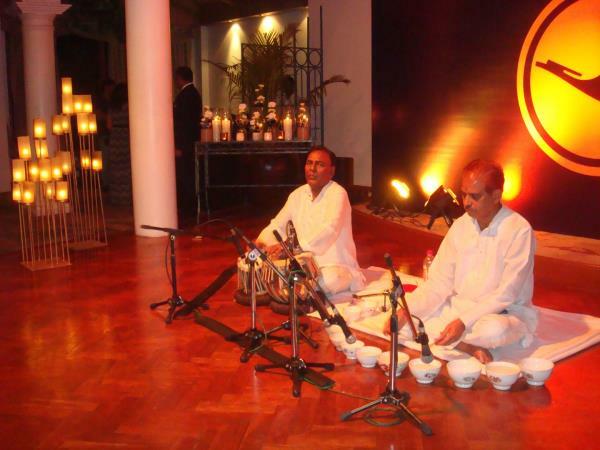 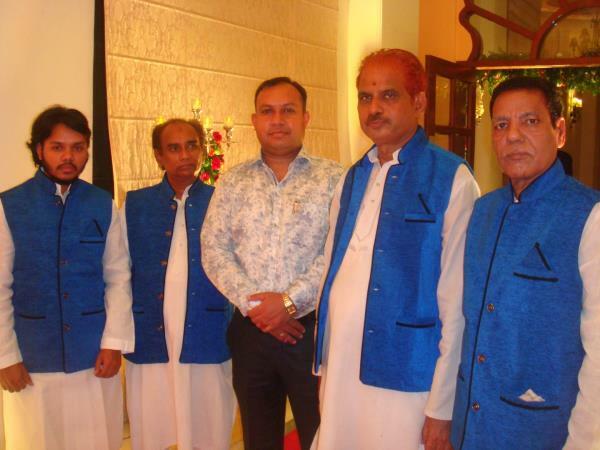 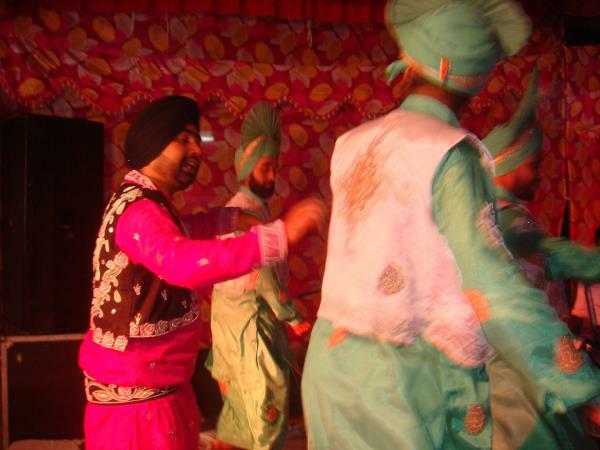 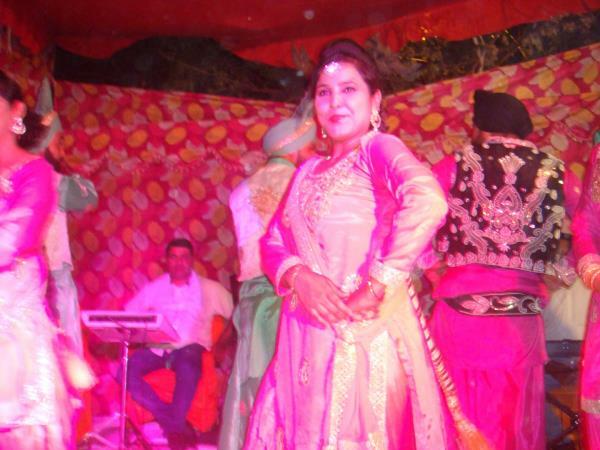 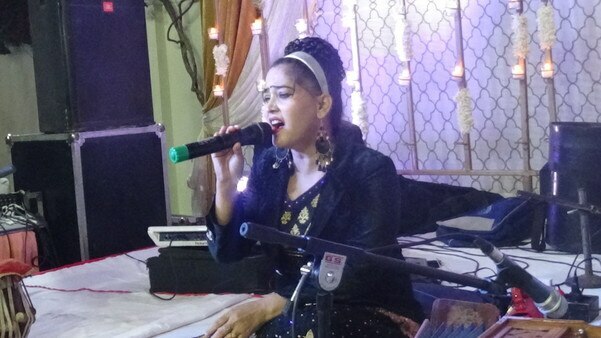 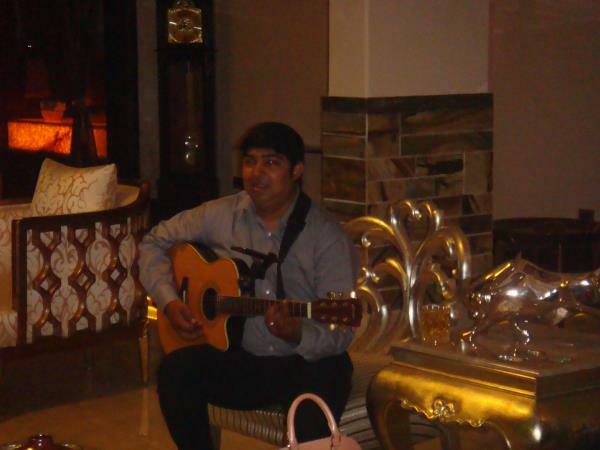 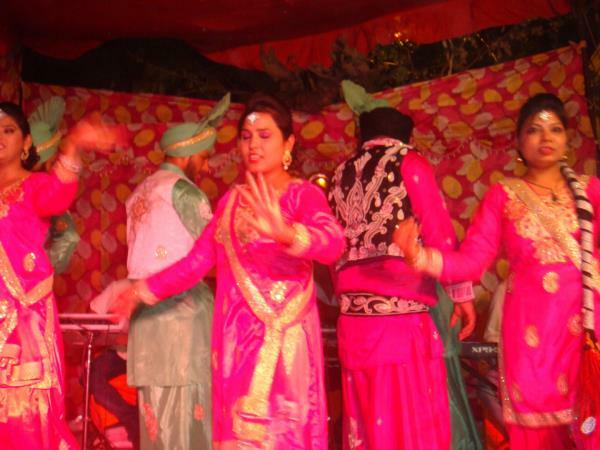 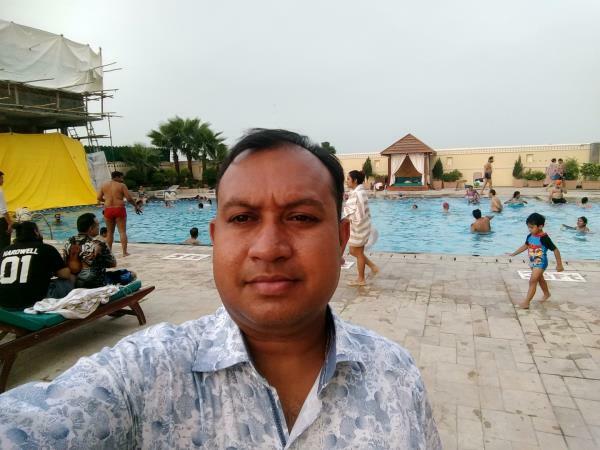 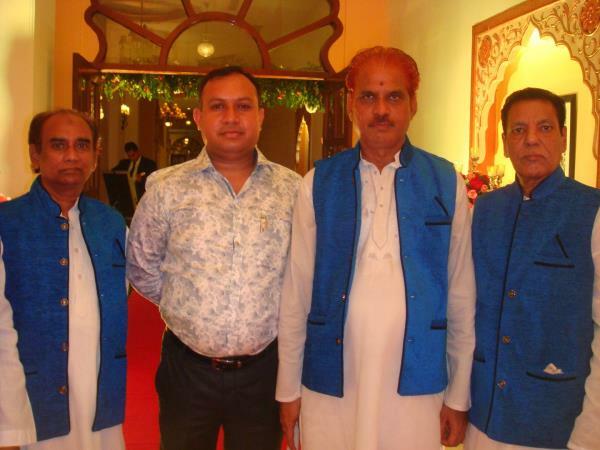 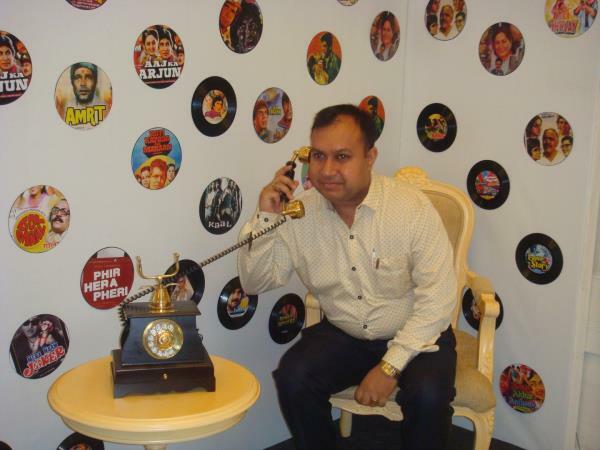 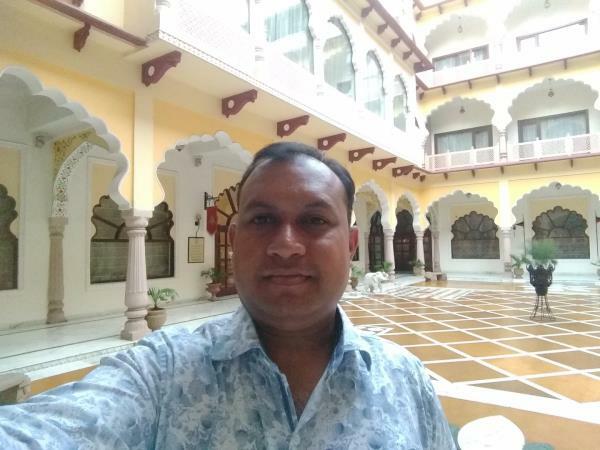 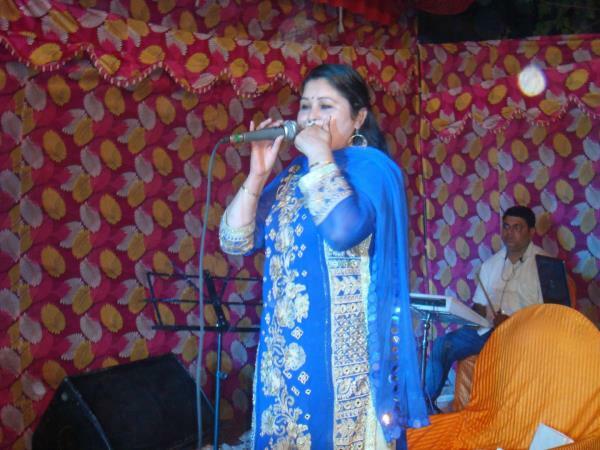 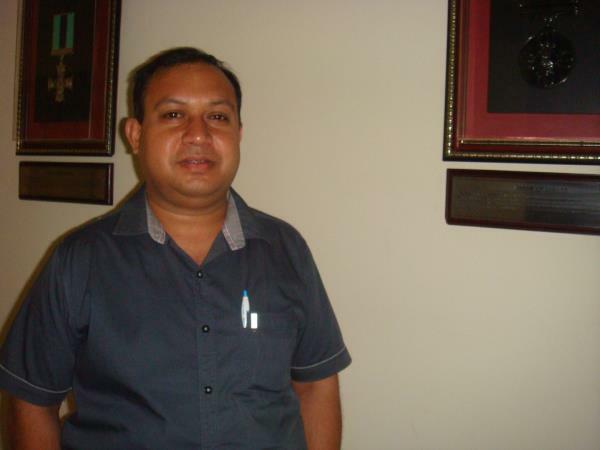 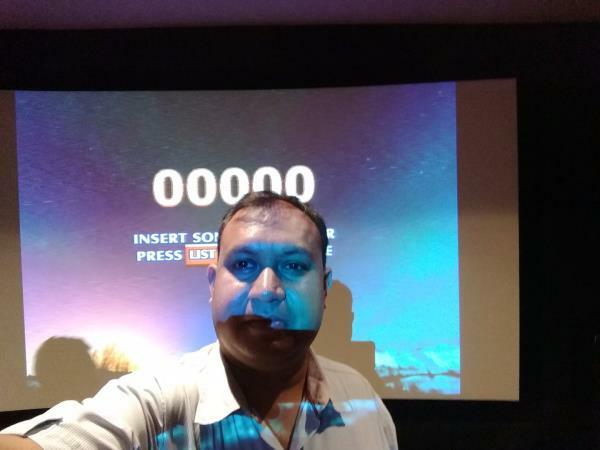 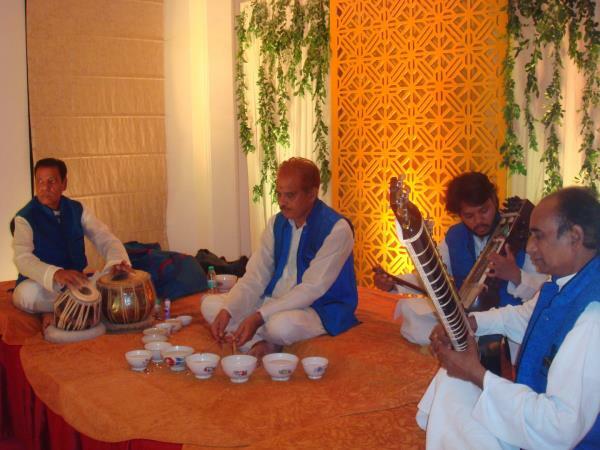 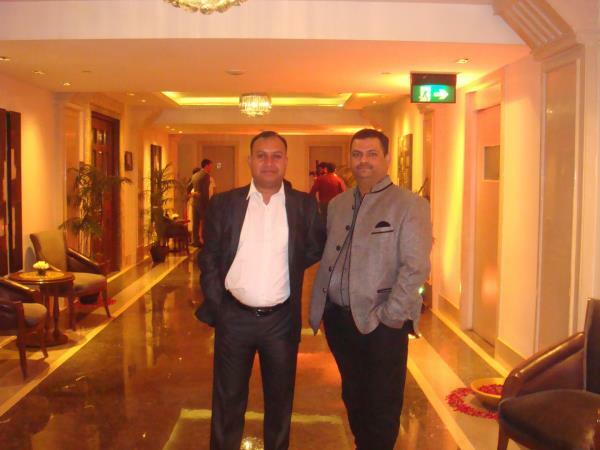 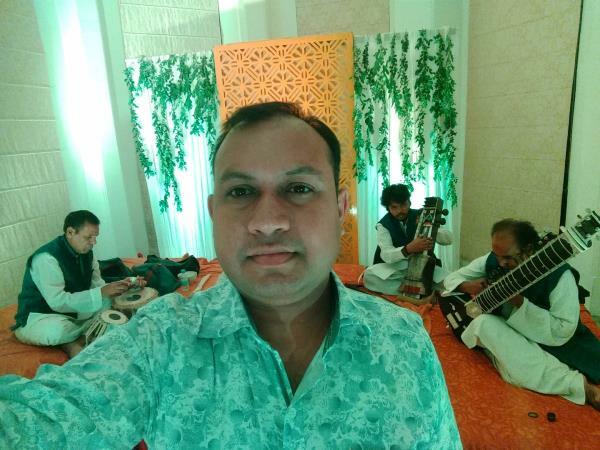 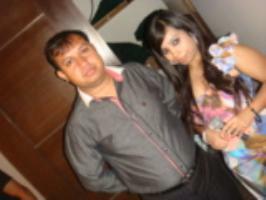 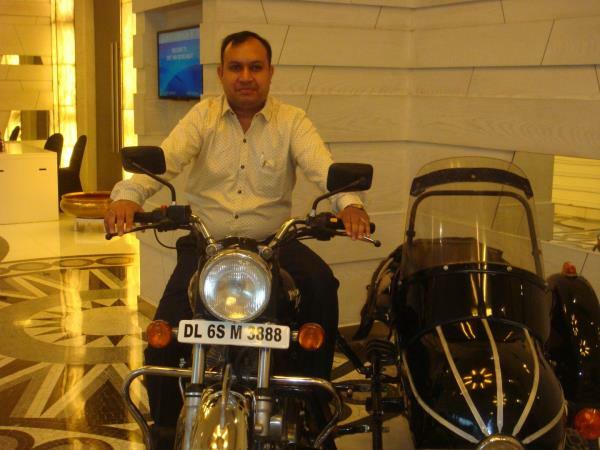 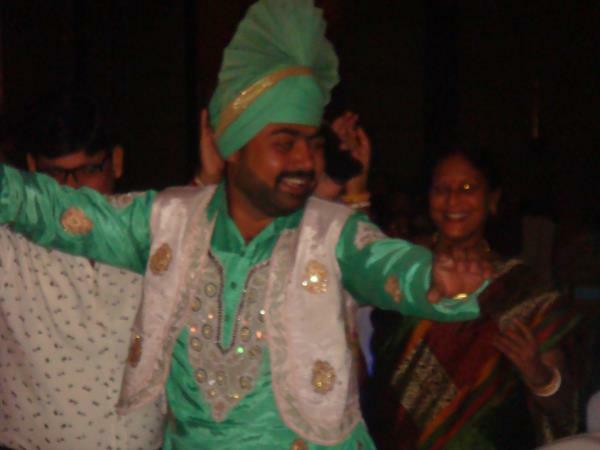 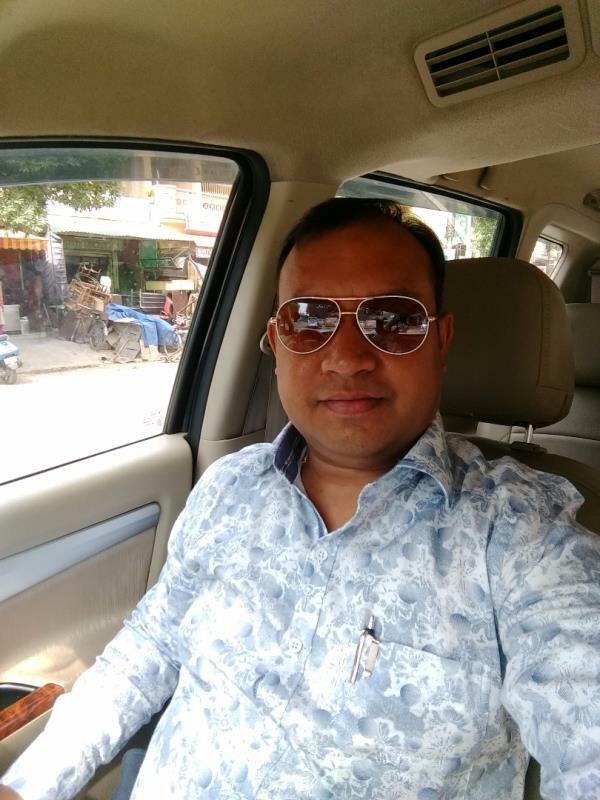 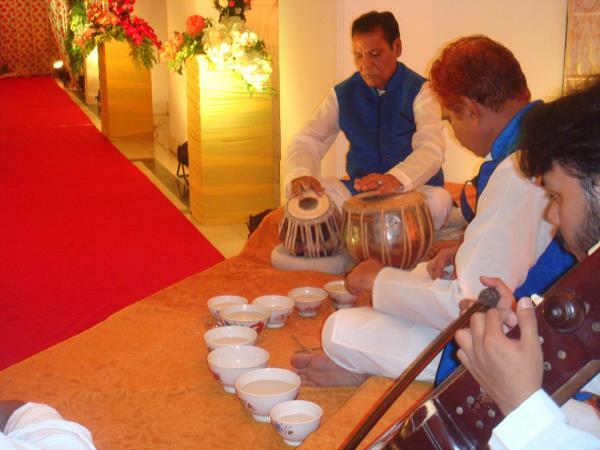 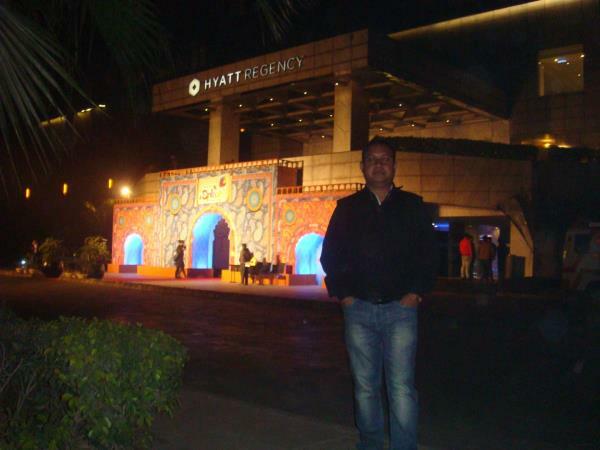 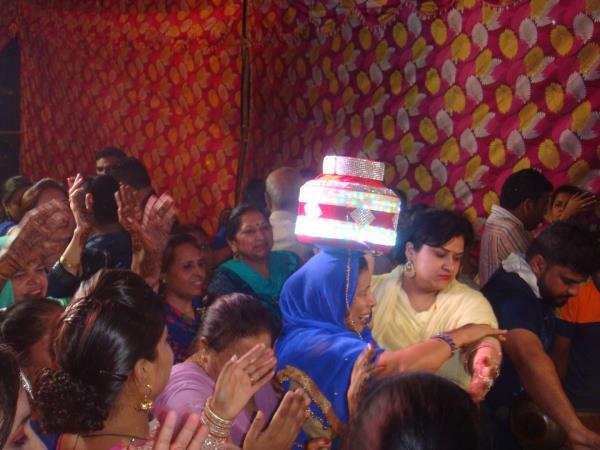 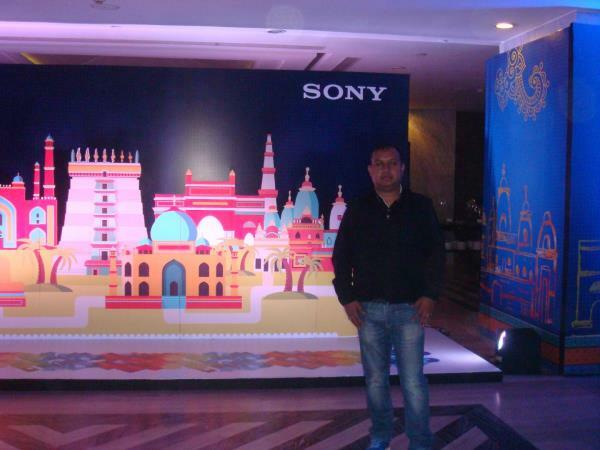 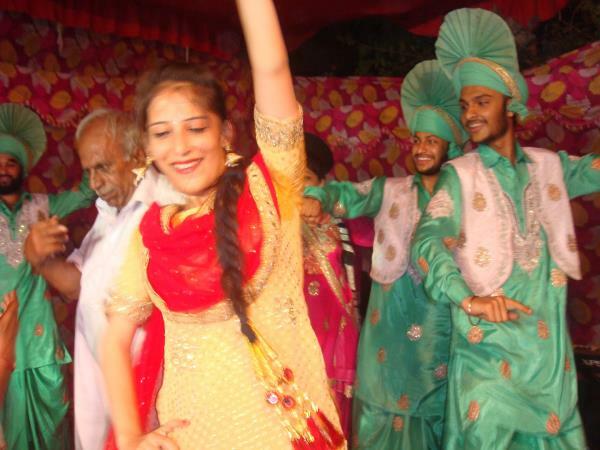 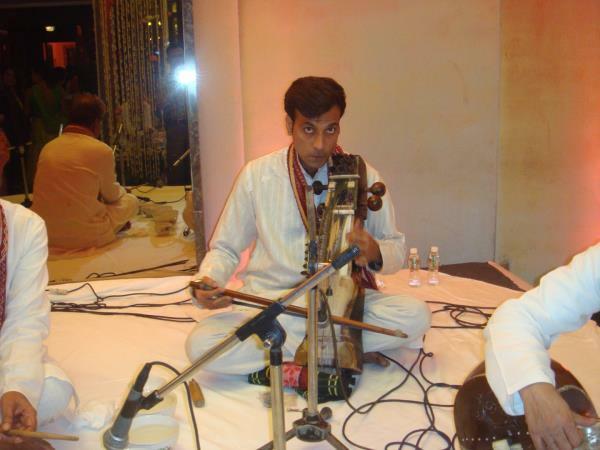 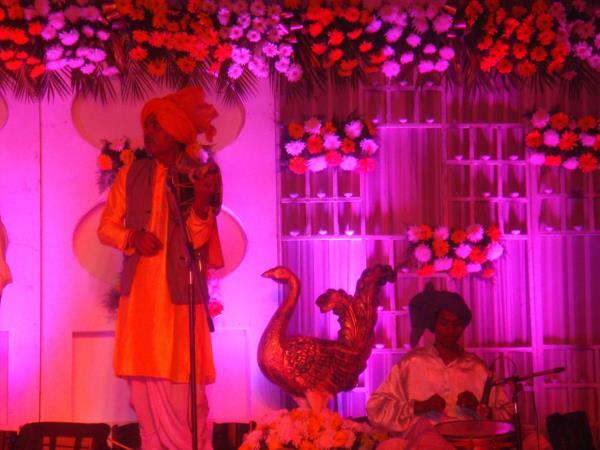 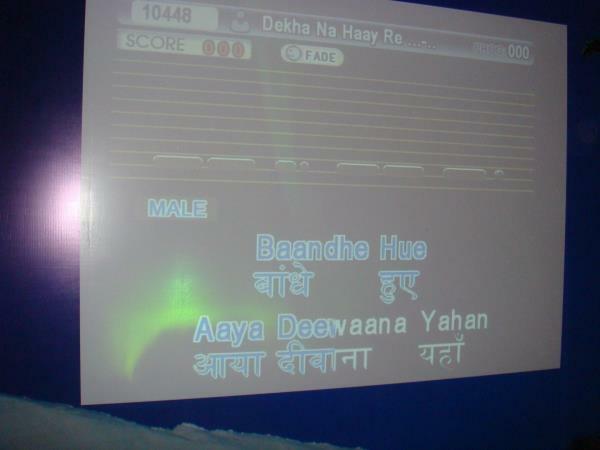 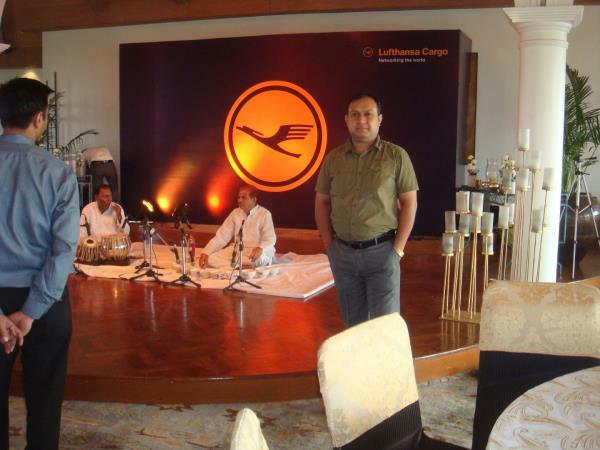 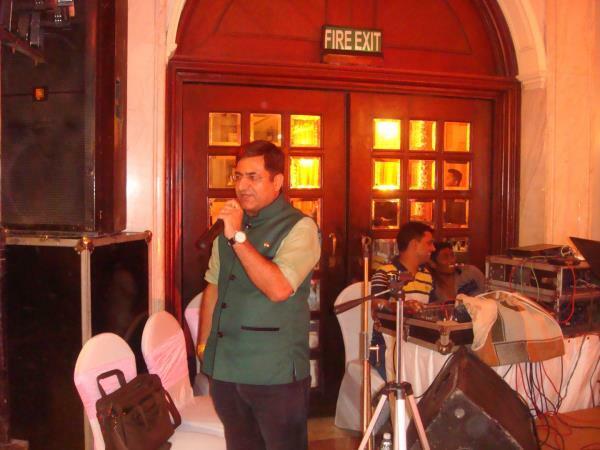 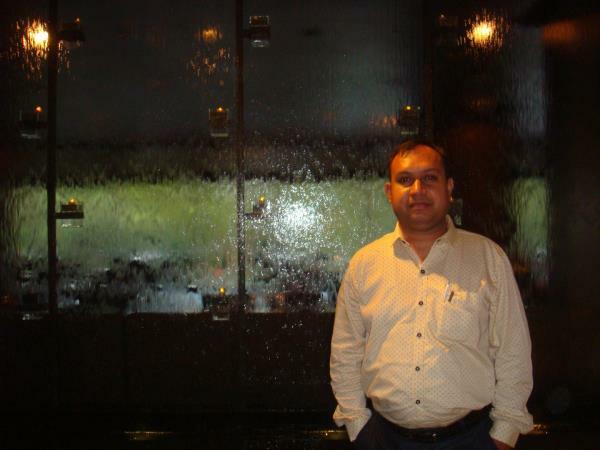 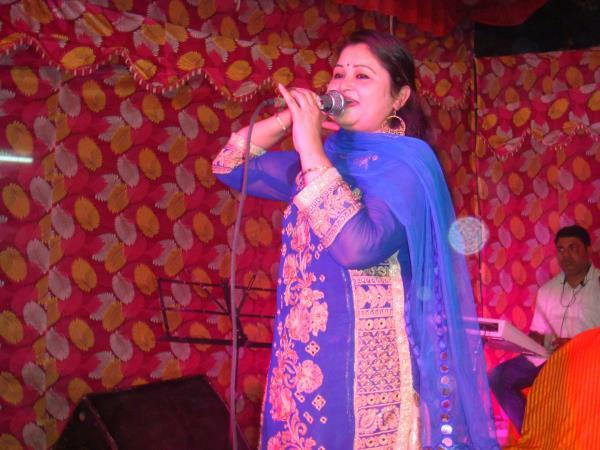 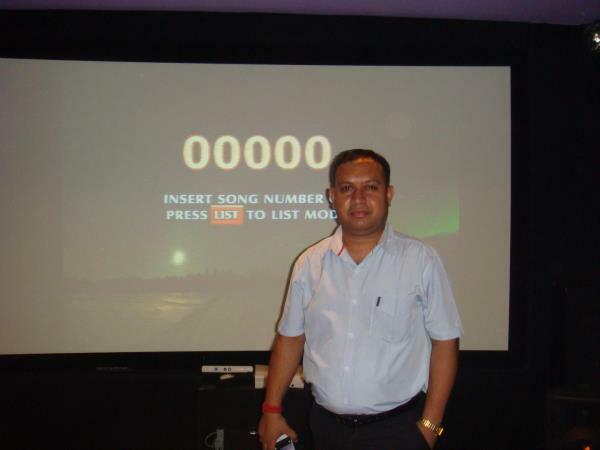 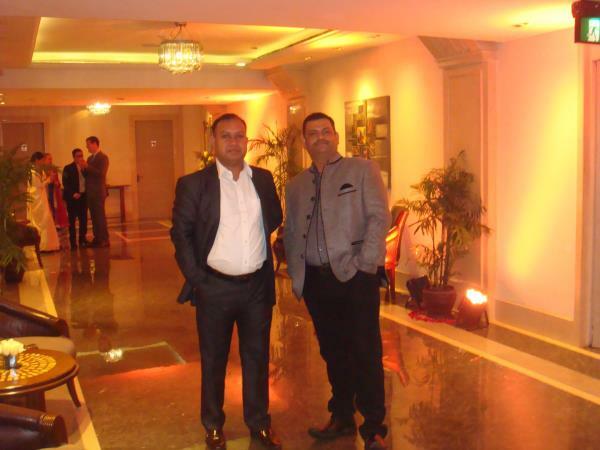 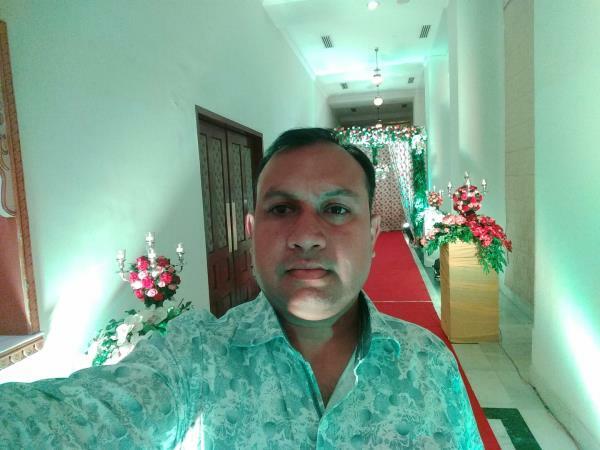 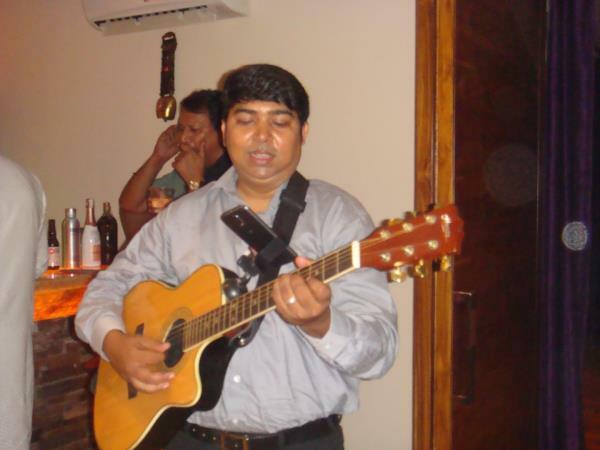 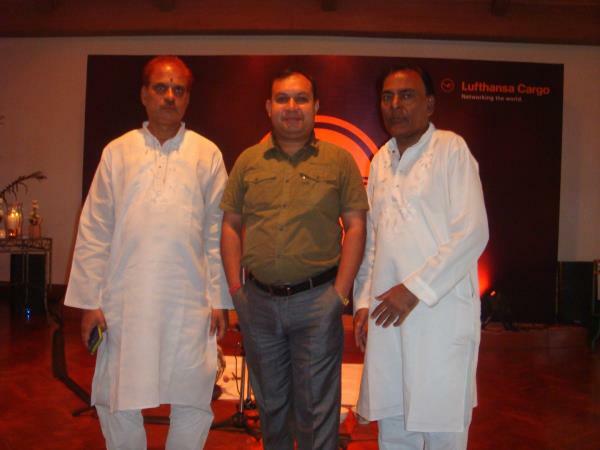 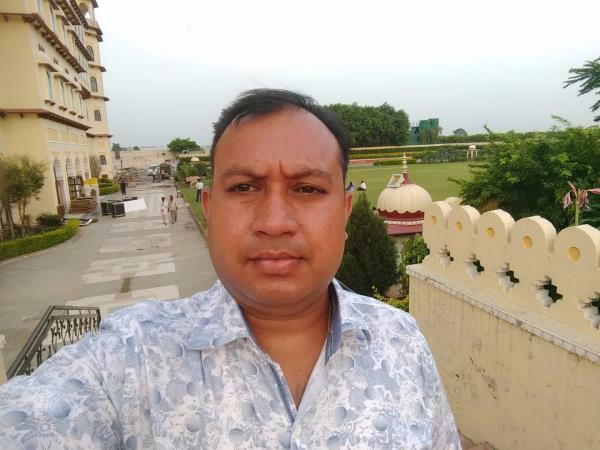 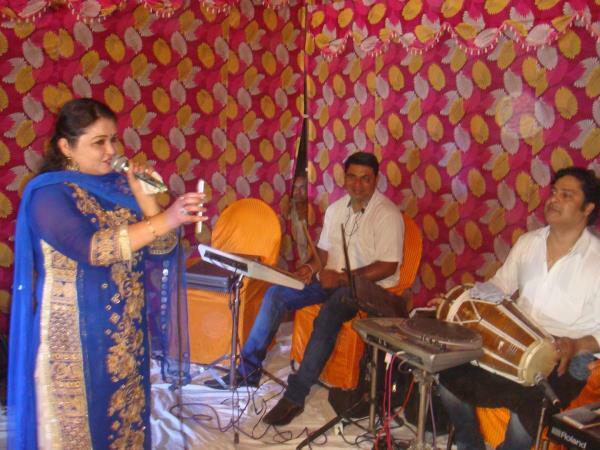 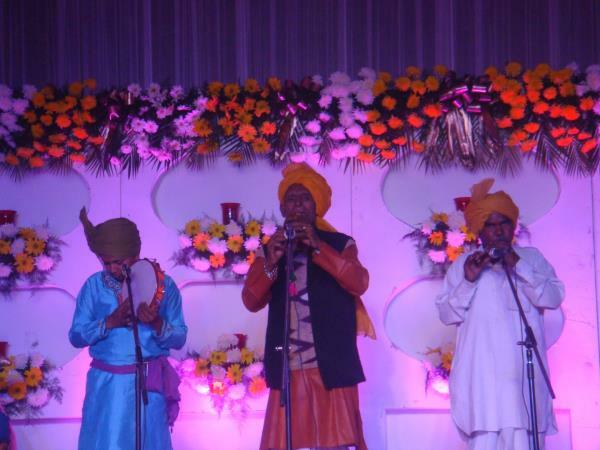 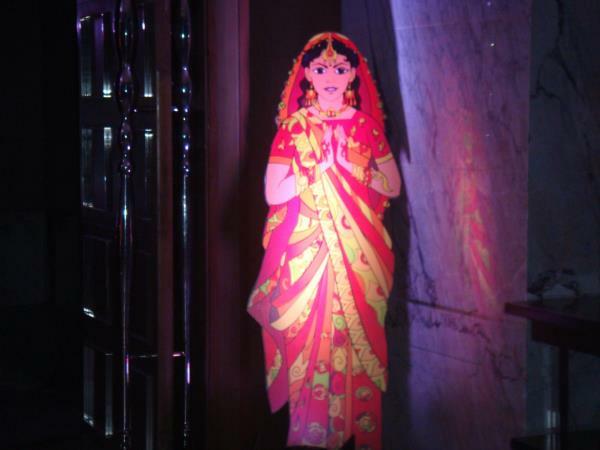 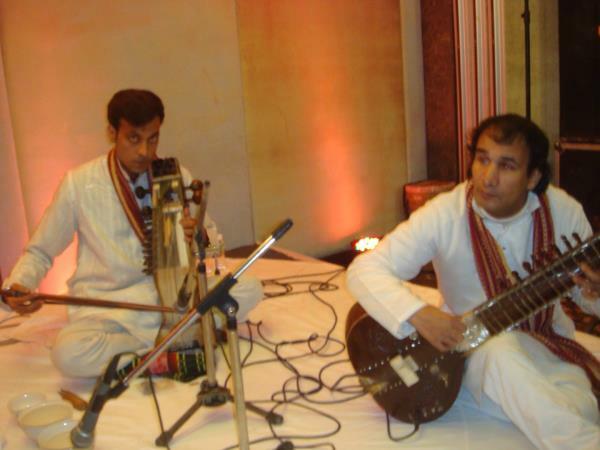 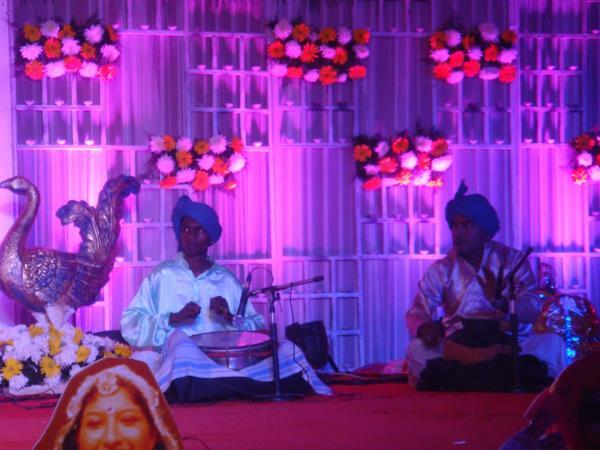 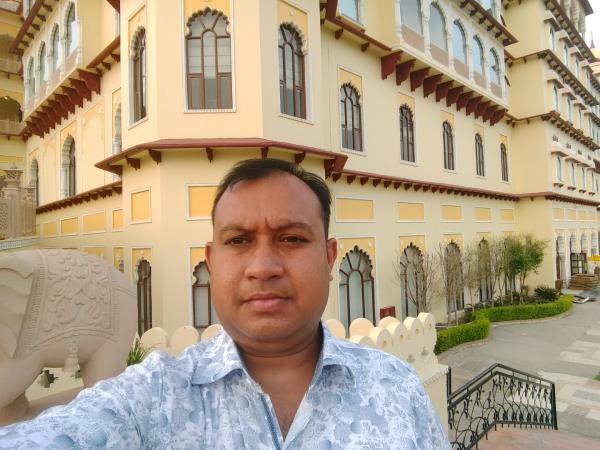 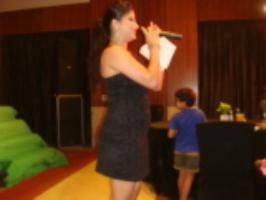 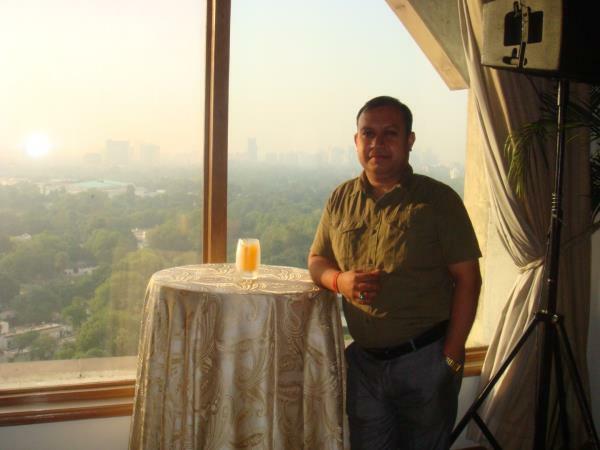 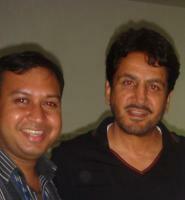 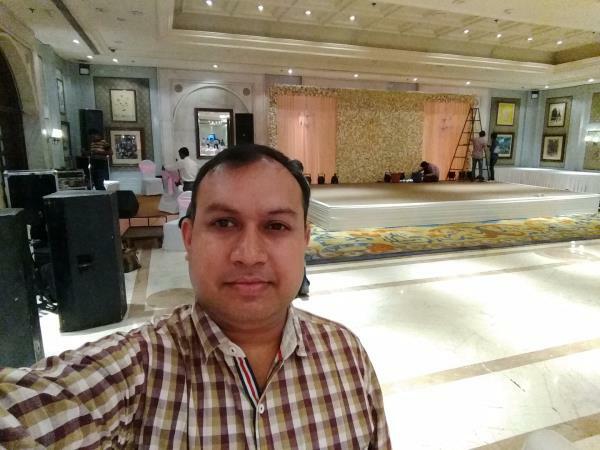 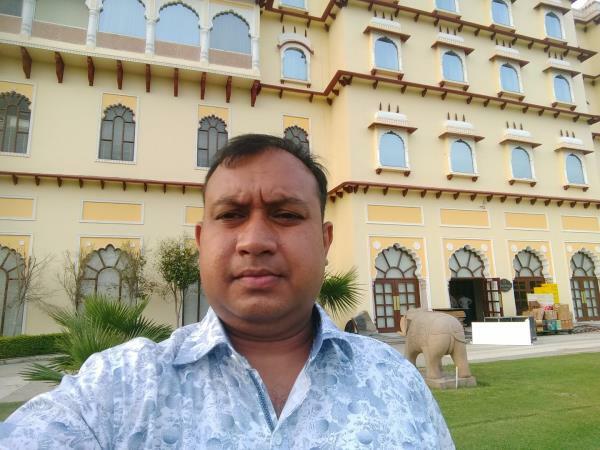 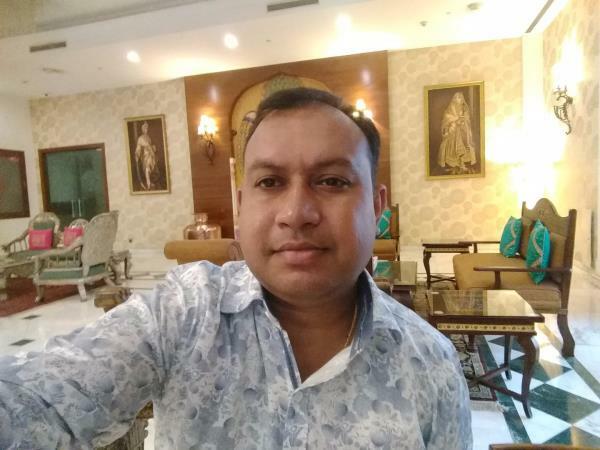 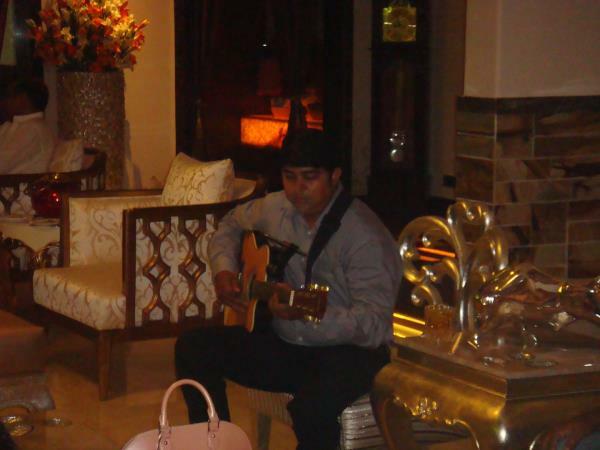 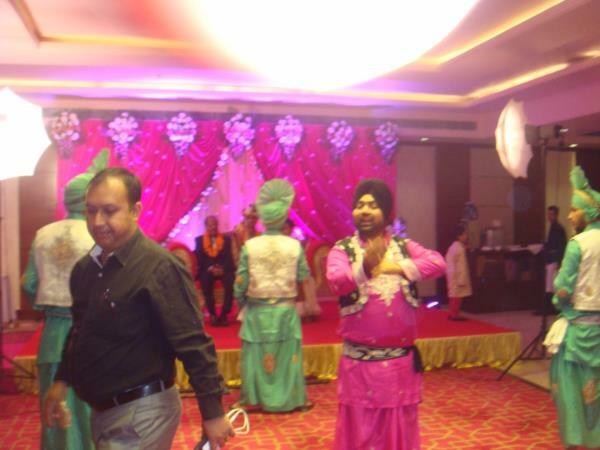 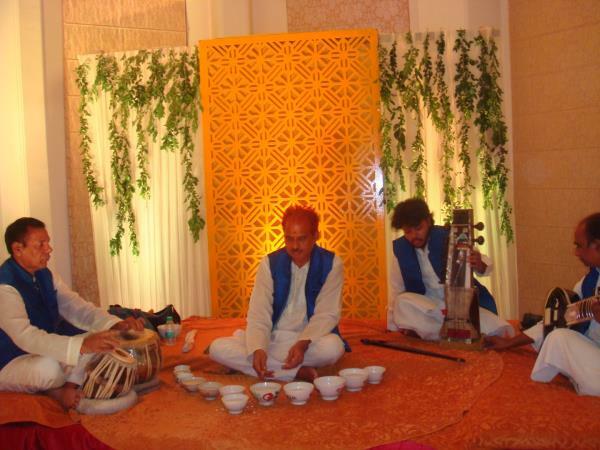 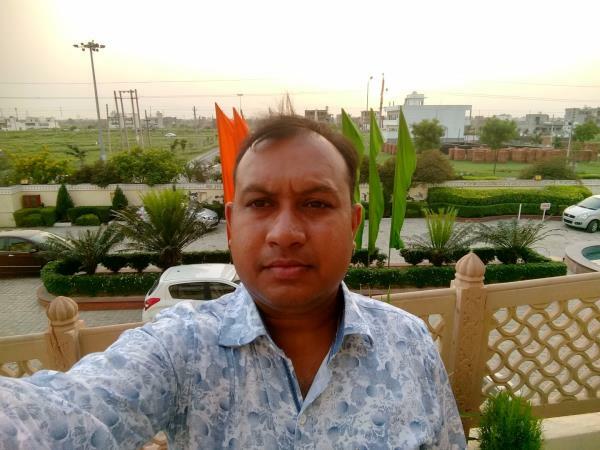 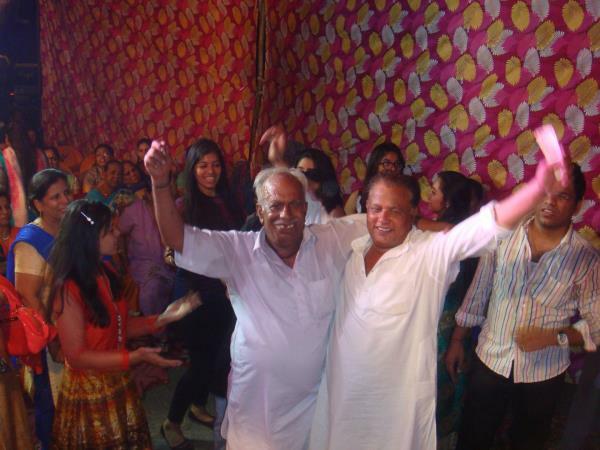 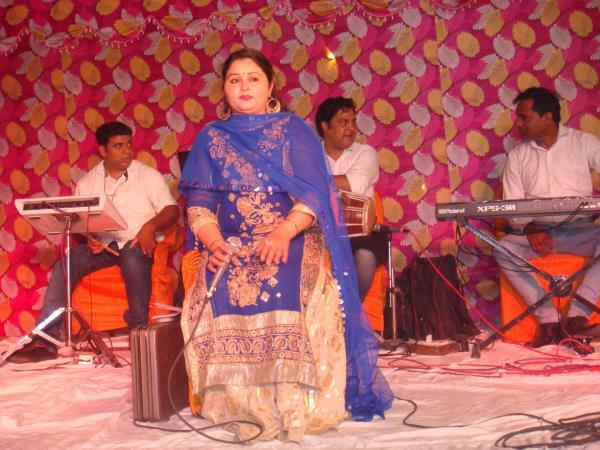 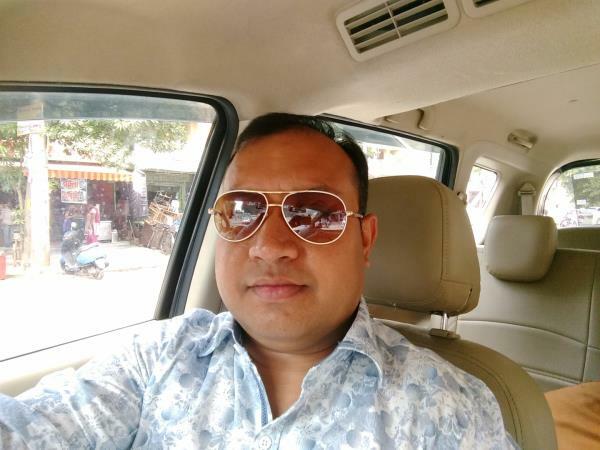 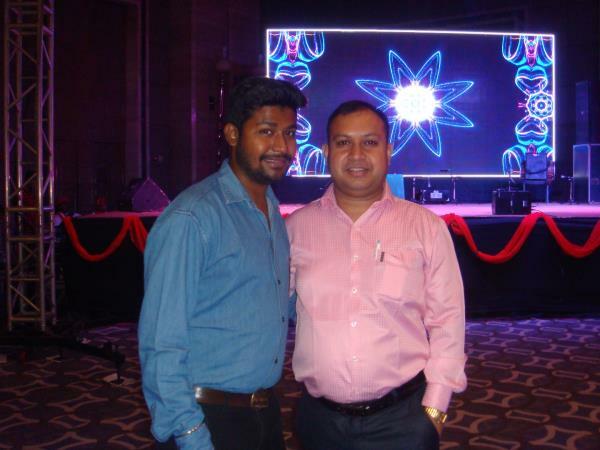 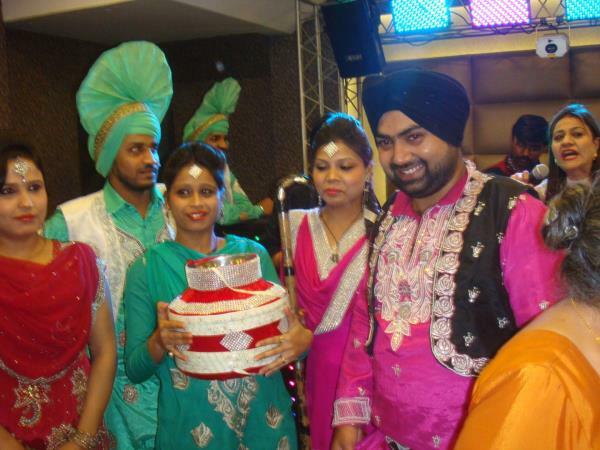 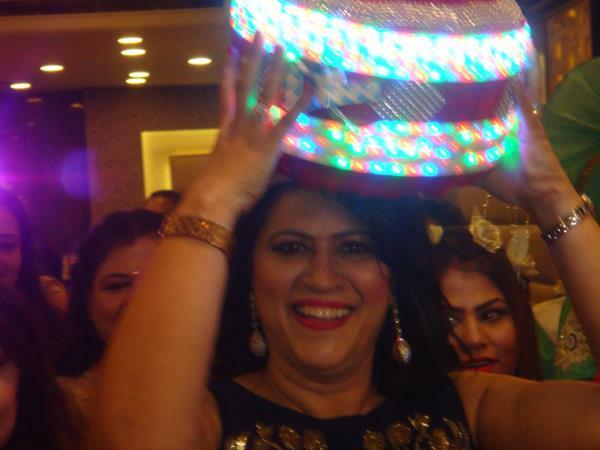 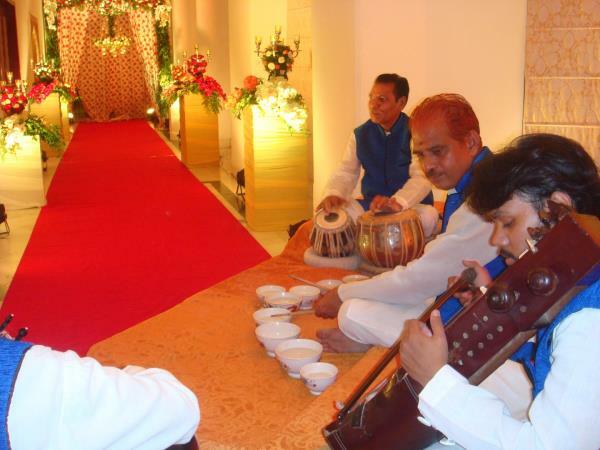 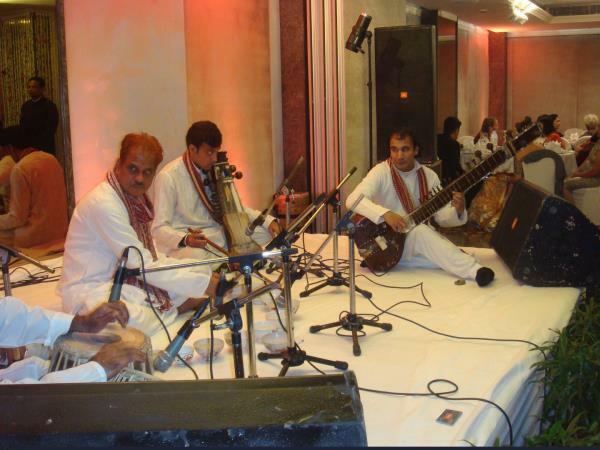 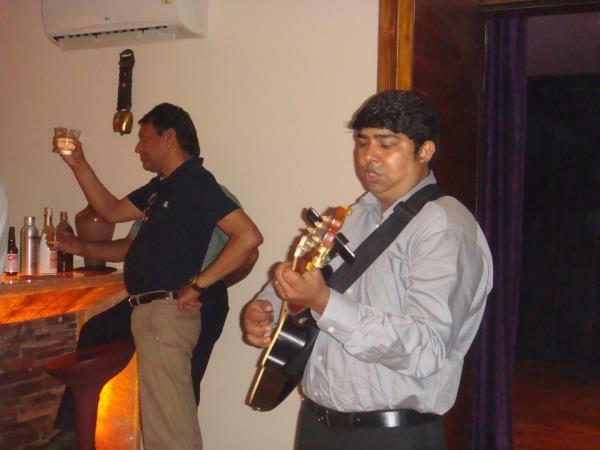 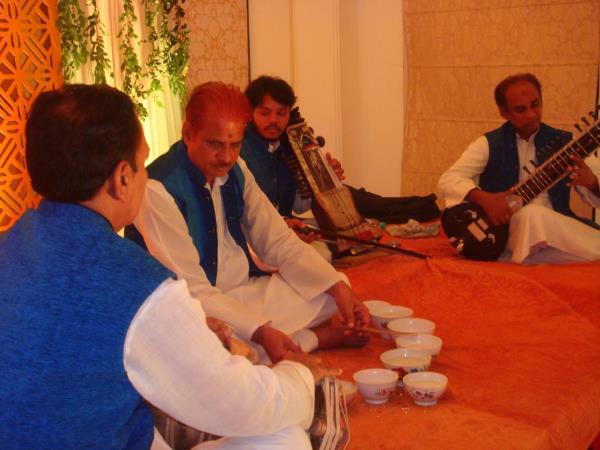 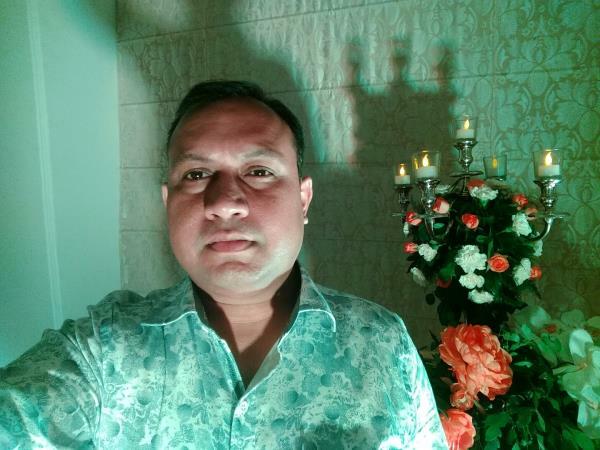 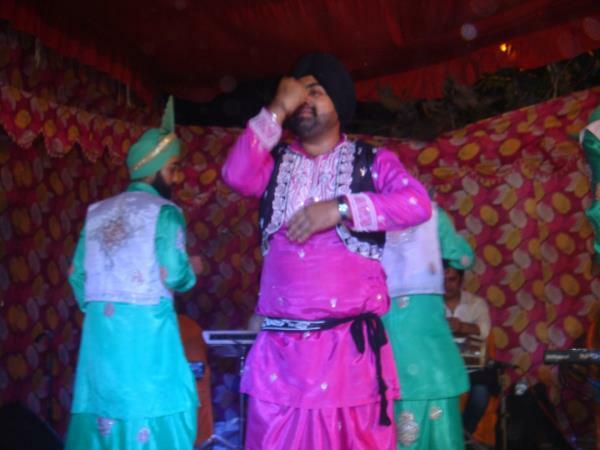 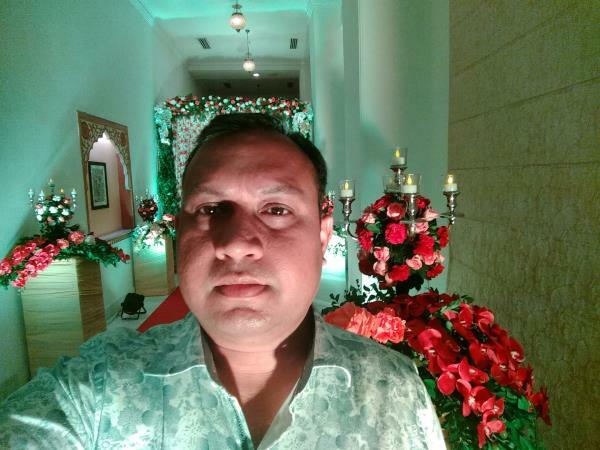 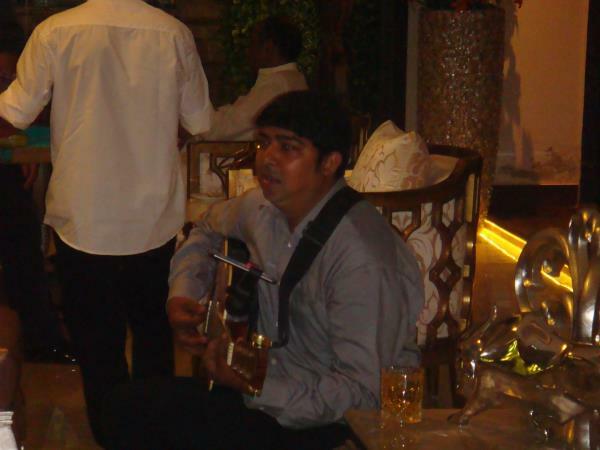 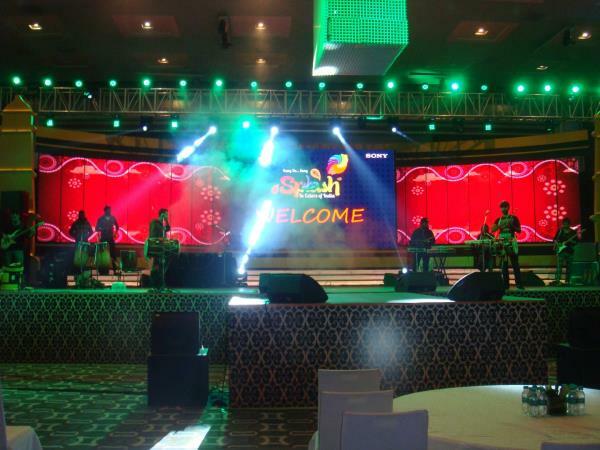 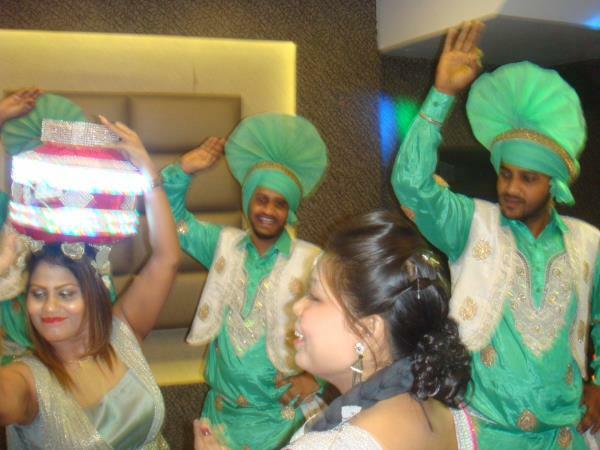 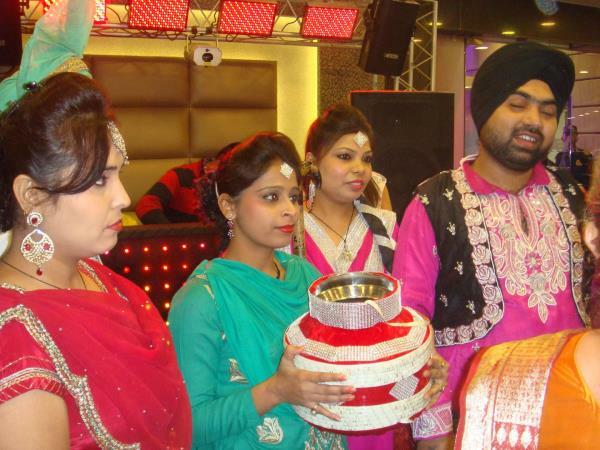 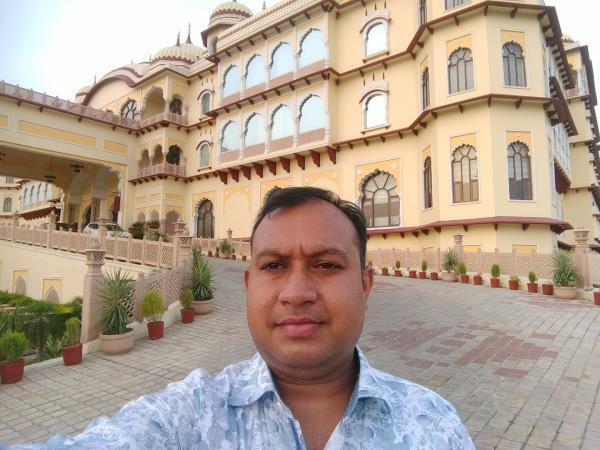 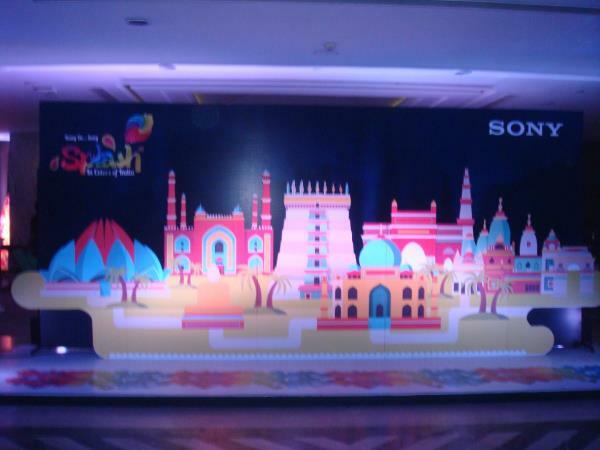 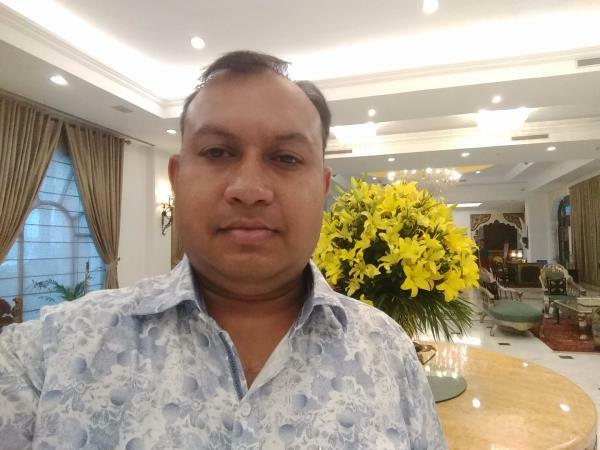 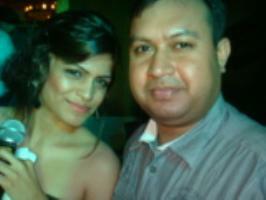 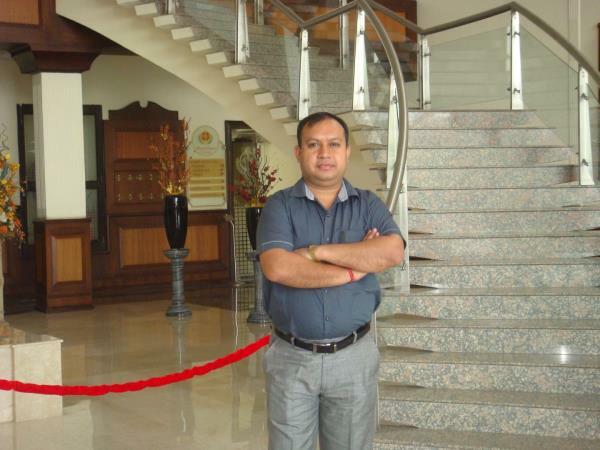 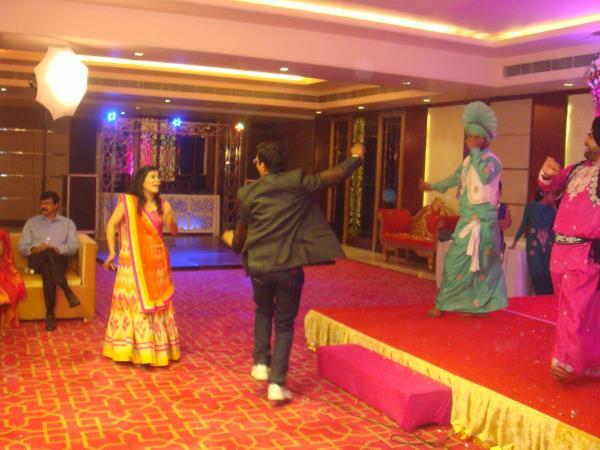 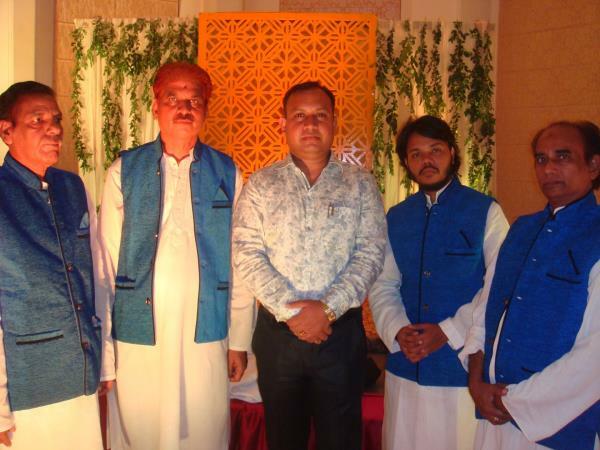 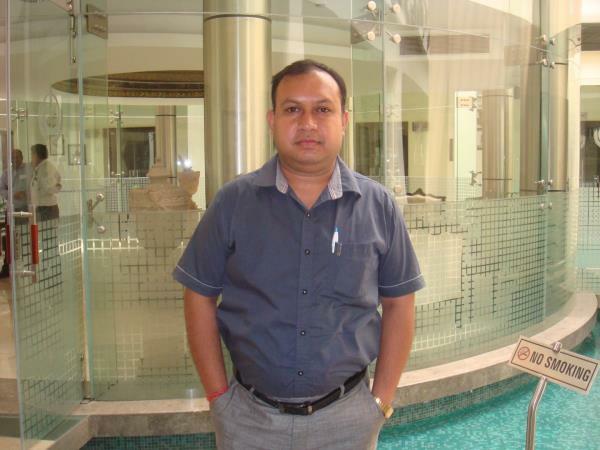 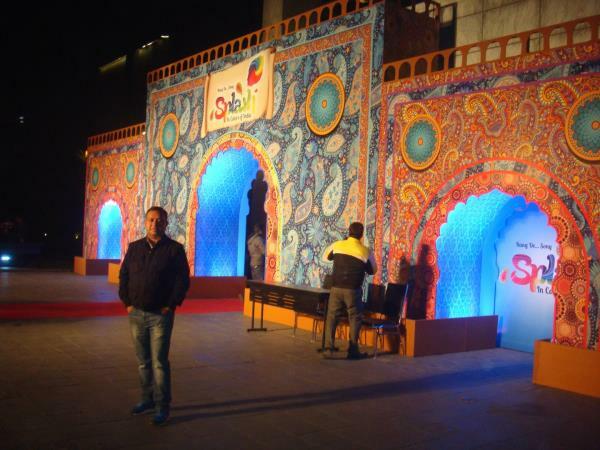 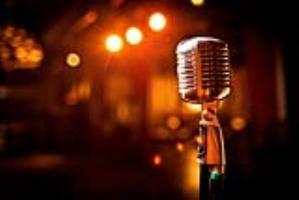 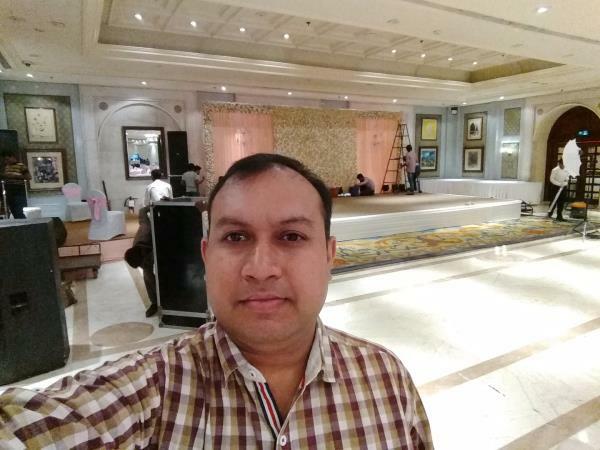 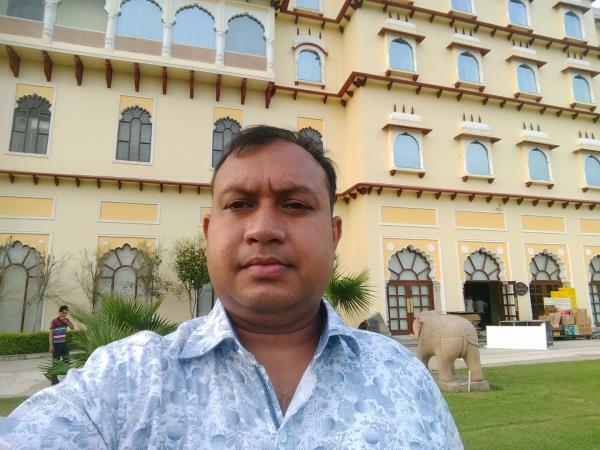 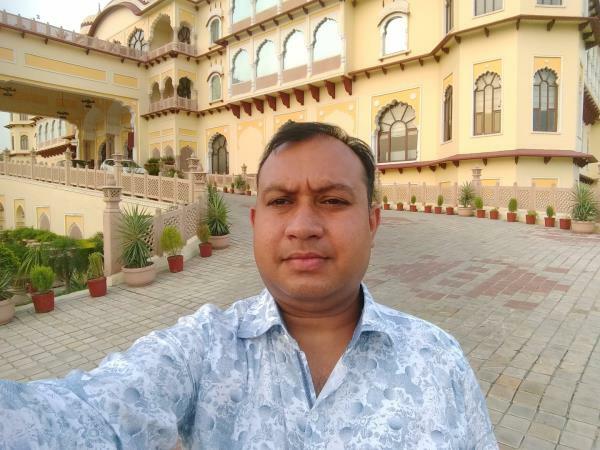 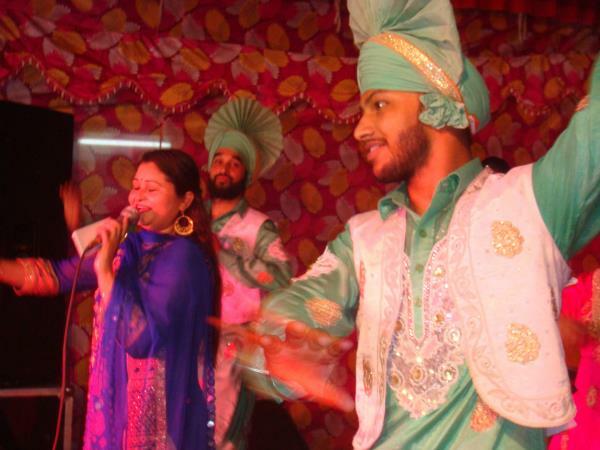 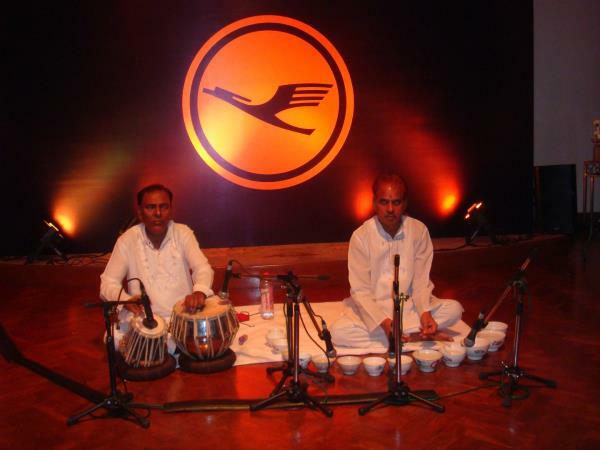 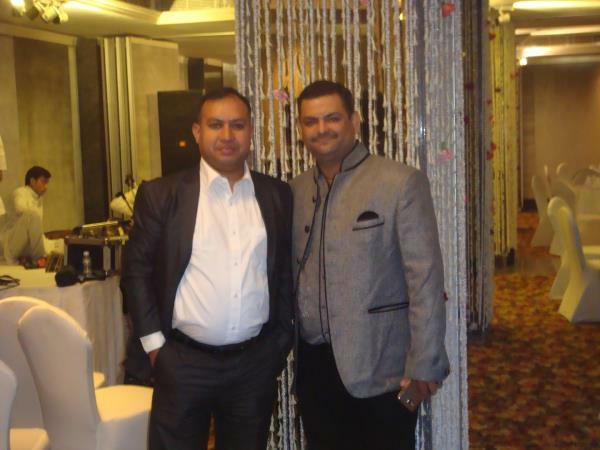 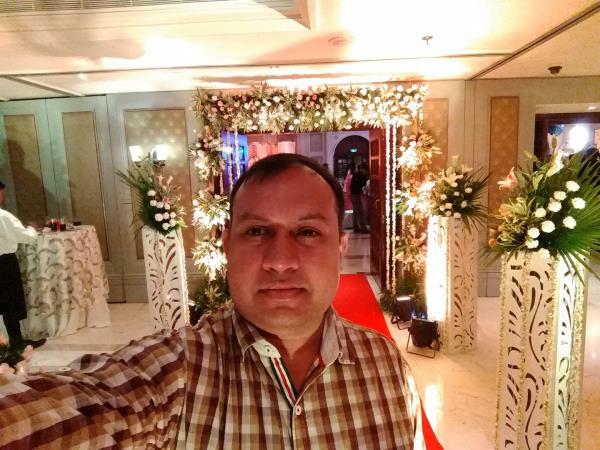 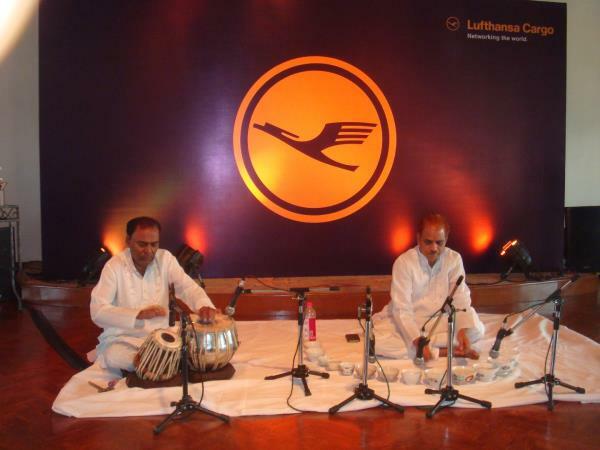 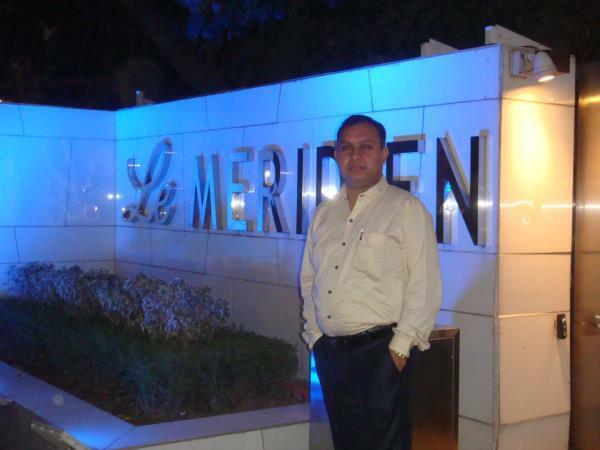 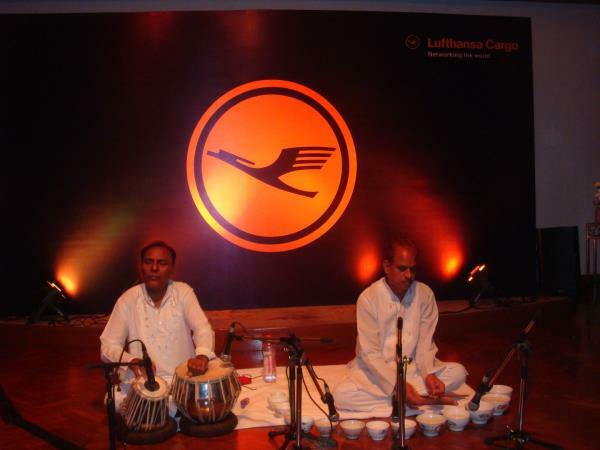 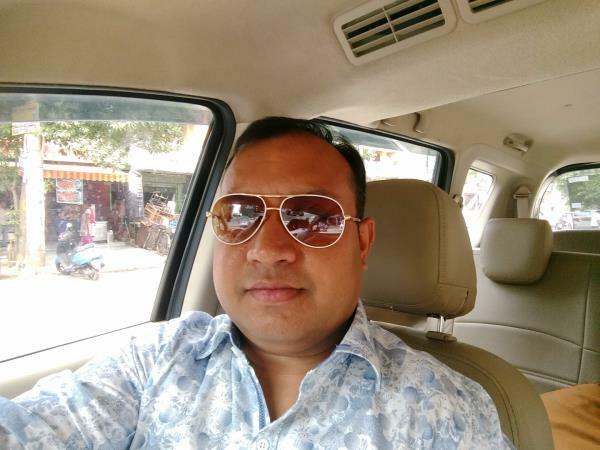 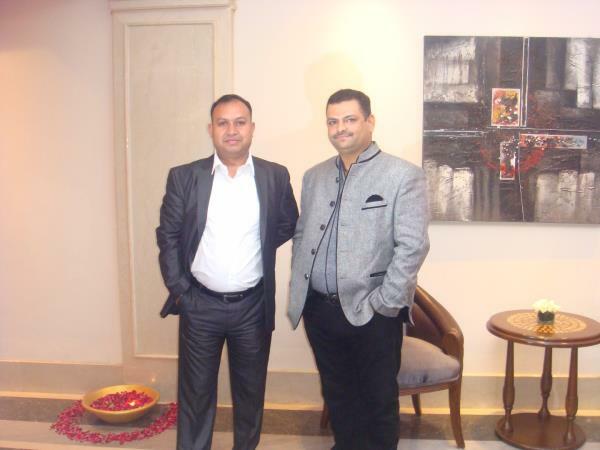 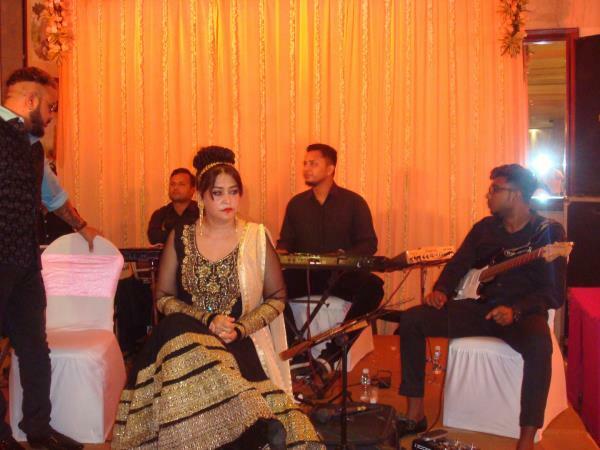 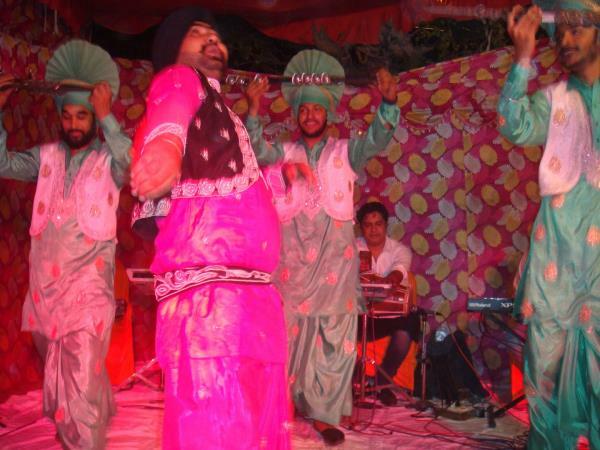 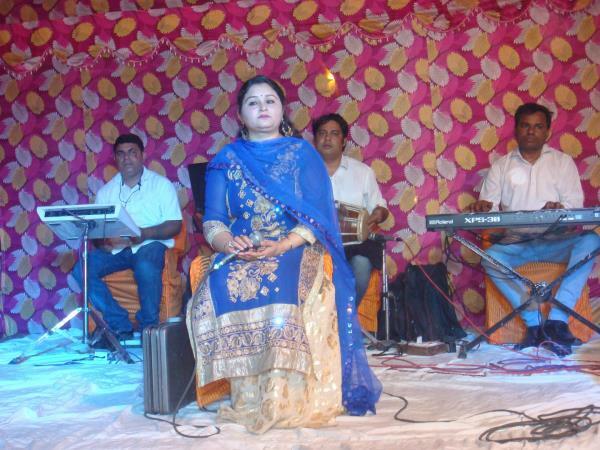 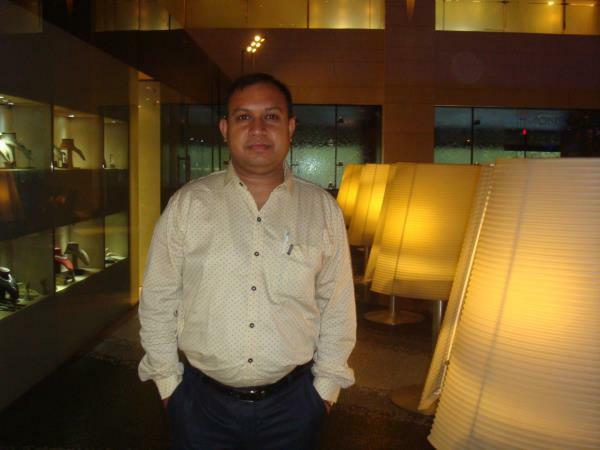 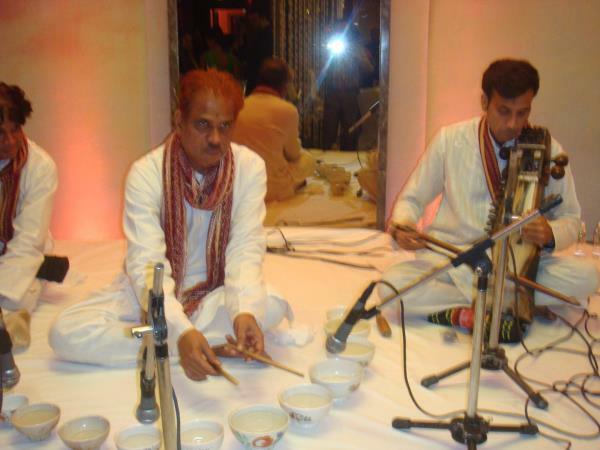 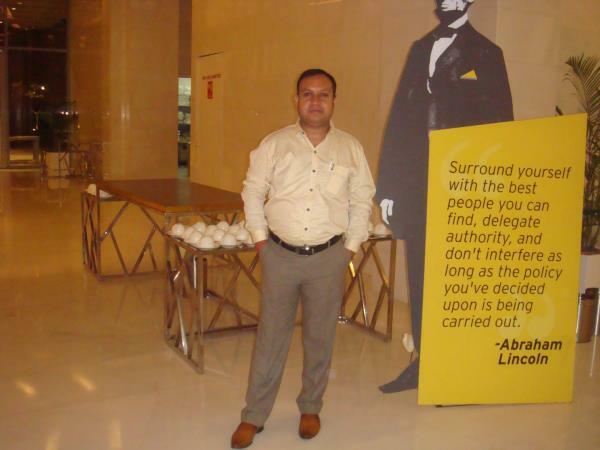 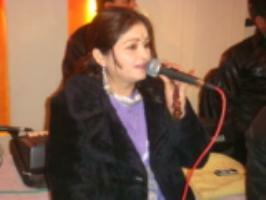 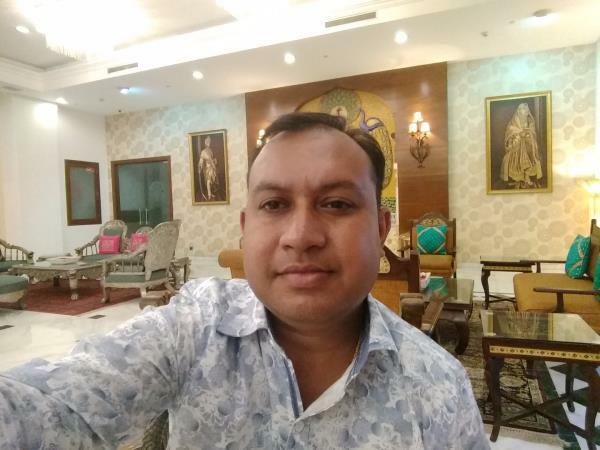 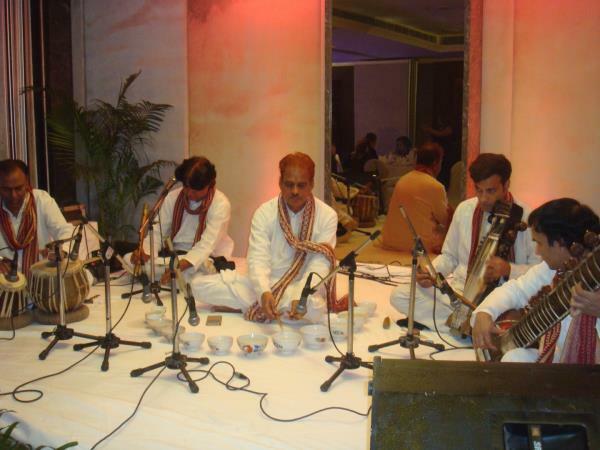 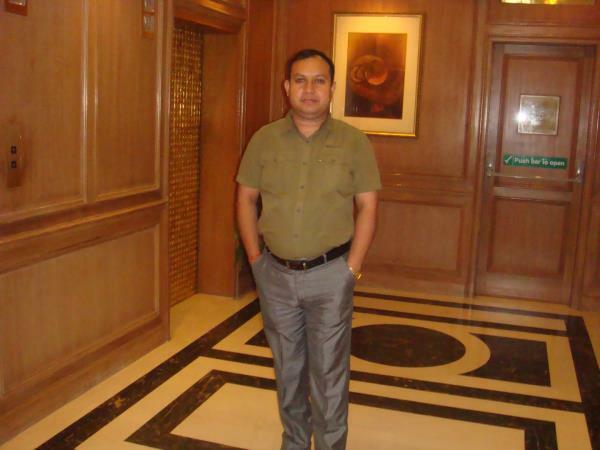 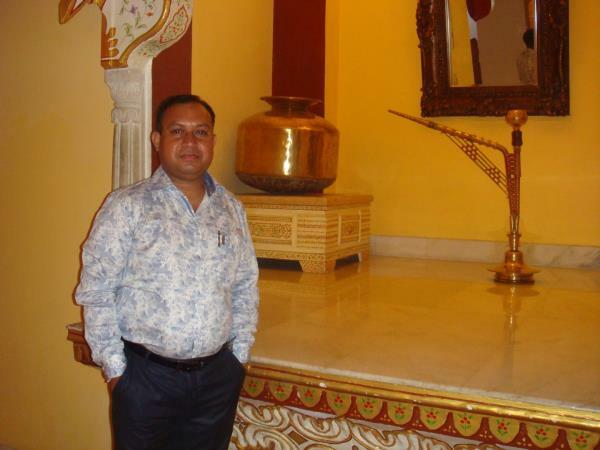 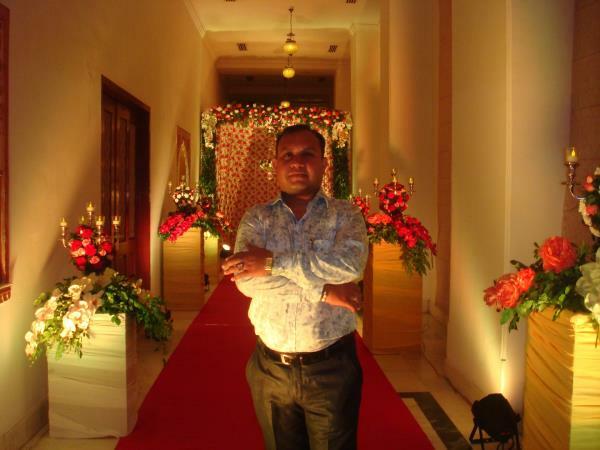 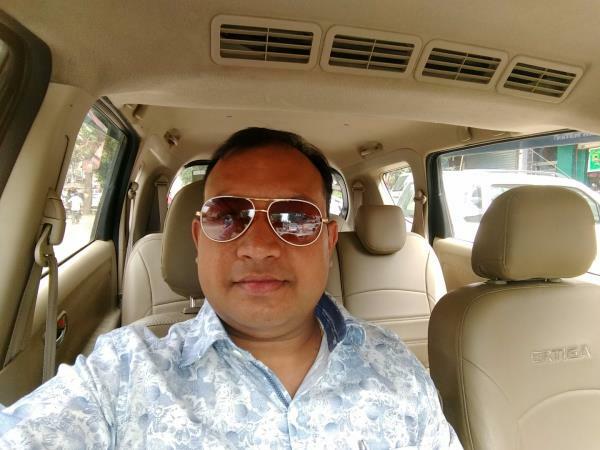 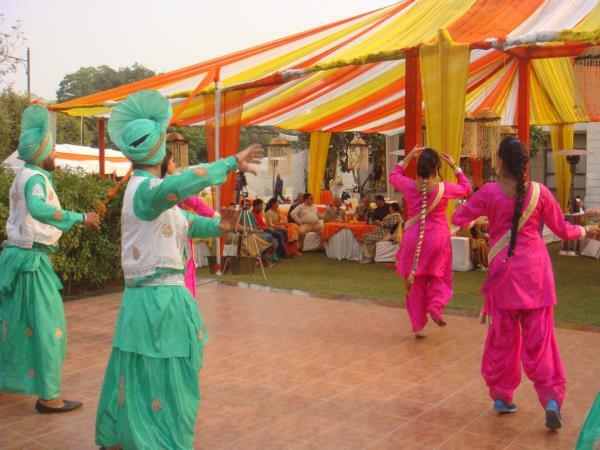 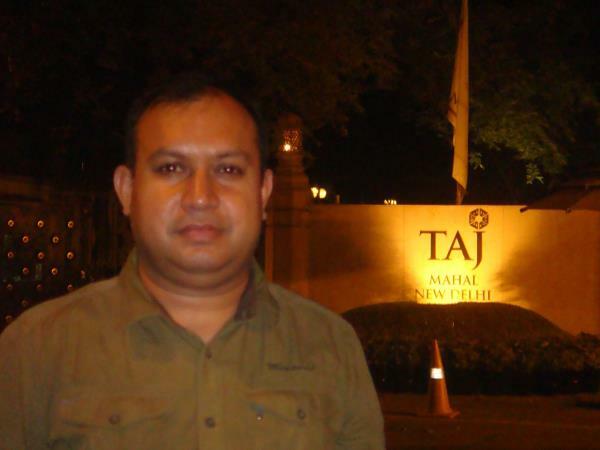 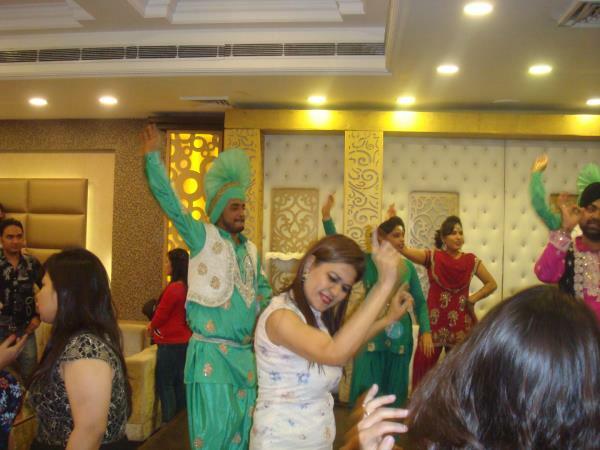 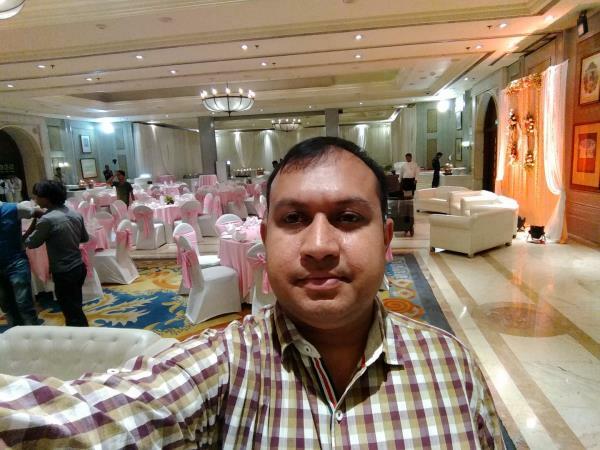 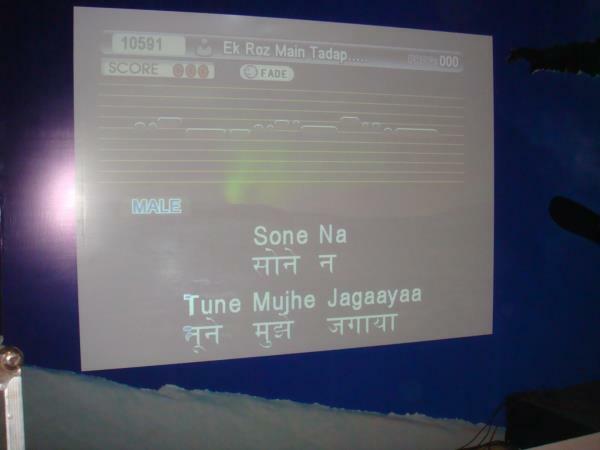 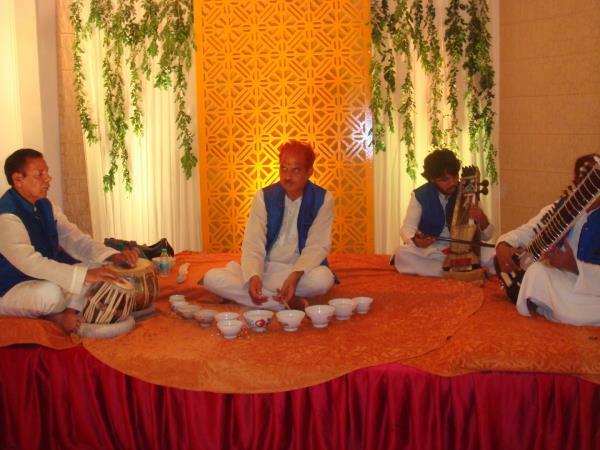 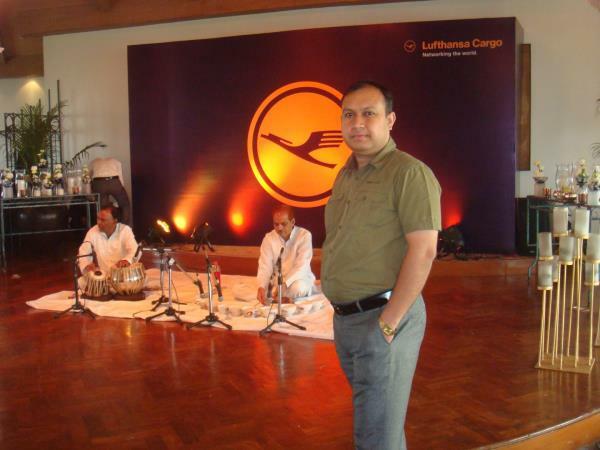 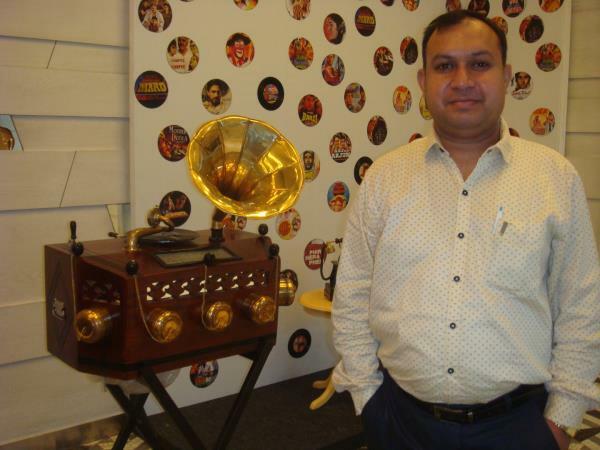 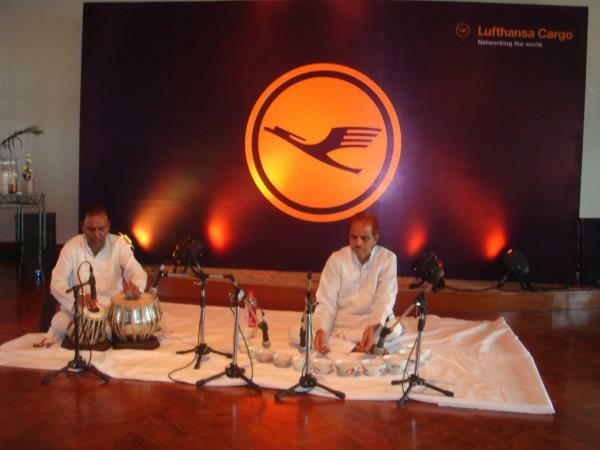 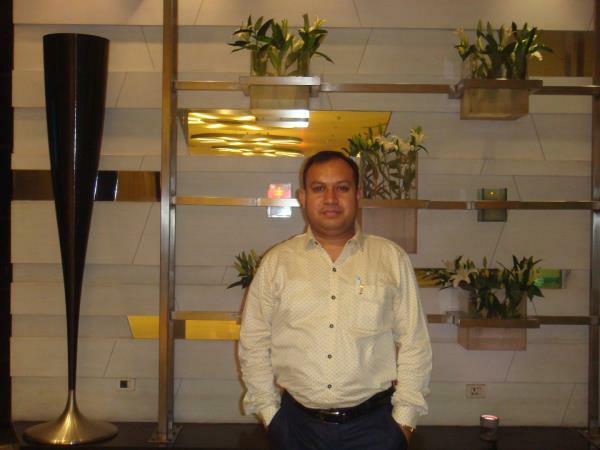 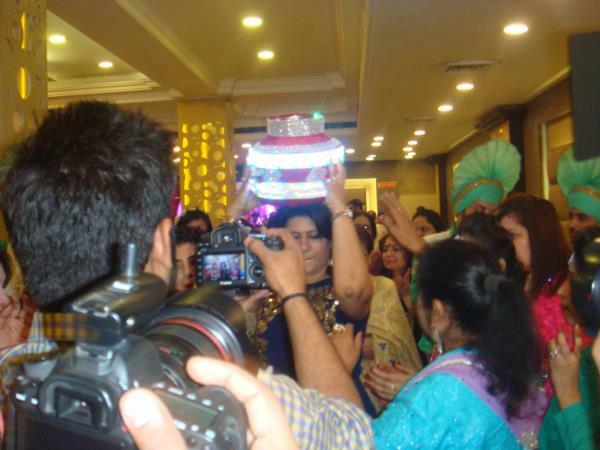 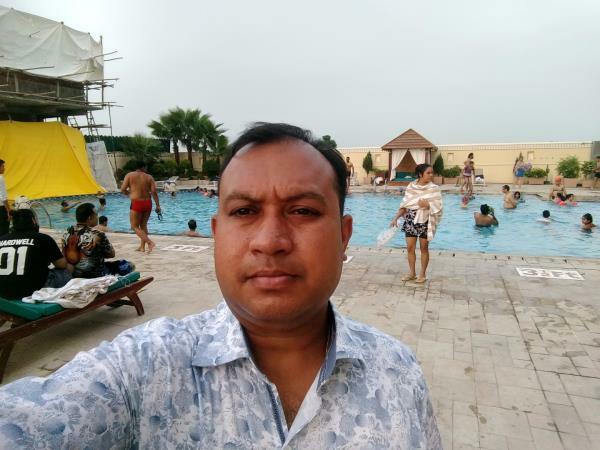 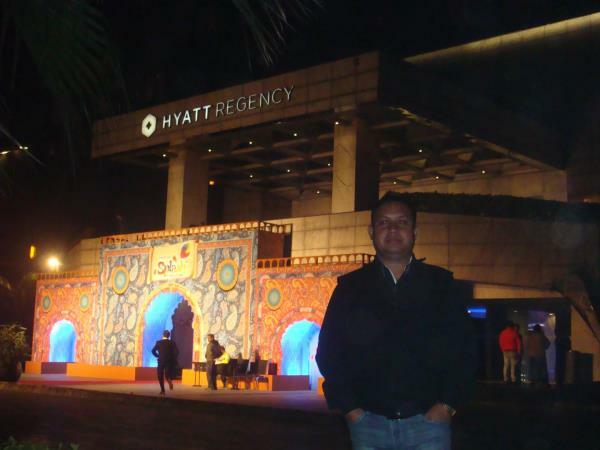 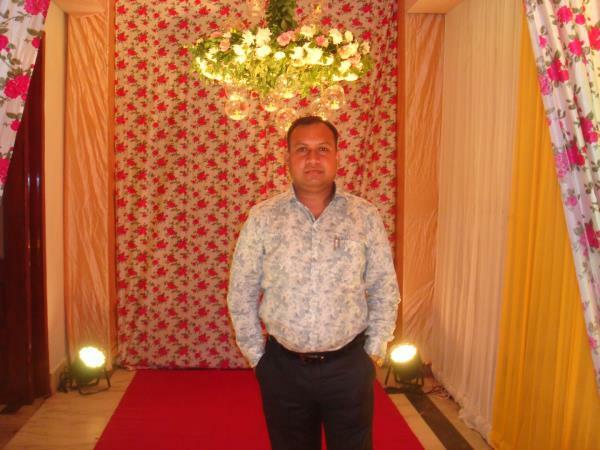 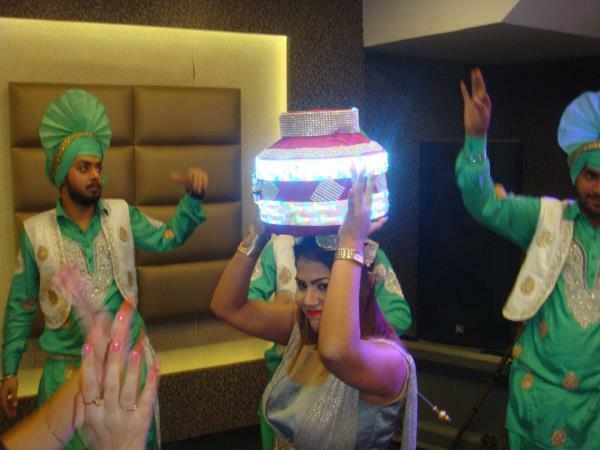 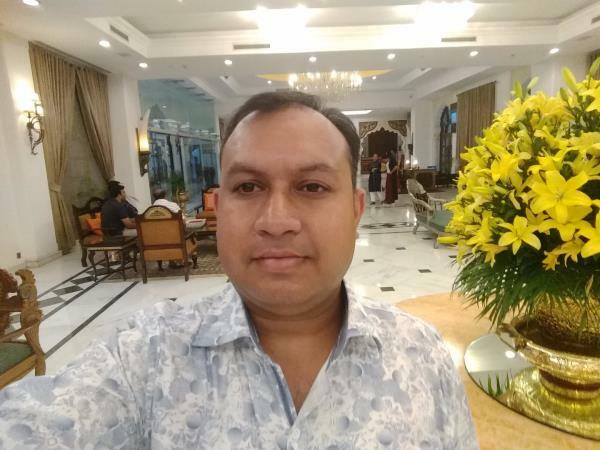 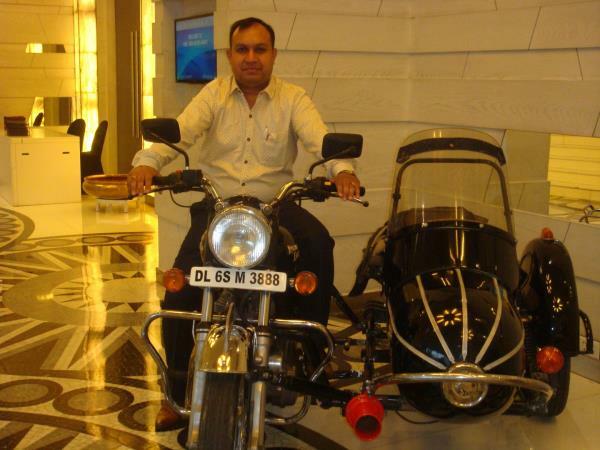 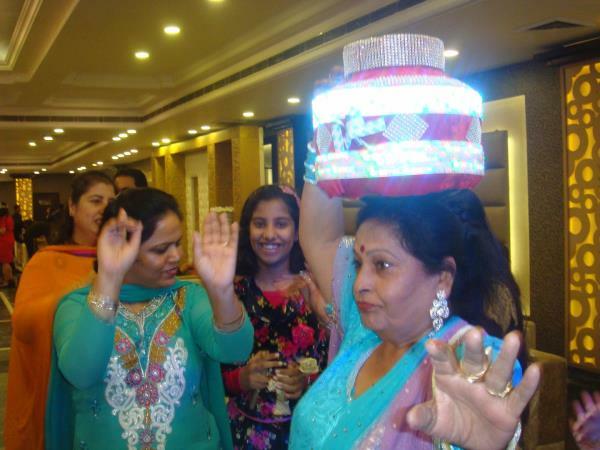 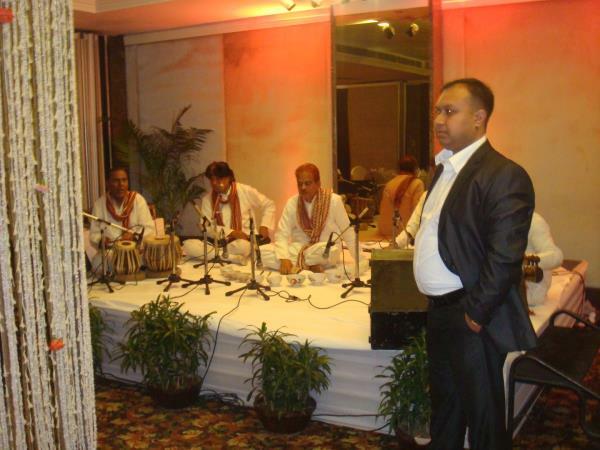 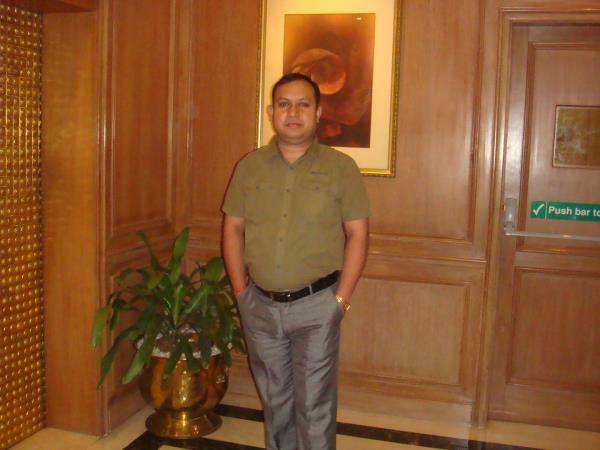 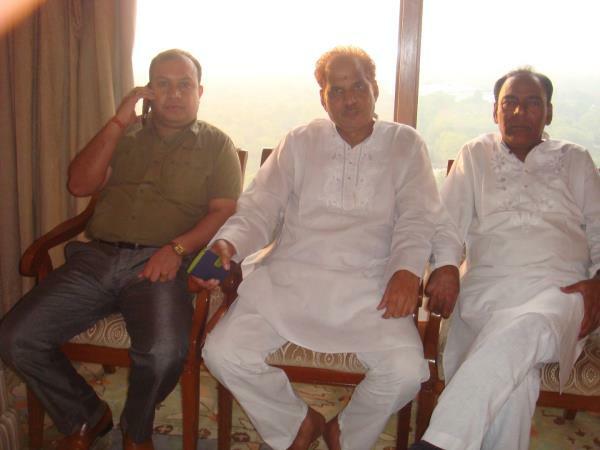 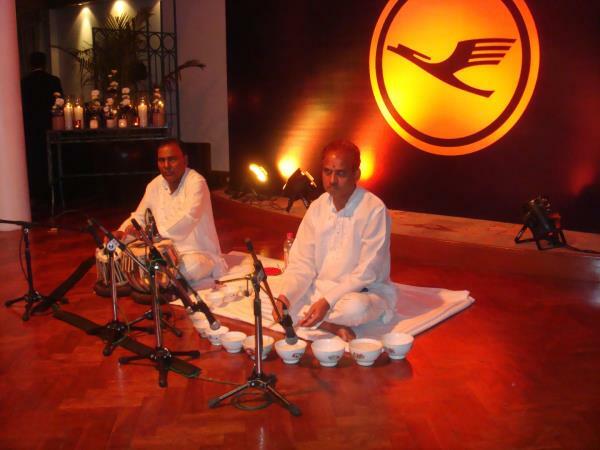 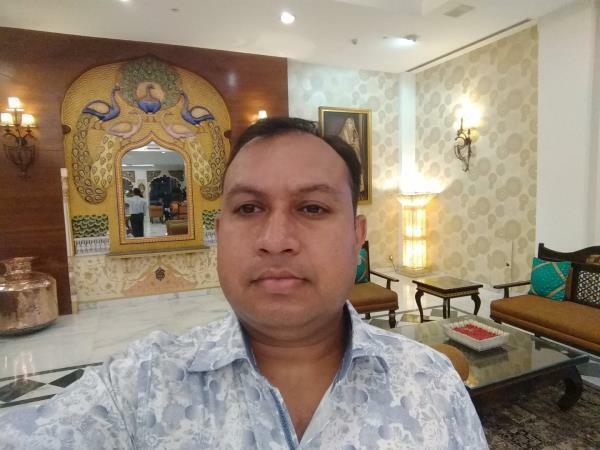 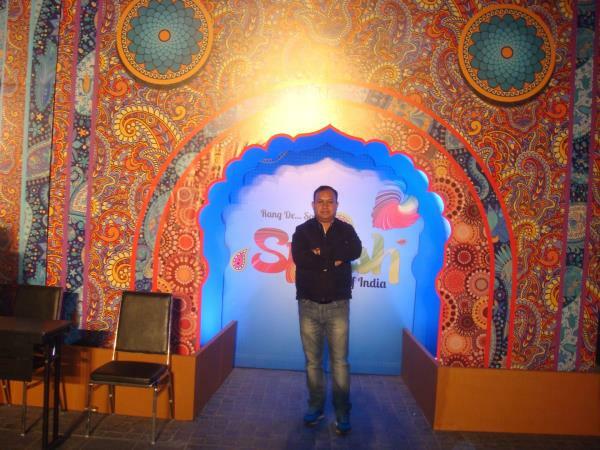 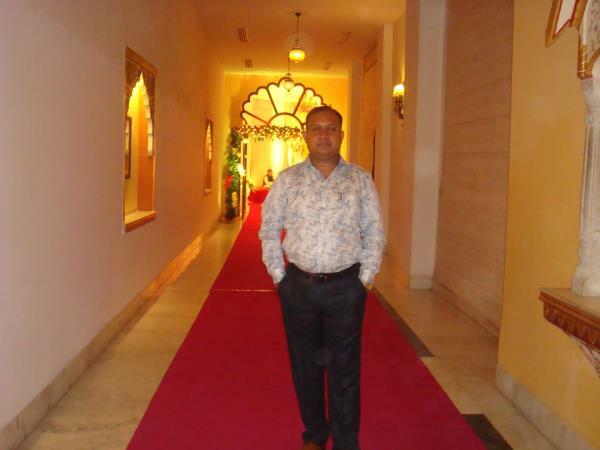 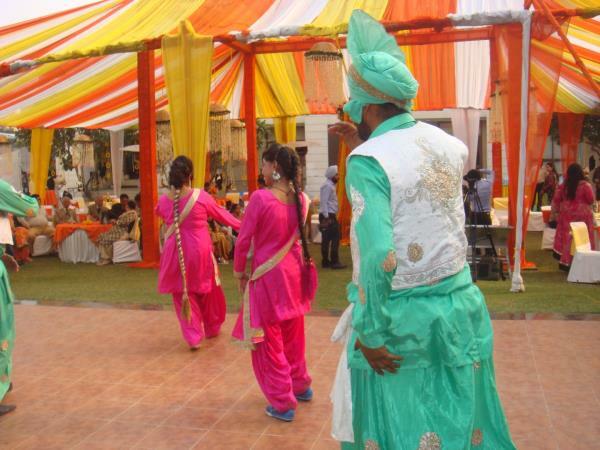 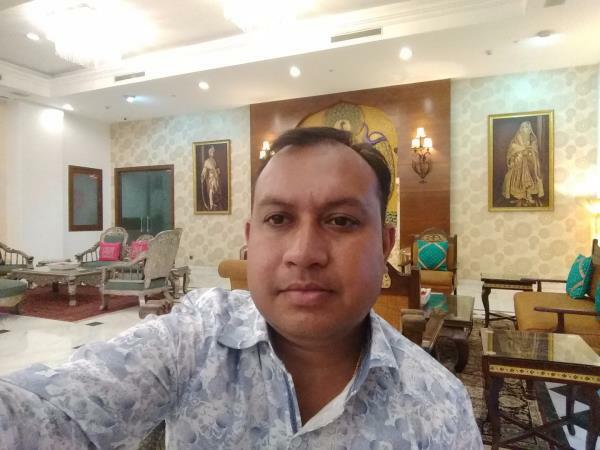 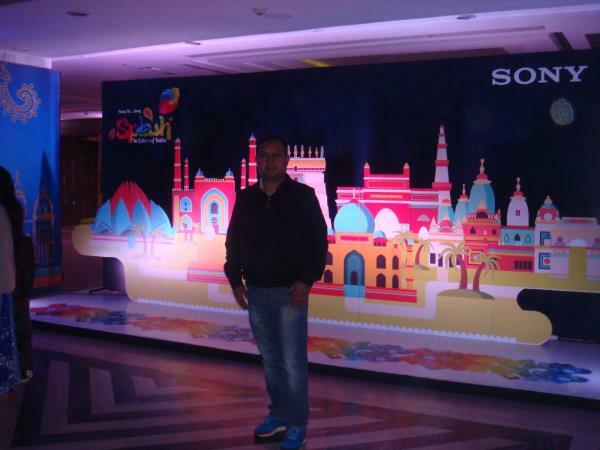 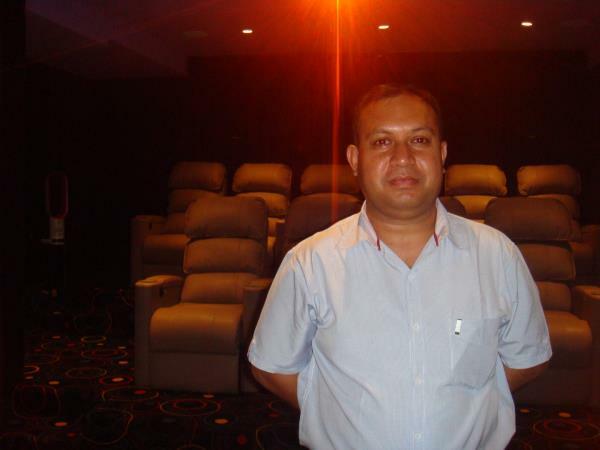 We do also provide the Ghazal singer for Cocktail, Hindi Ghazal, Urdu Ghazal to sing all the Bollywood Ghazal songs and Shero Shayari according to the client’s need and requirements. 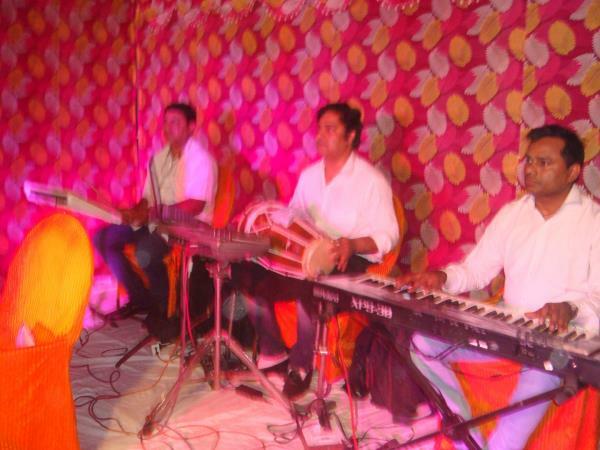 We are the heart throb name in the world of wedding music and entertainment planners that strives for our client's satisfaction and loyalty. 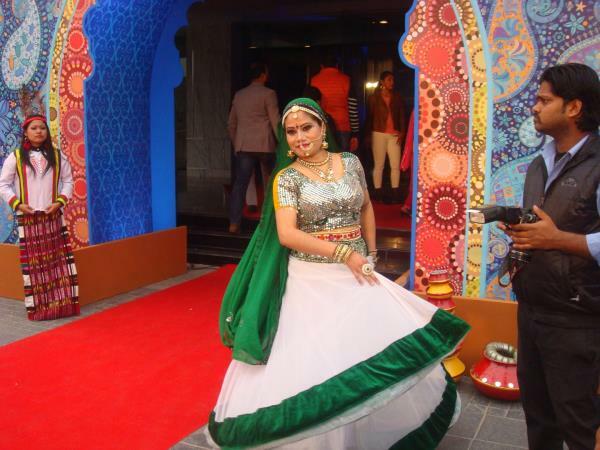 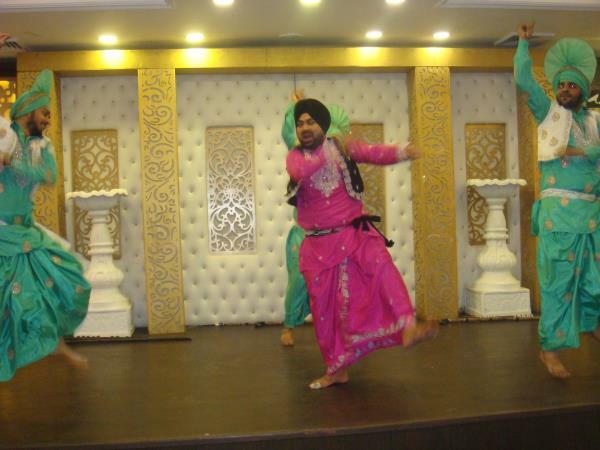 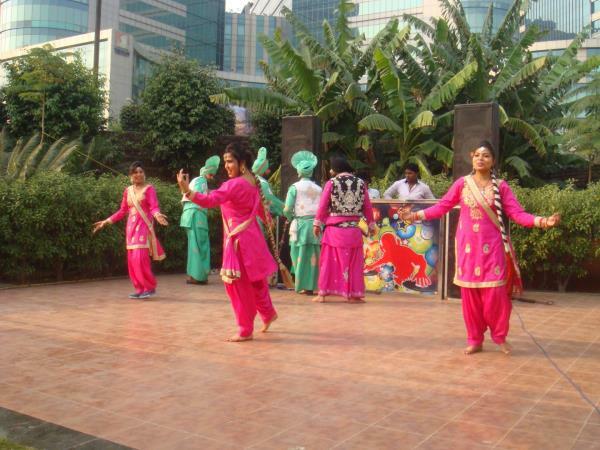 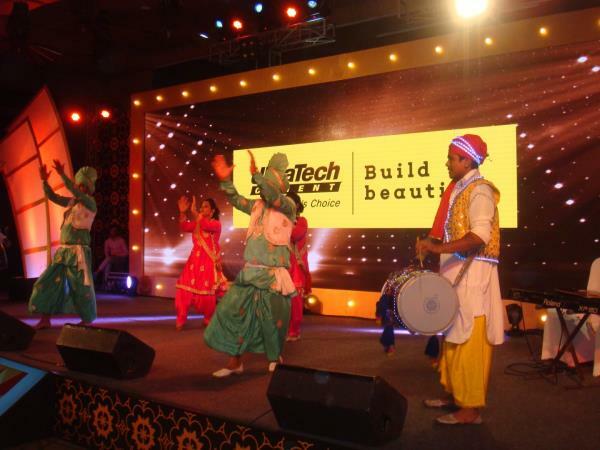 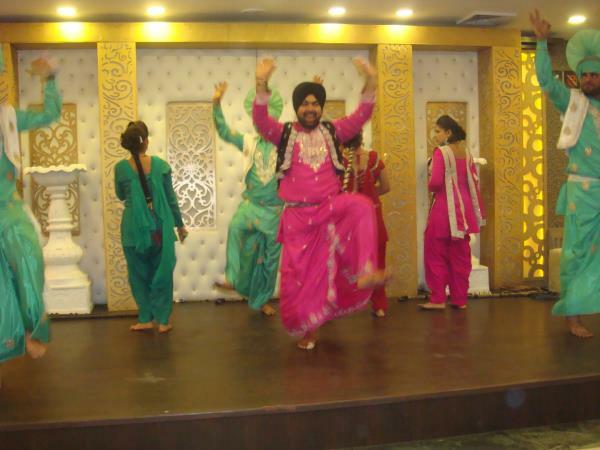 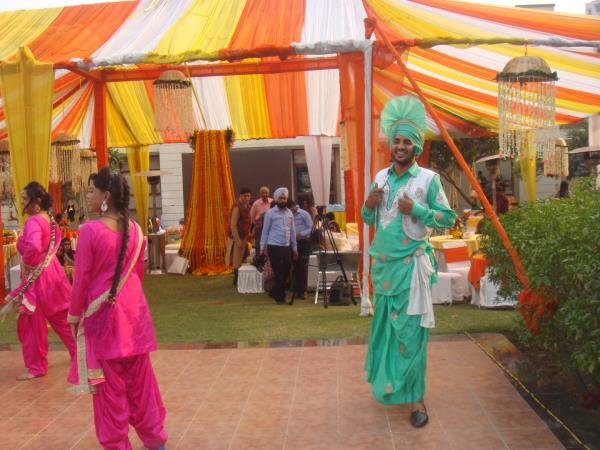 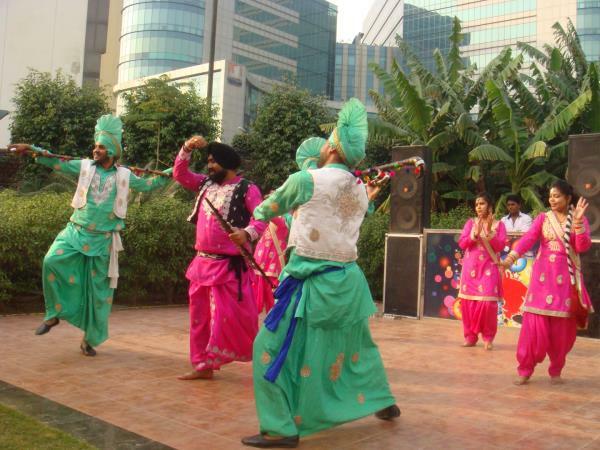 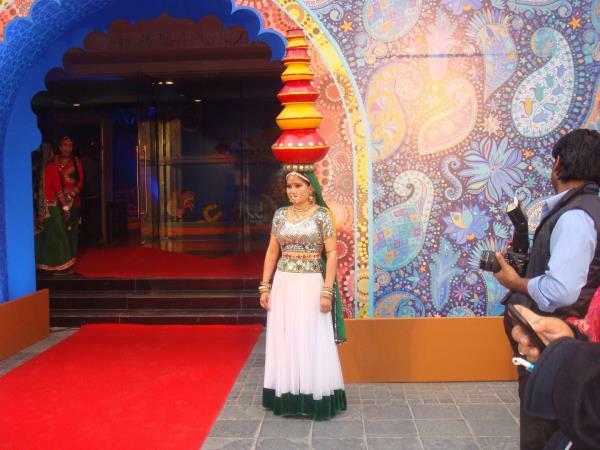 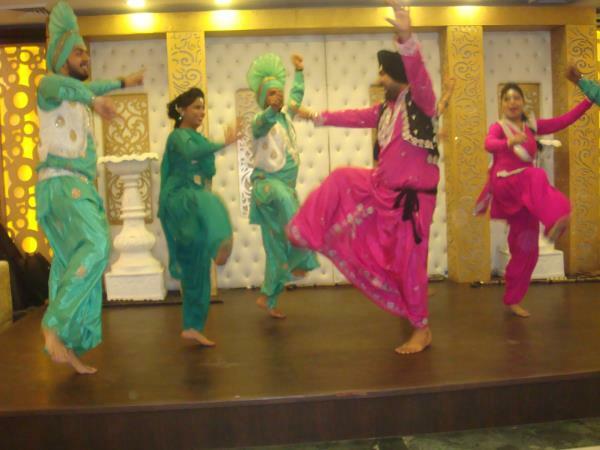 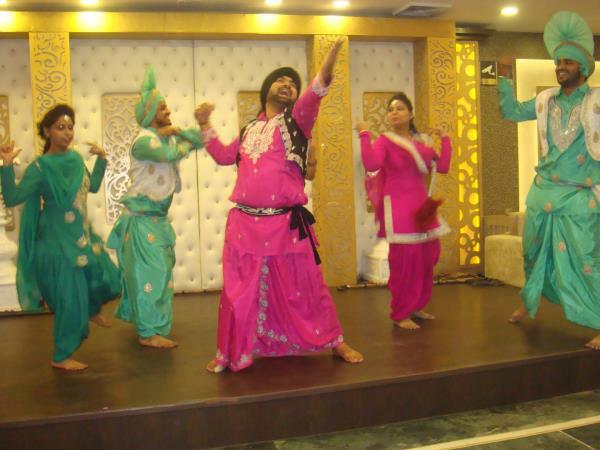 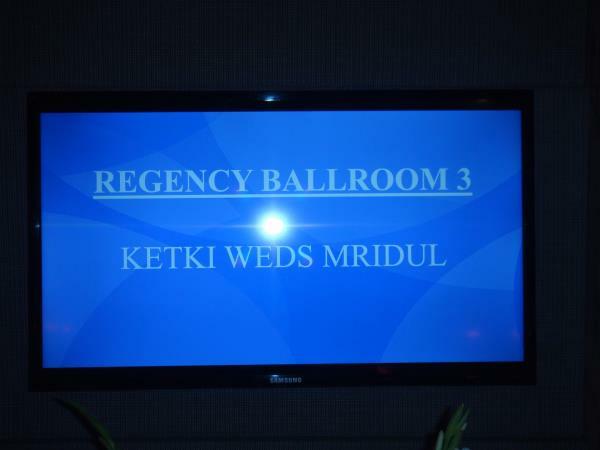 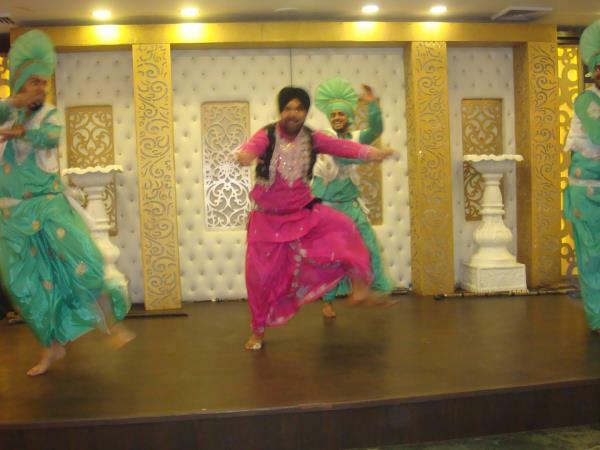 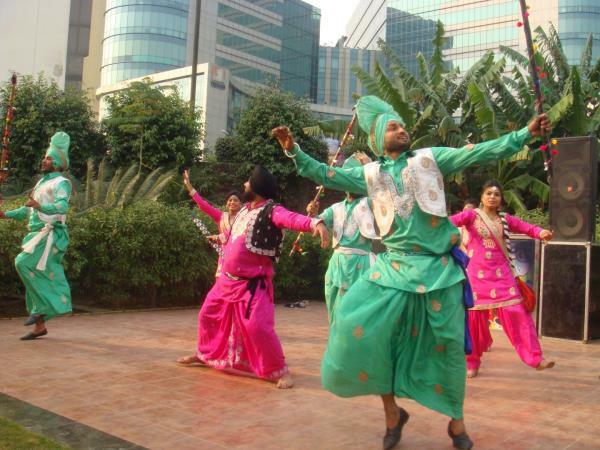 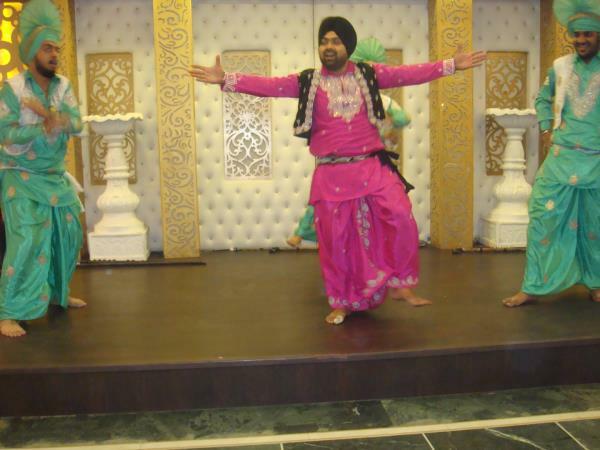 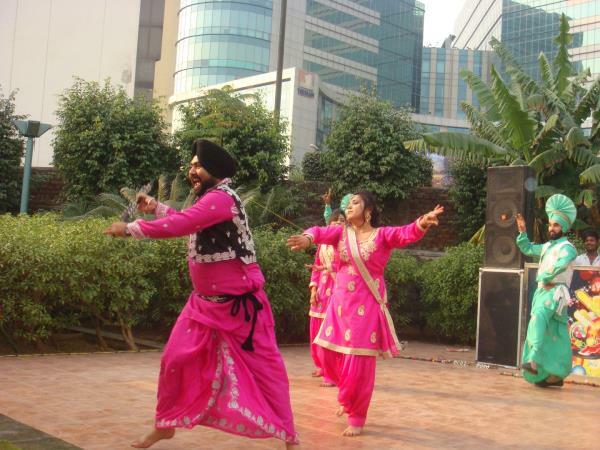 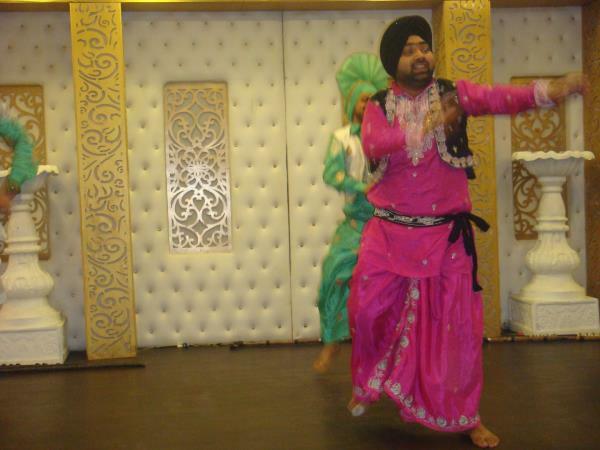 Our quality work, services and experience of our performances have made our clients to hire us again and again. 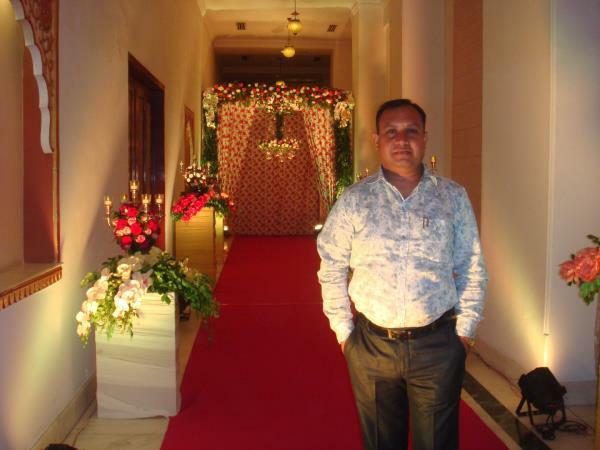 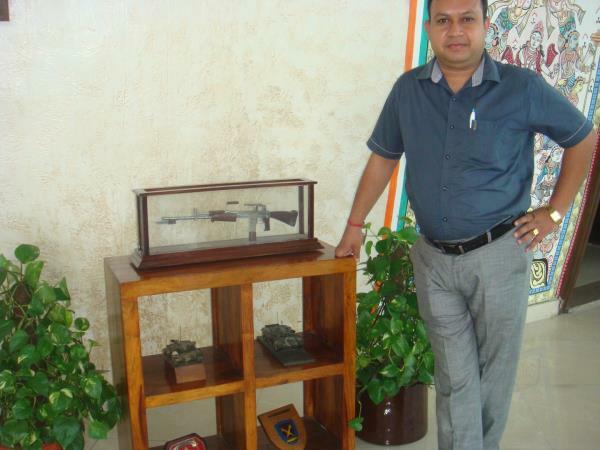 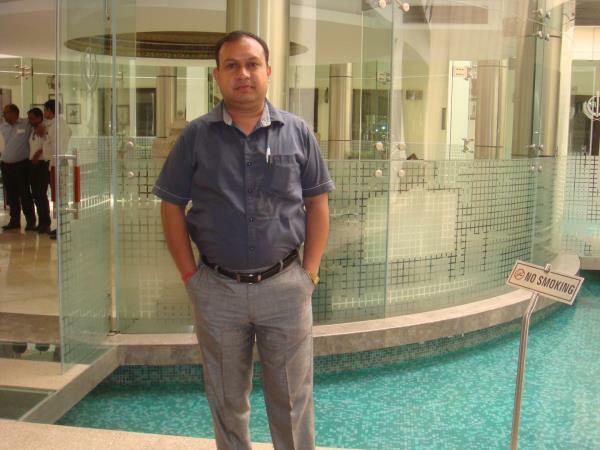 Should you any query regarding the services, do contact us. 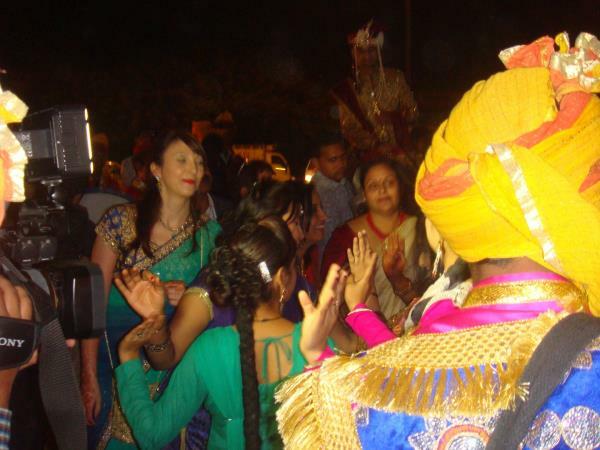 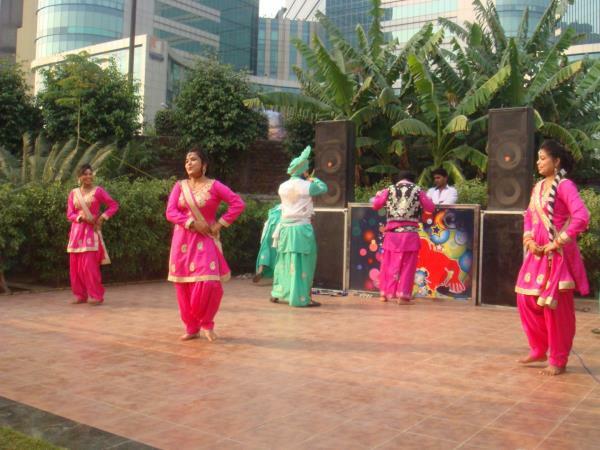 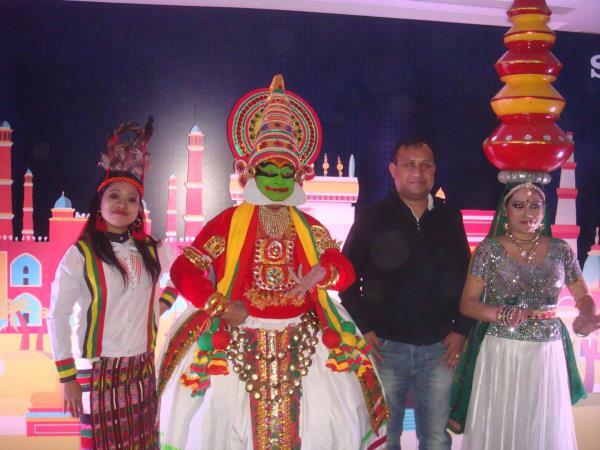 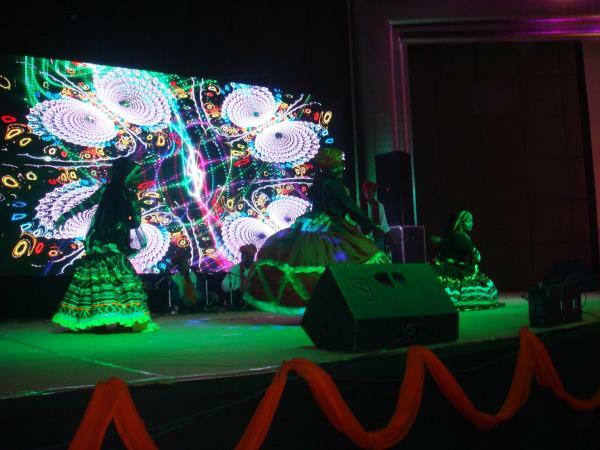 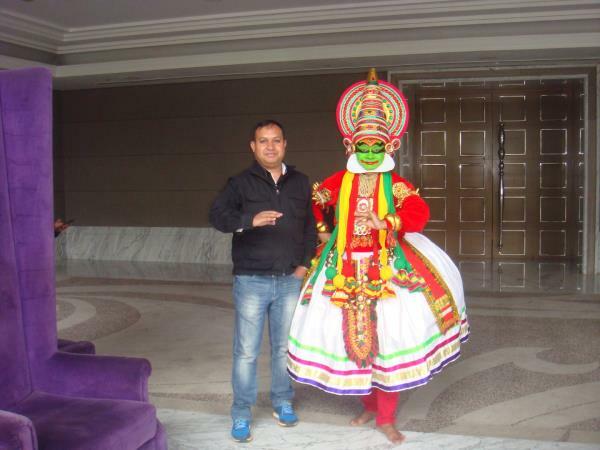 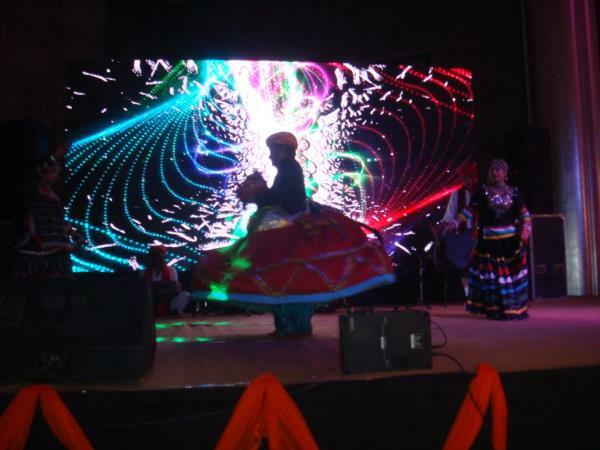 Over a couple of decades in providing the Kathakali Artist around various locations including Noida, Greater Noida, Lucknow, Hyderabad, Mumbai, Delhi and many more cities, Active Musical Entertainer is dedicated to use their enthusiasm and experience together with its clients. 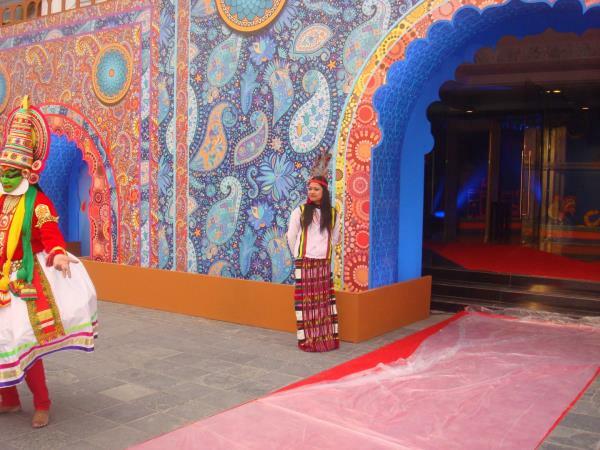 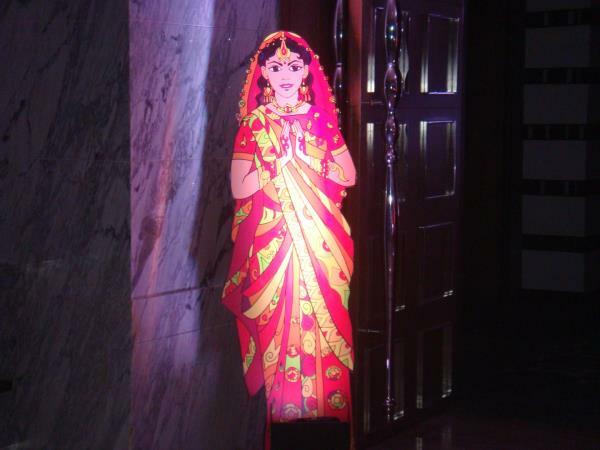 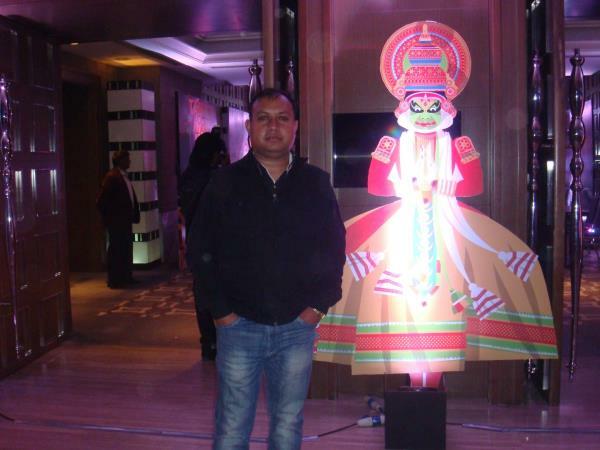 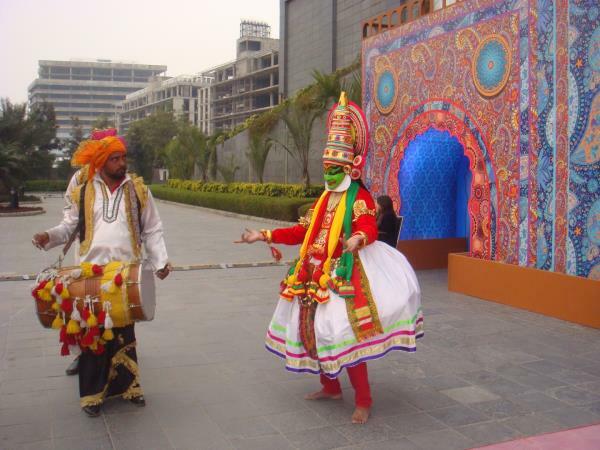 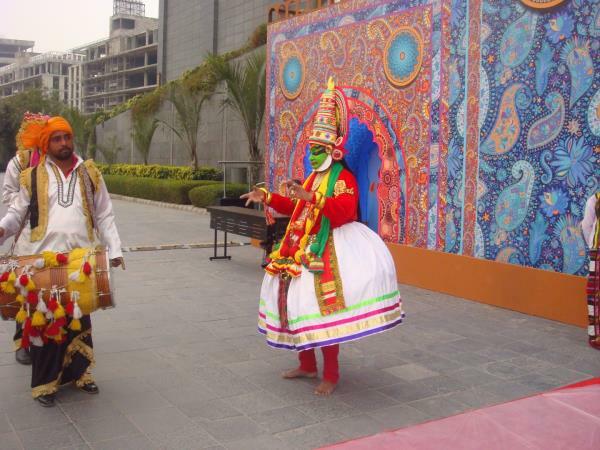 They are born to provide the services for Kathakali folk Artist in Delhi NCR. 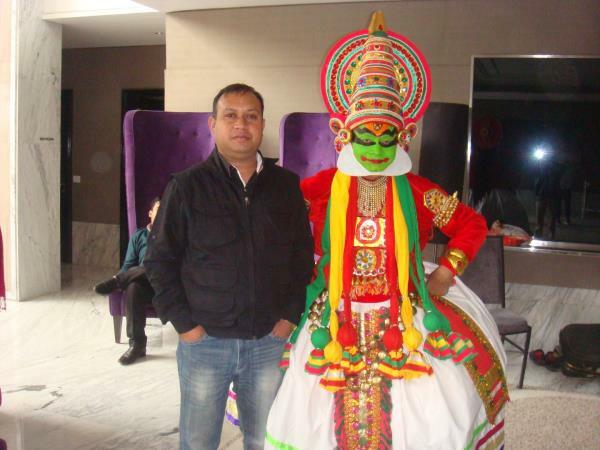 Without any doubt, we have some of the greatest and most talented Kathakali Artist in Delhi, Noida, Greater Noida and many more cities who have worked with several icons of the industry. 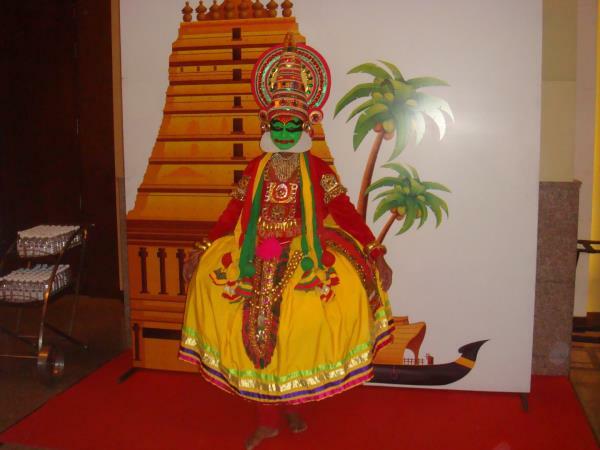 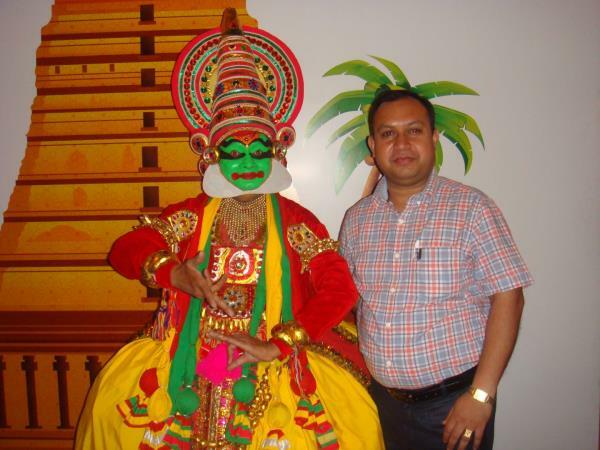 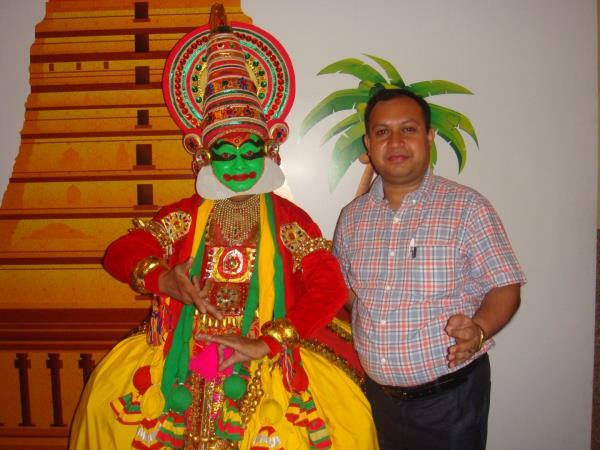 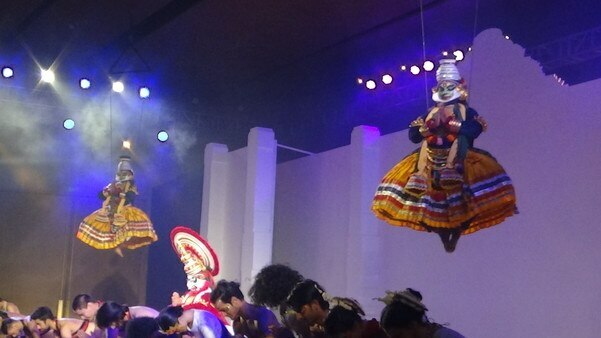 Our Kathakali Dancer has also performed on numerous functions and parties over the last couple of decades. 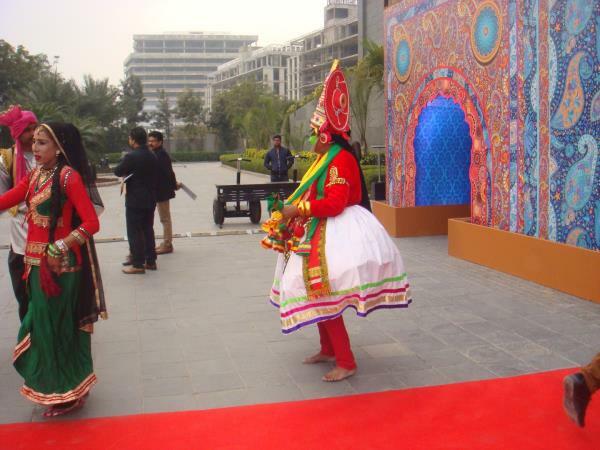 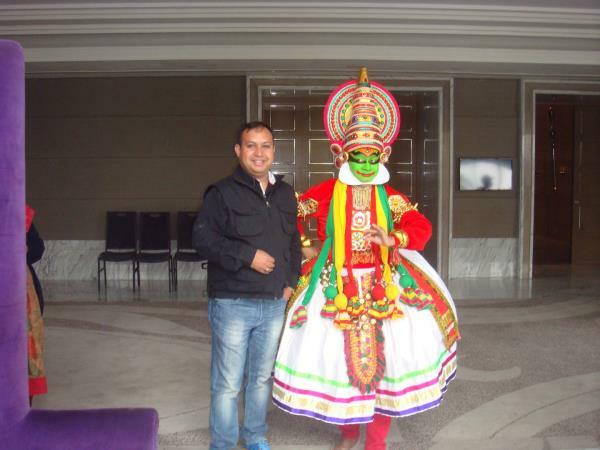 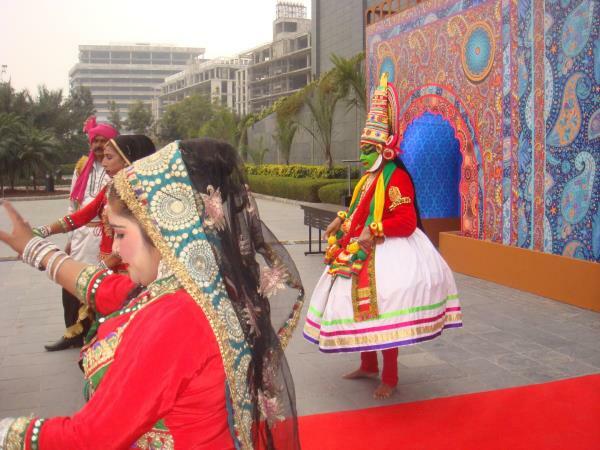 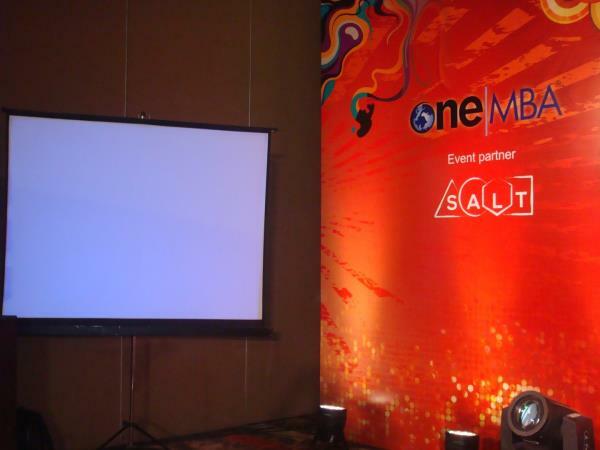 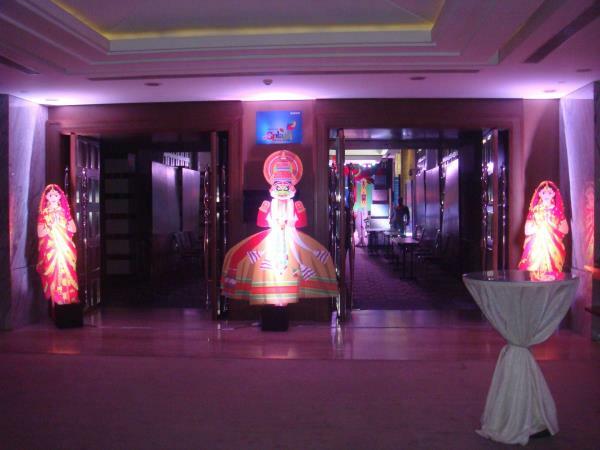 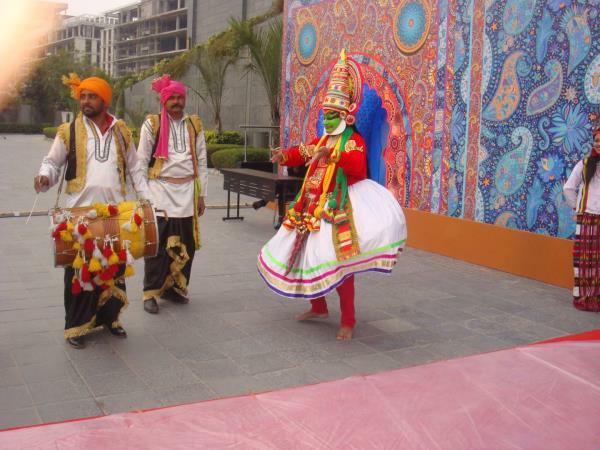 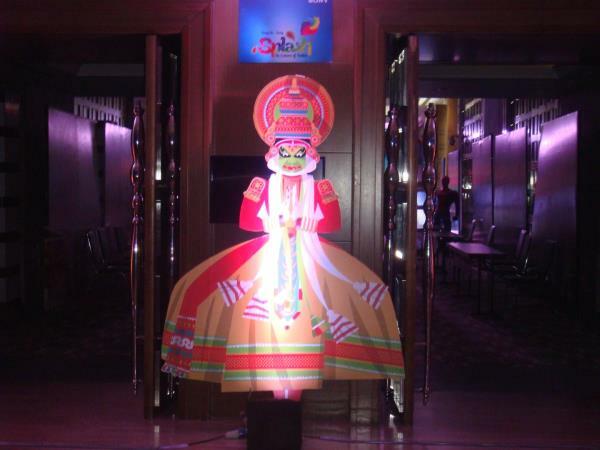 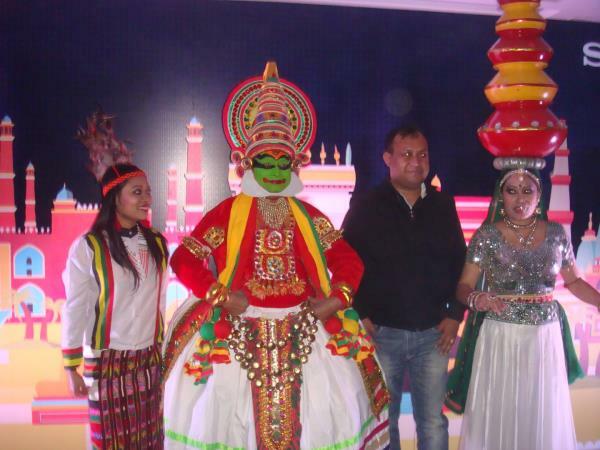 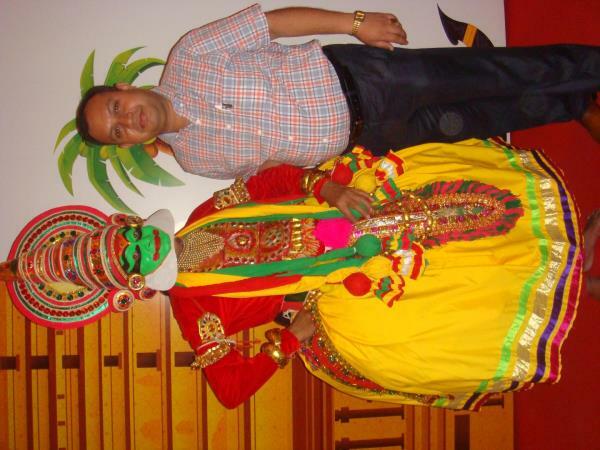 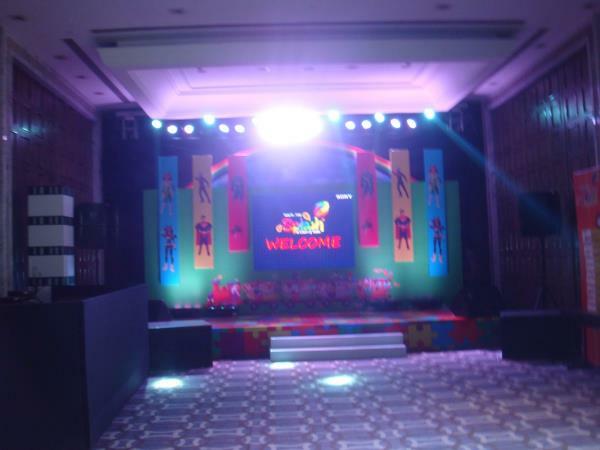 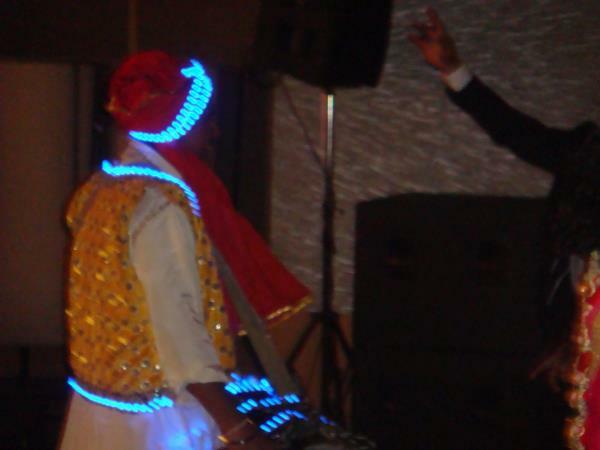 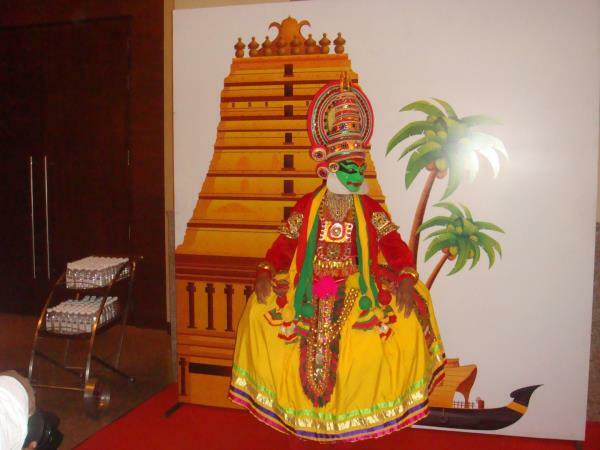 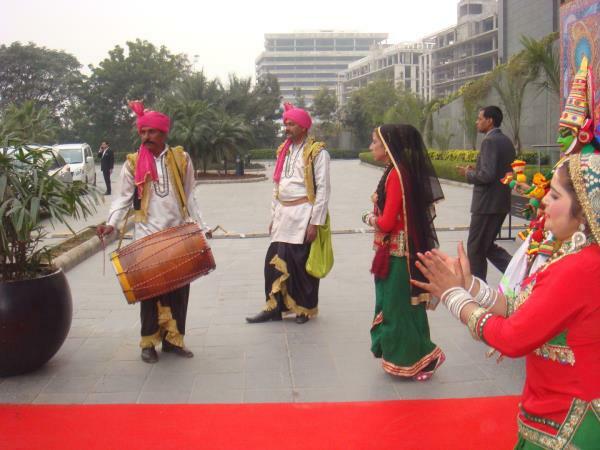 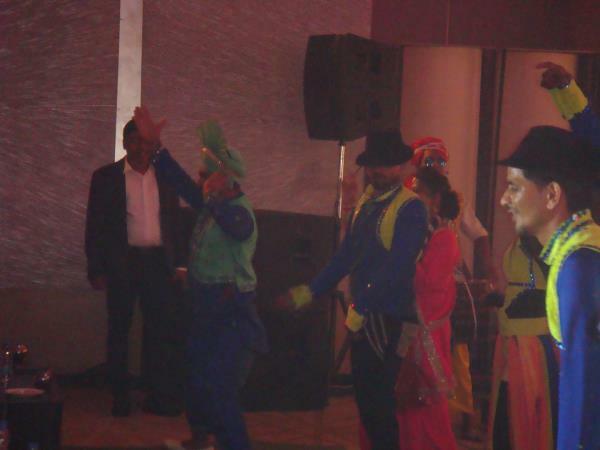 We provide professional Kathakali Artist for wedding, functions as well as for the corporate events across the country. 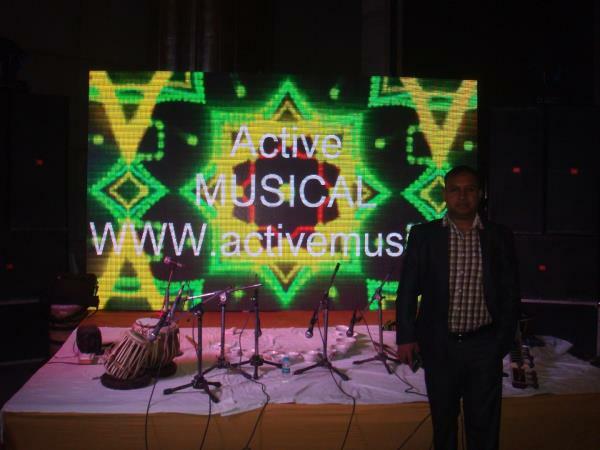 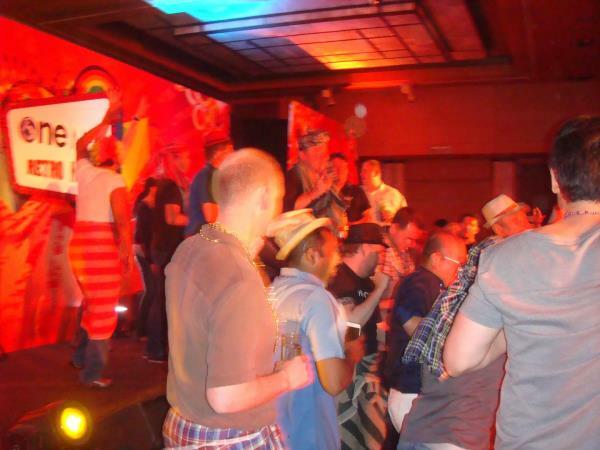 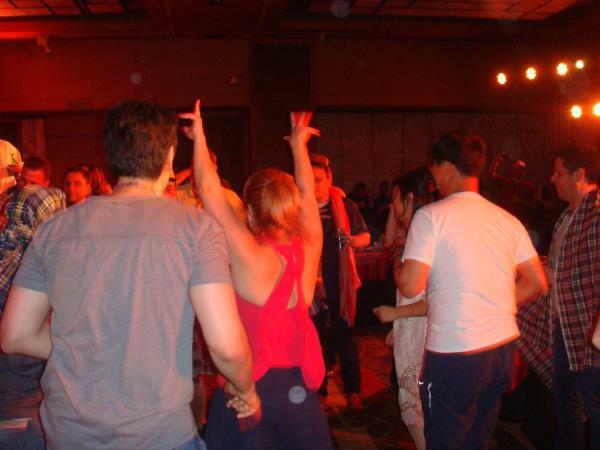 You will receive a friendly and professional environment and services at Active Musical Entertainer from the first contact right up until the end of the great time of the event. 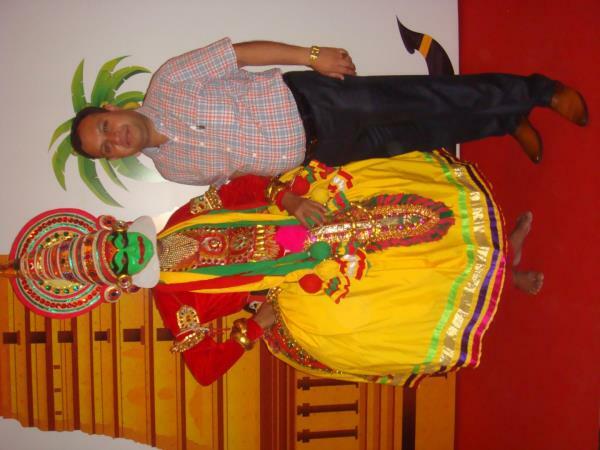 Active Musical Entertainer offer you the complete services for wedding entertainers for Kathakali Artist who are expert for welcome and all kinds of performance at Events. 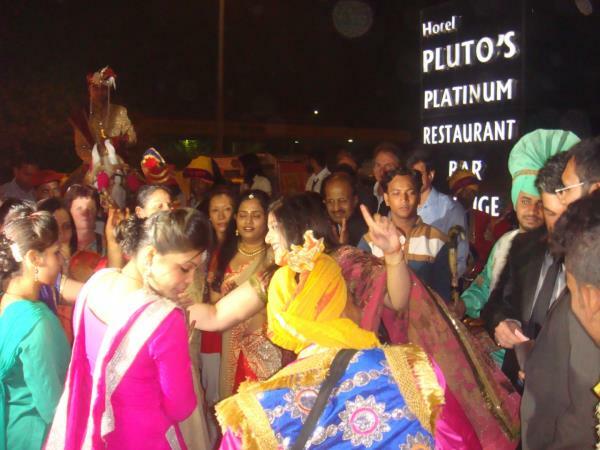 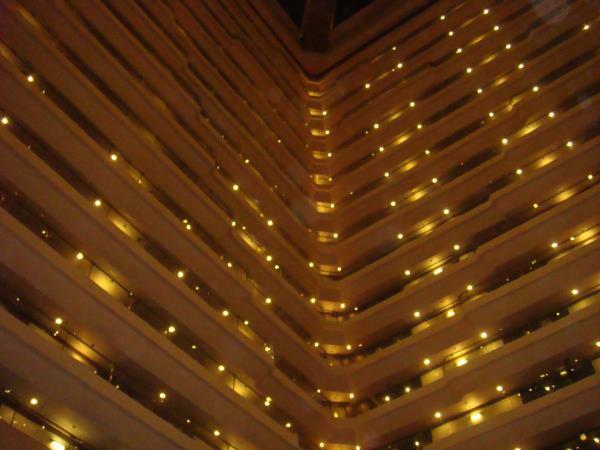 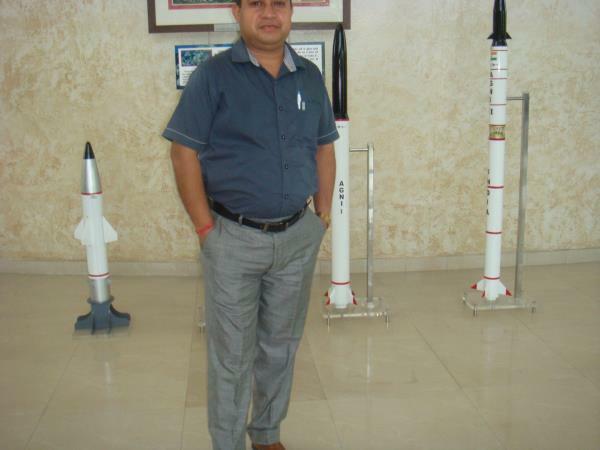 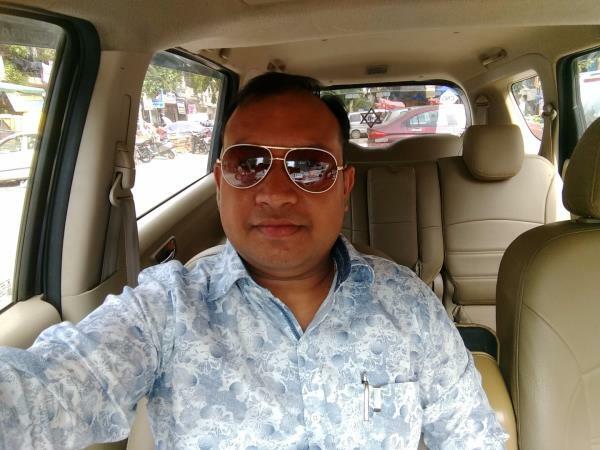 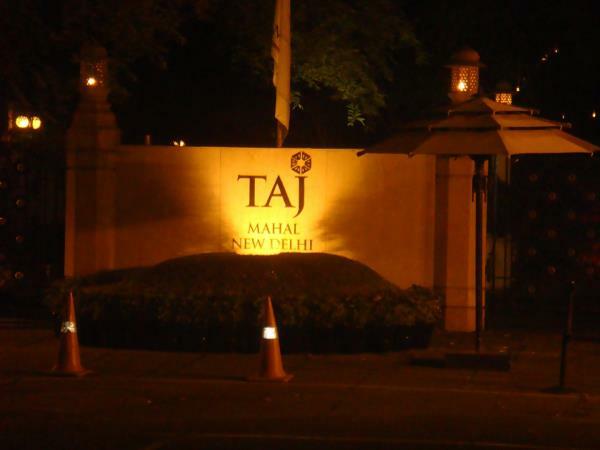 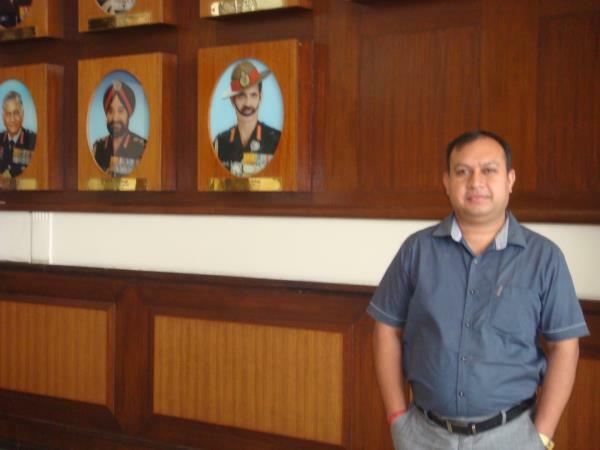 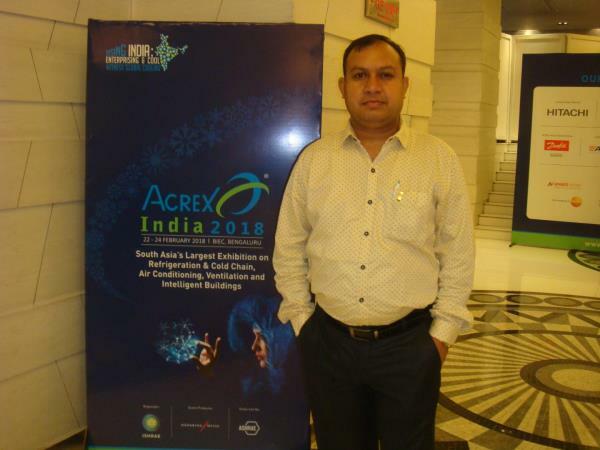 We do provide our services in the various locations in India including Delhi, Noida, Greater Noida, Gurgaon (Gurugram), Faridabad, Mumbai, Lucknow, Hyderabad, Chandigarh, Bangalore etc. 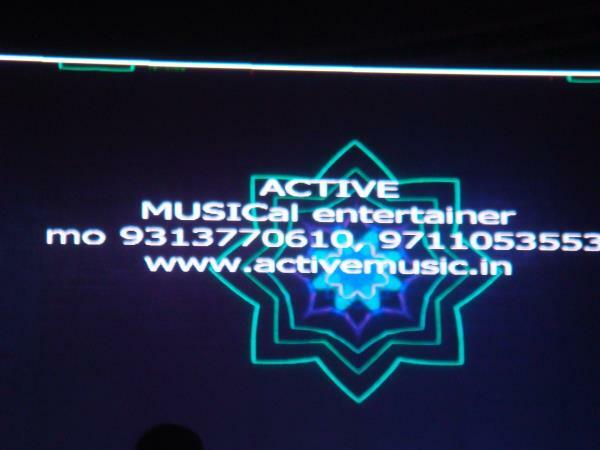 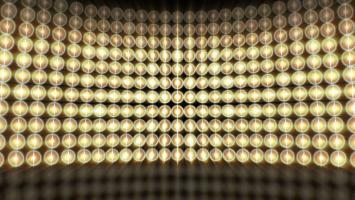 Should you have any questions with regard to any Dance Artist, please don't hesitate to reach out to us. 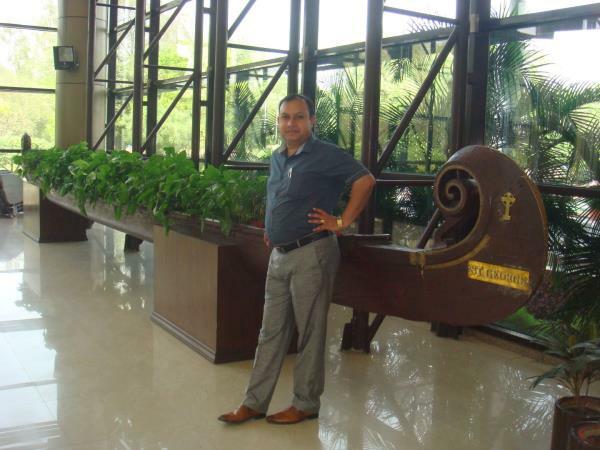 Best Anchor. 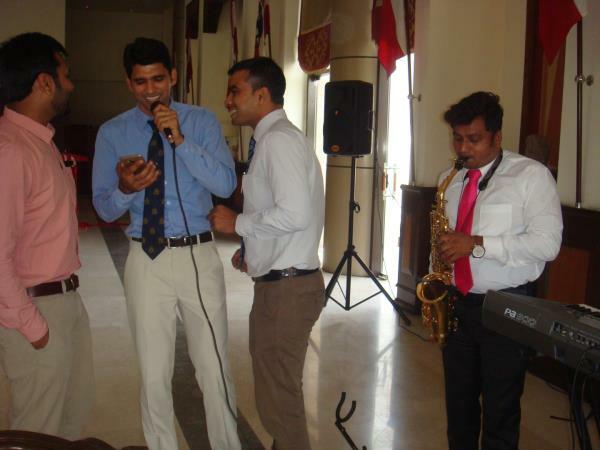 Anchors make the even joyful and enjoyable. 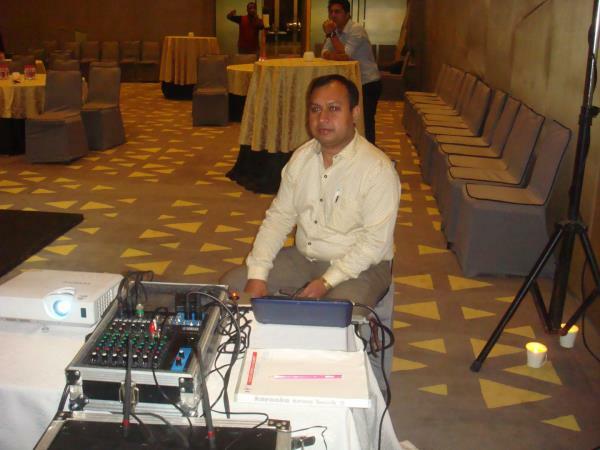 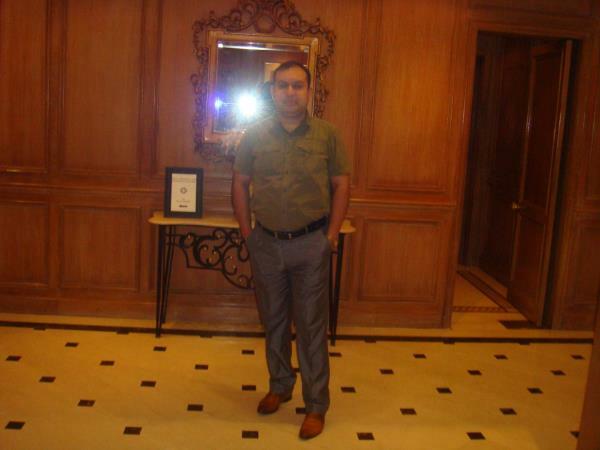 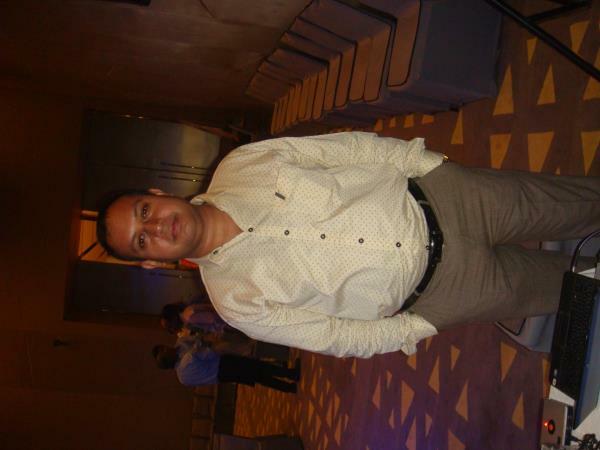 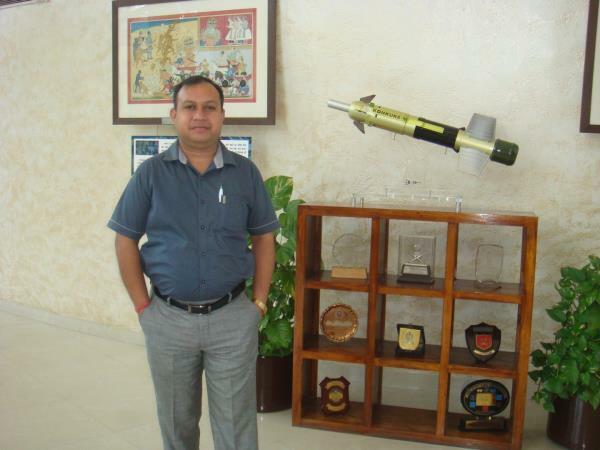 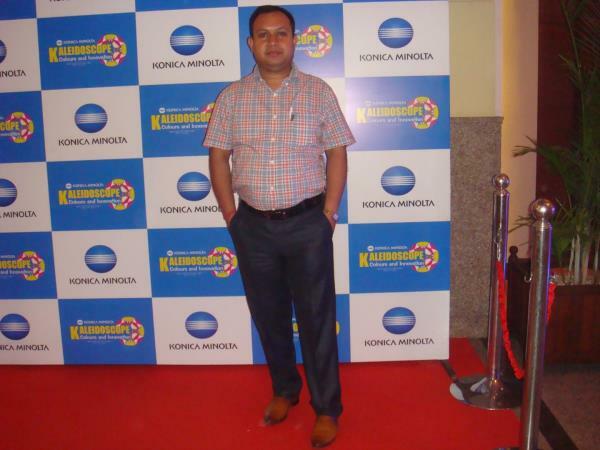 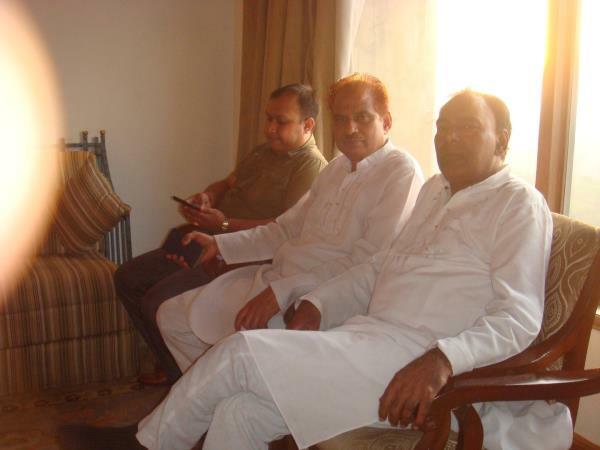 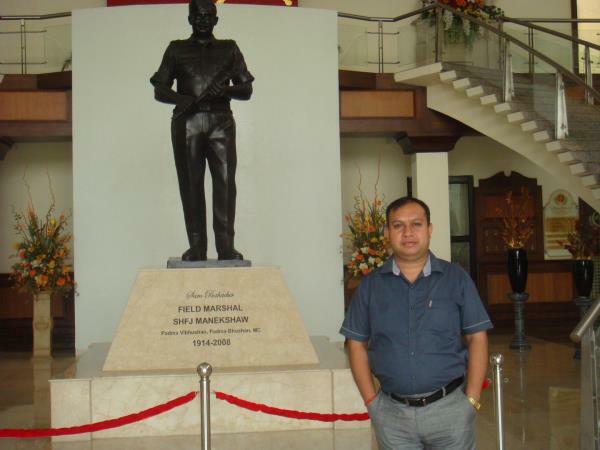 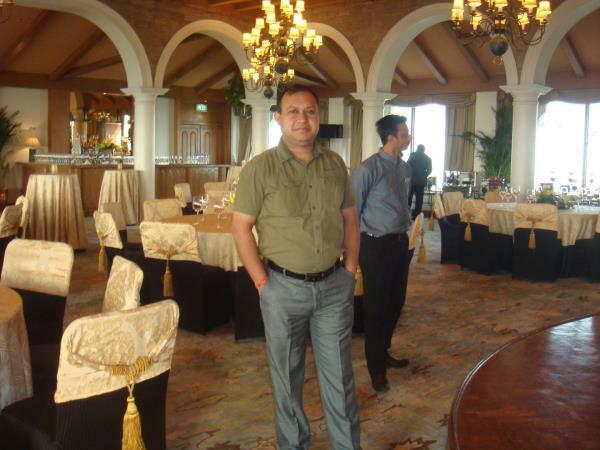 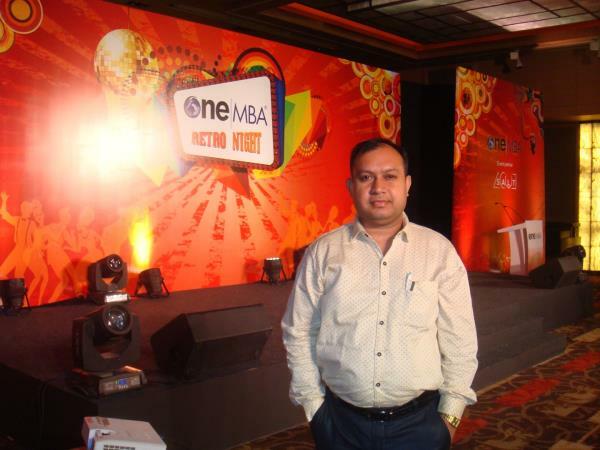 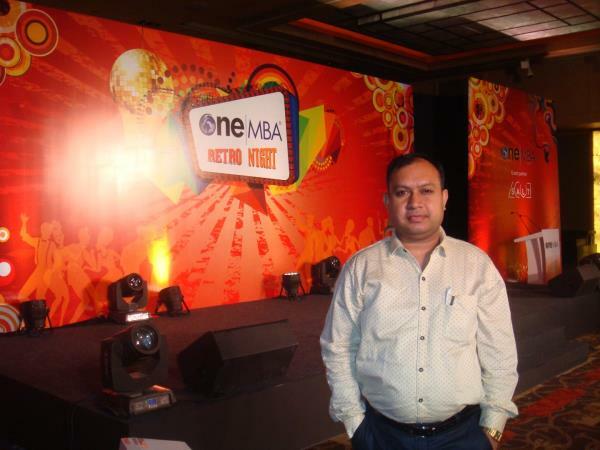 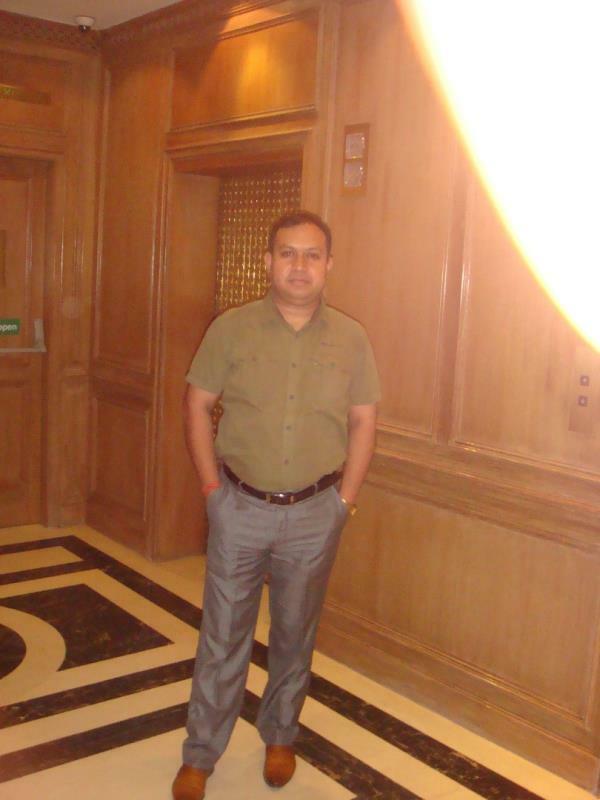 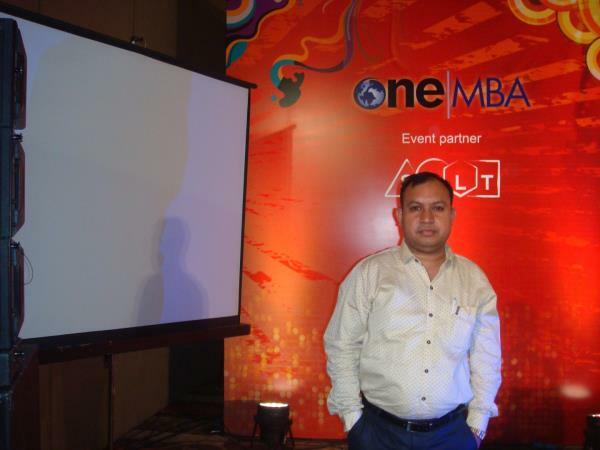 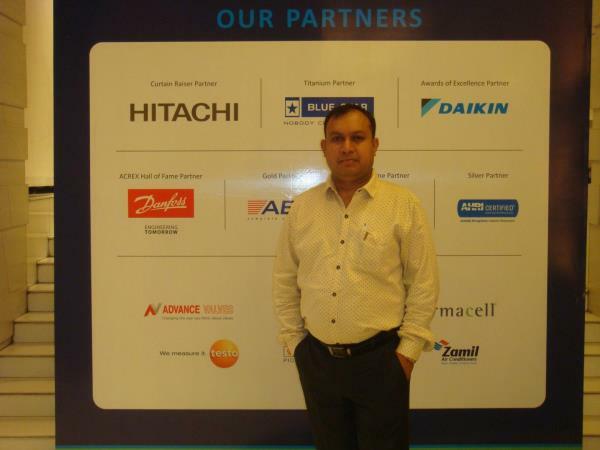 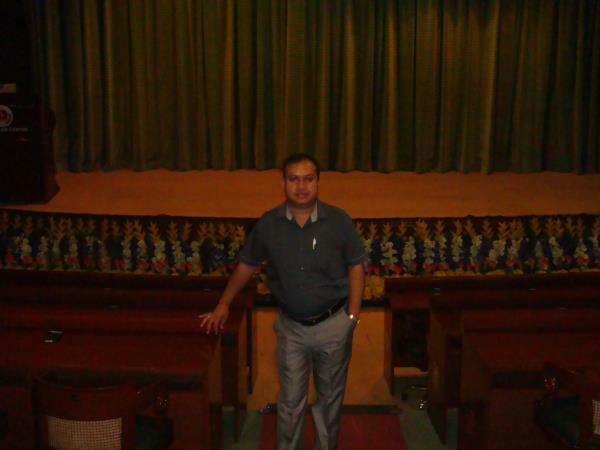 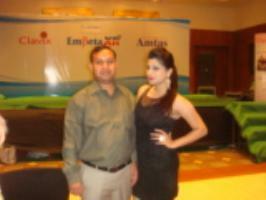 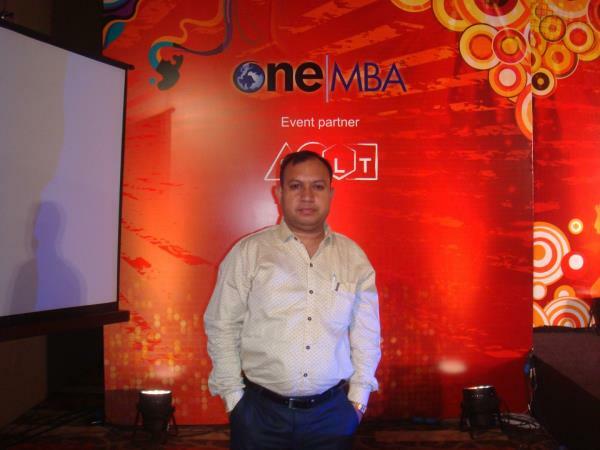 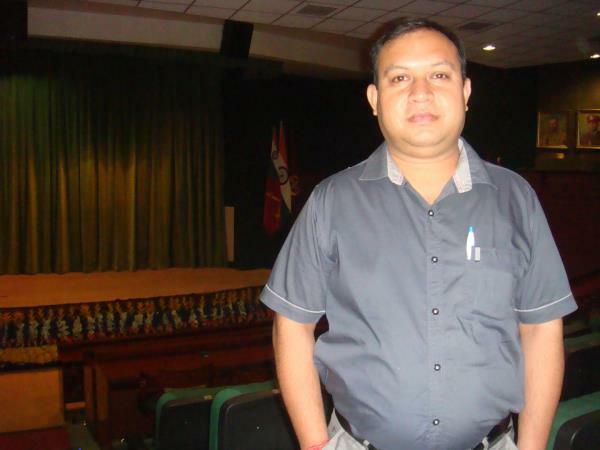 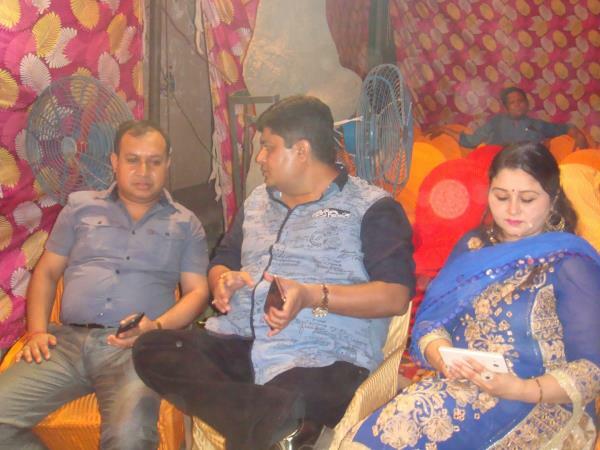 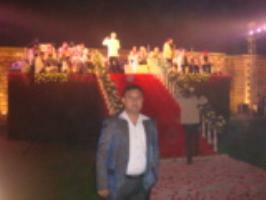 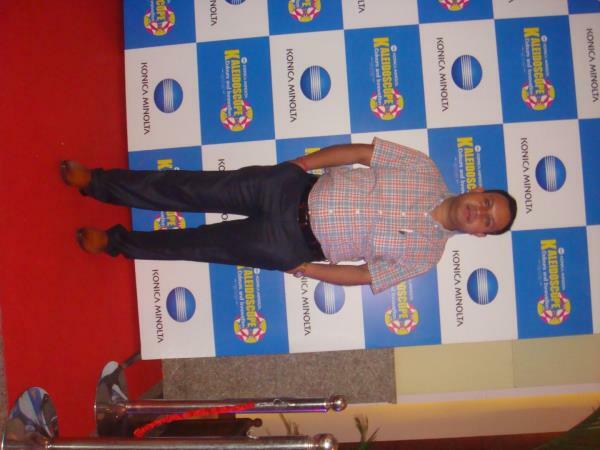 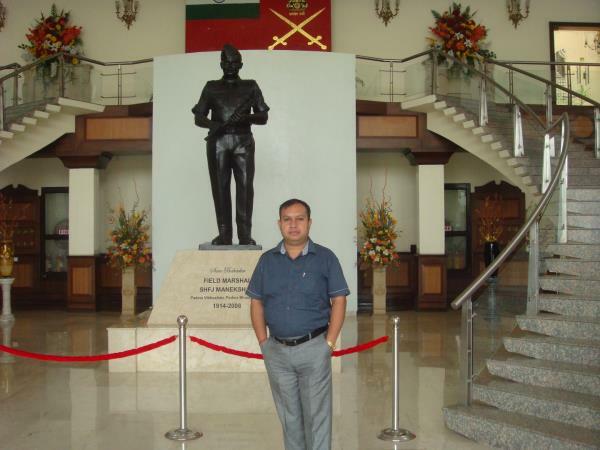 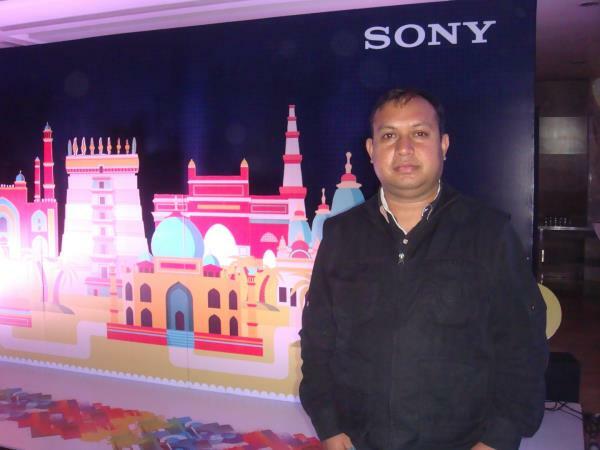 Anchor is must to organize large event.